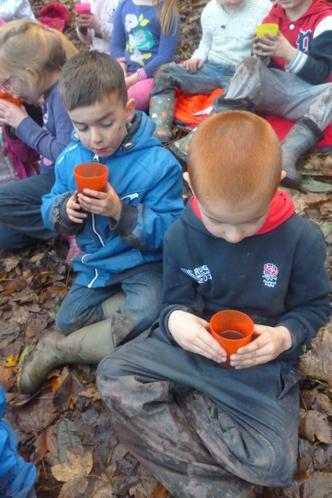 We explored mini-beast habitats and used magnifying glasses to get a closer look! 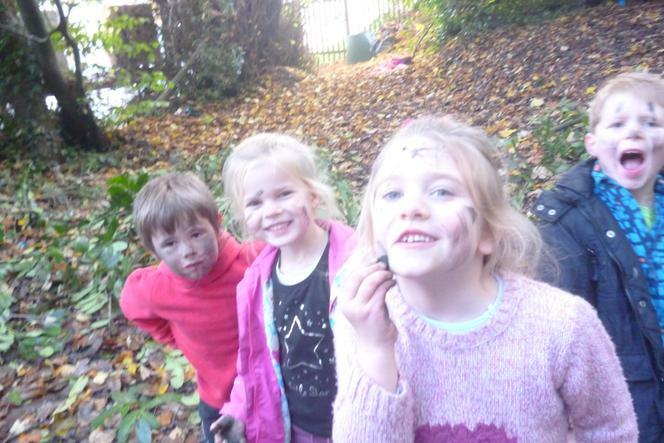 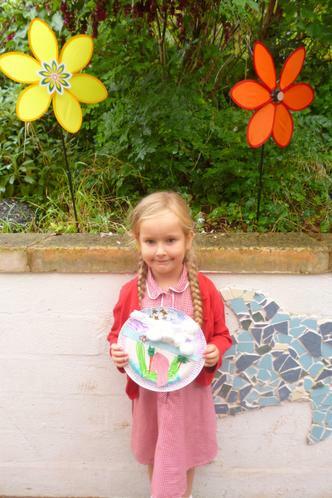 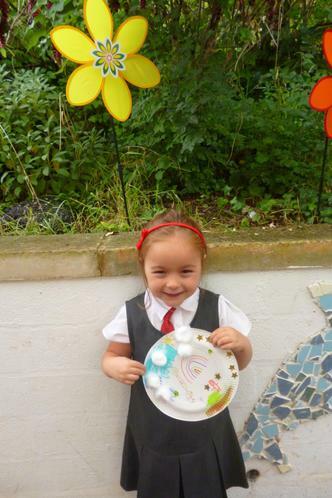 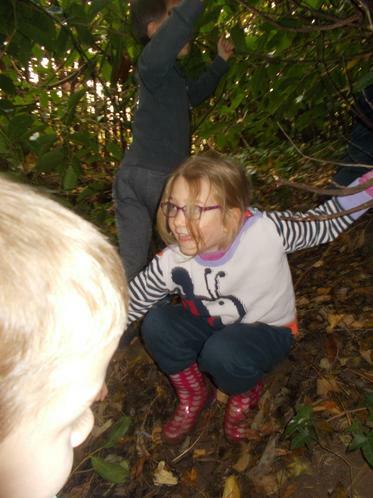 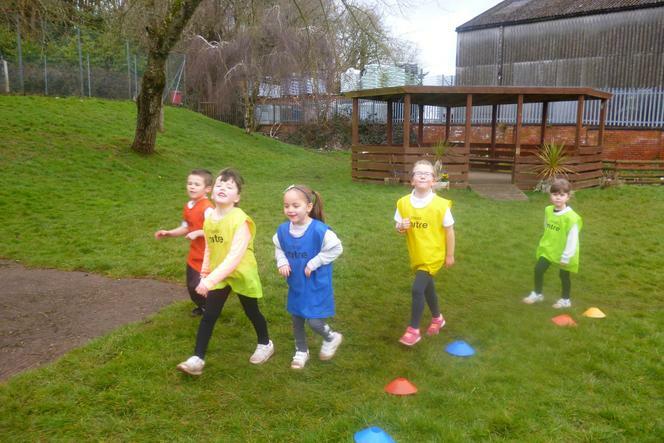 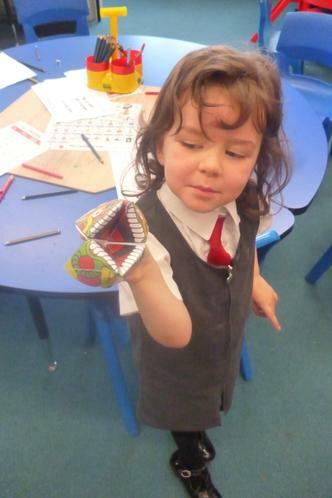 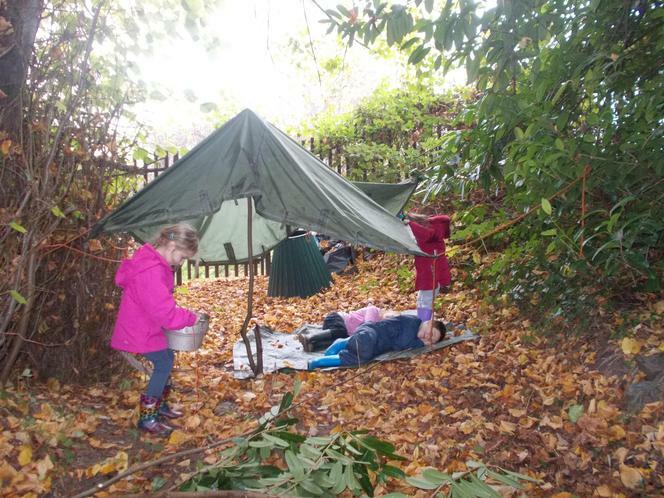 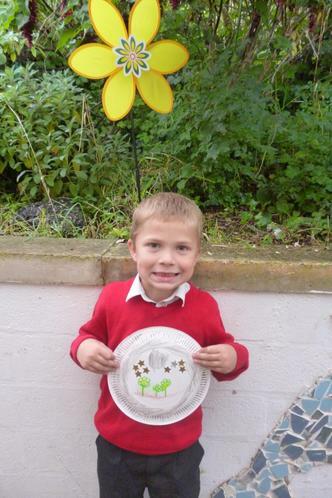 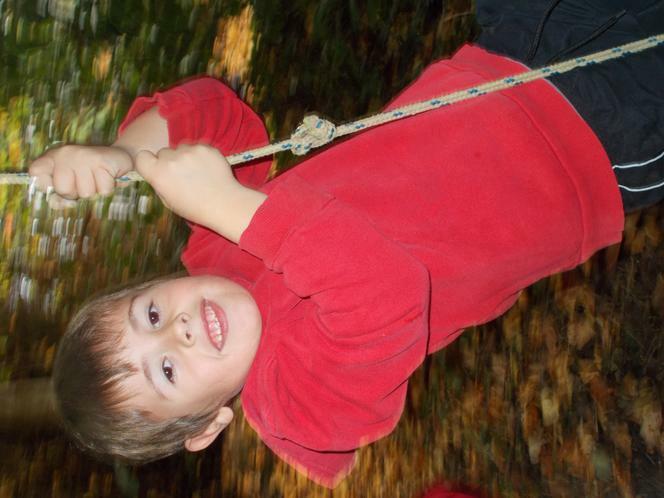 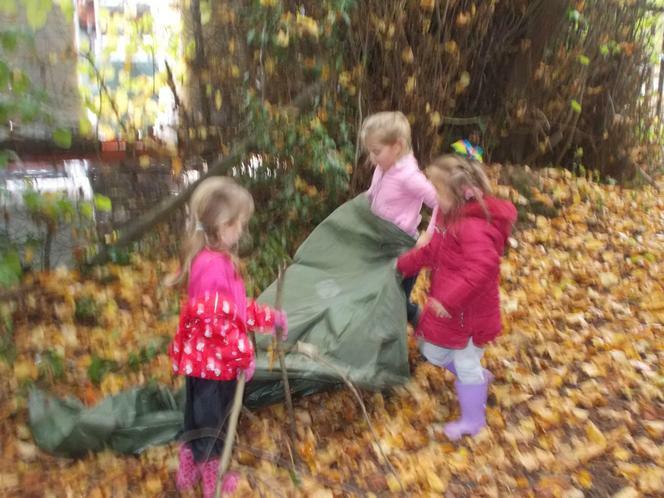 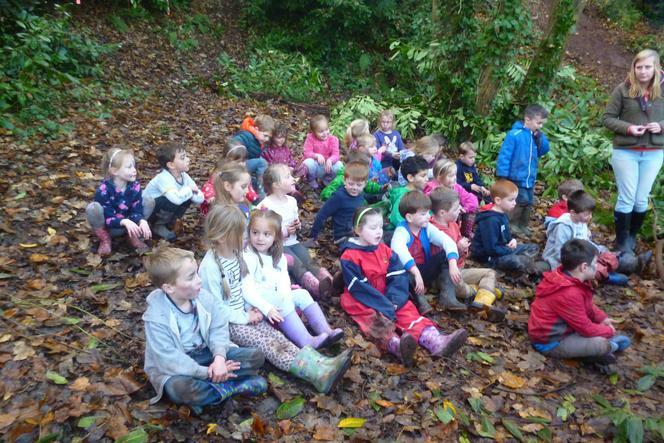 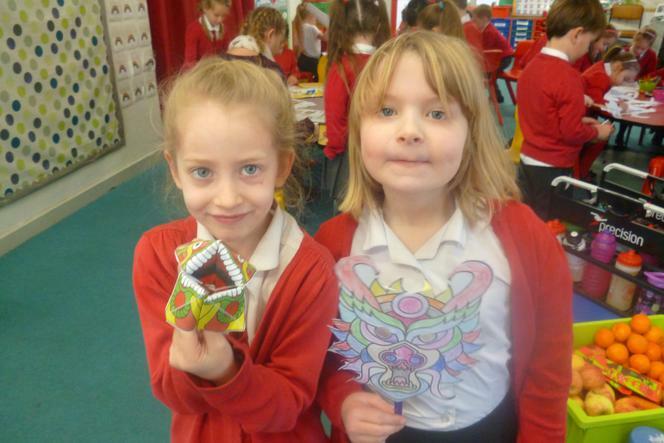 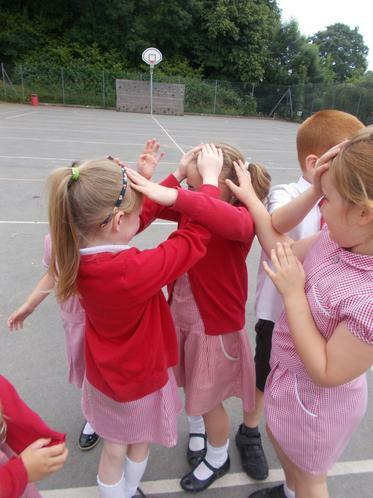 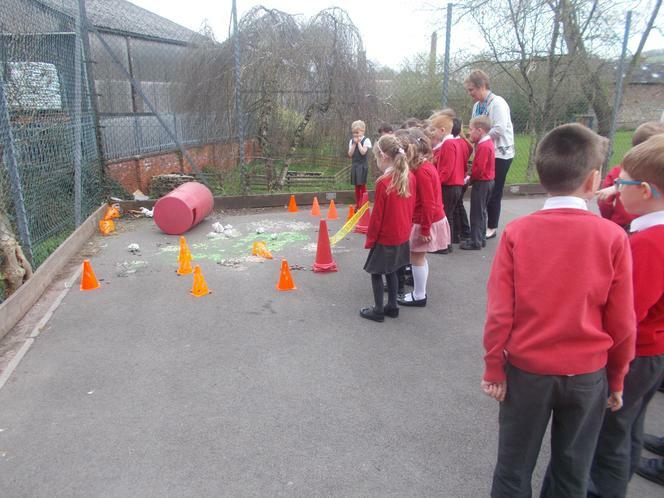 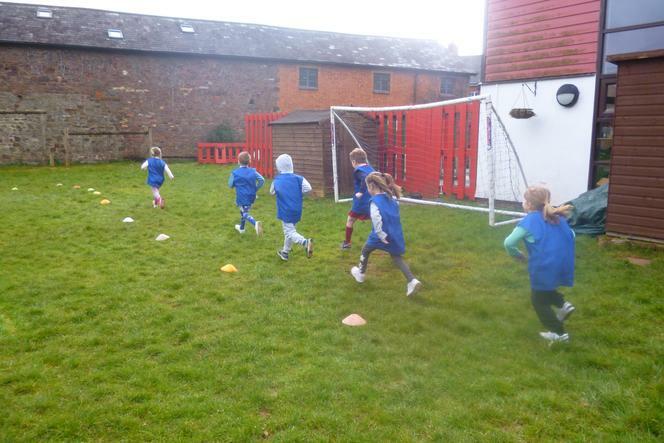 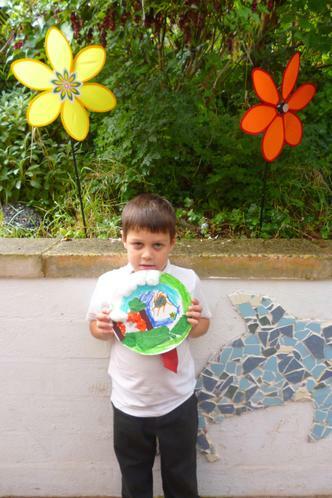 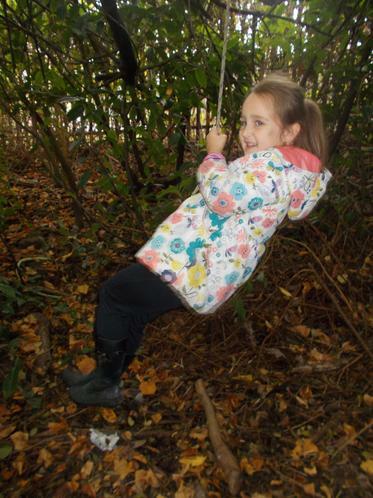 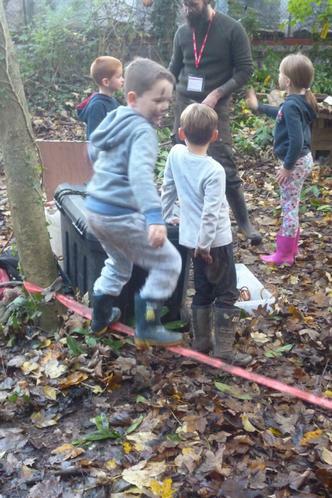 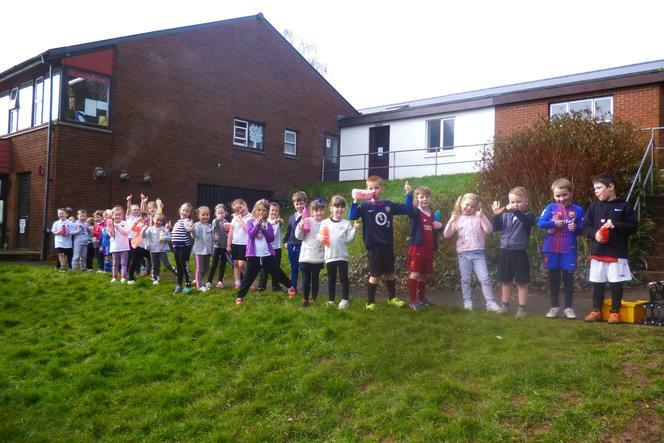 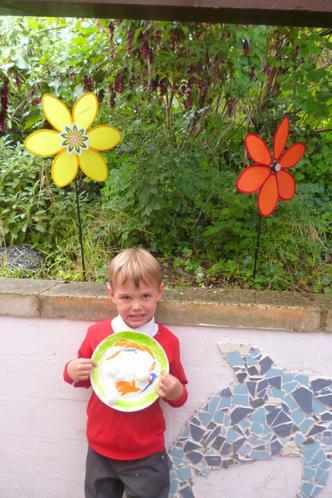 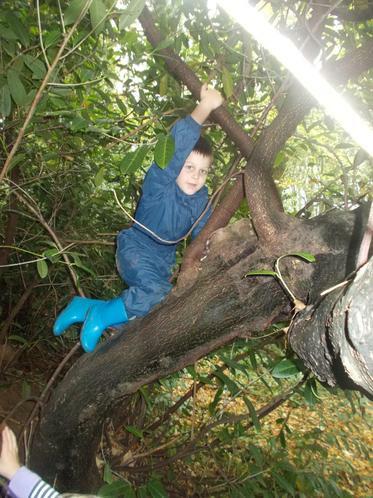 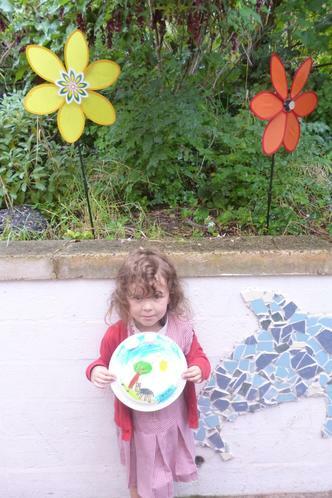 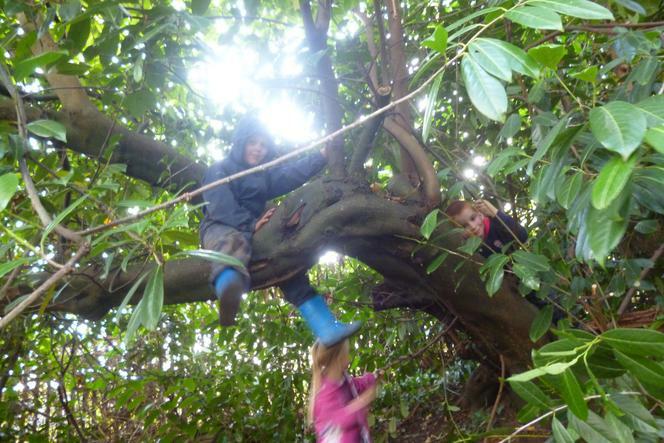 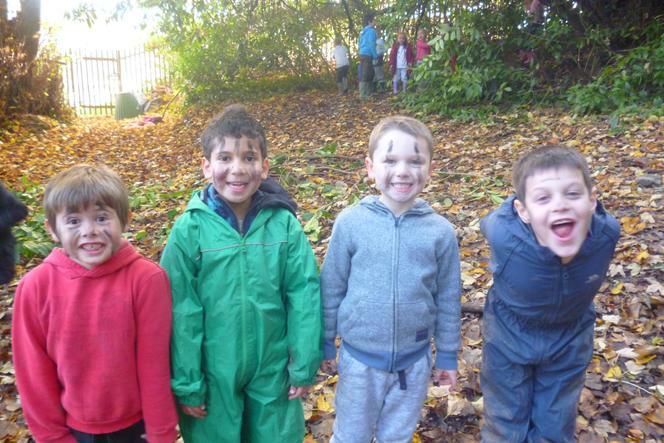 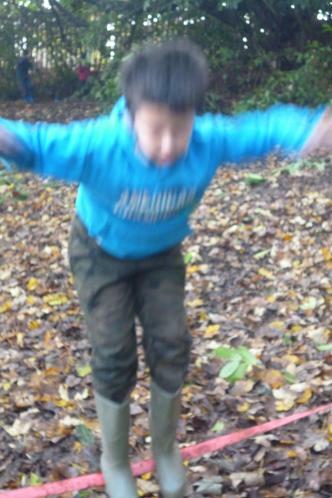 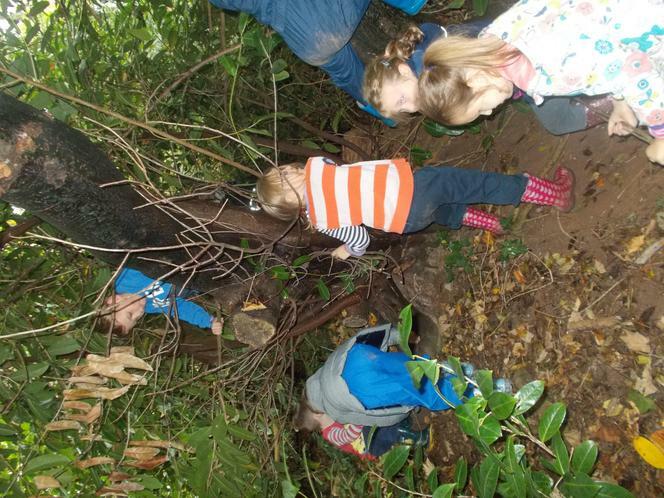 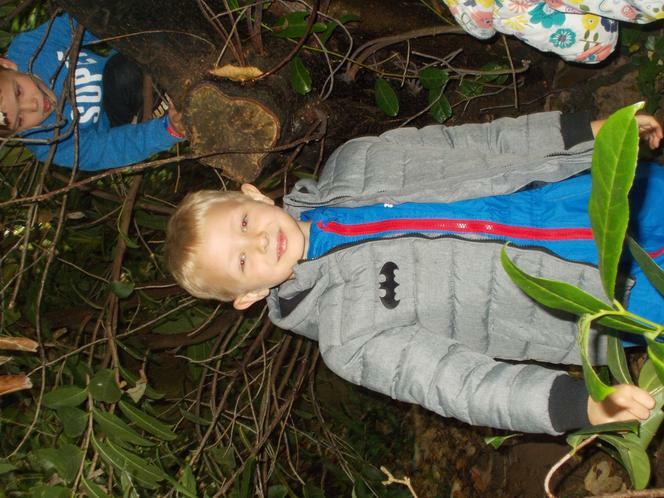 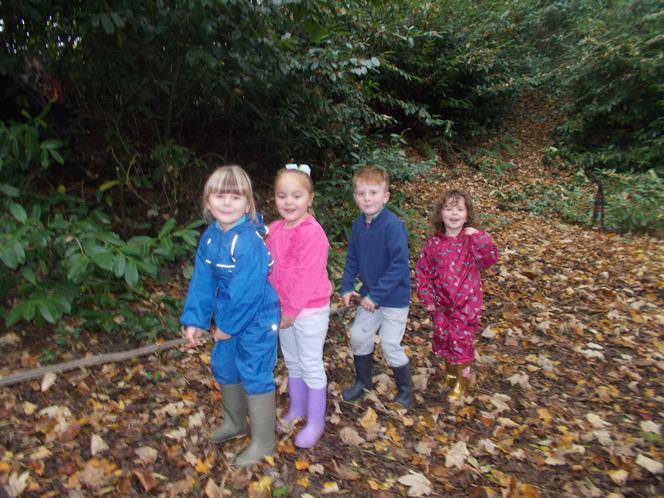 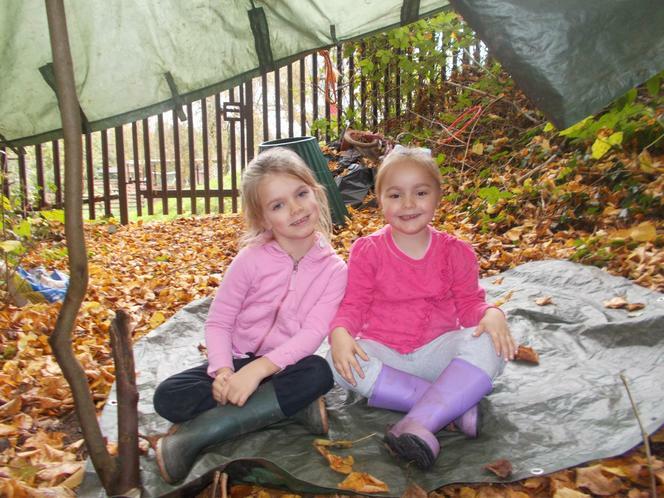 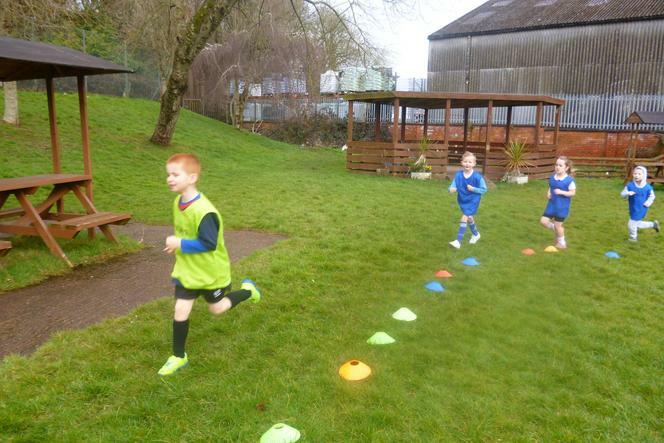 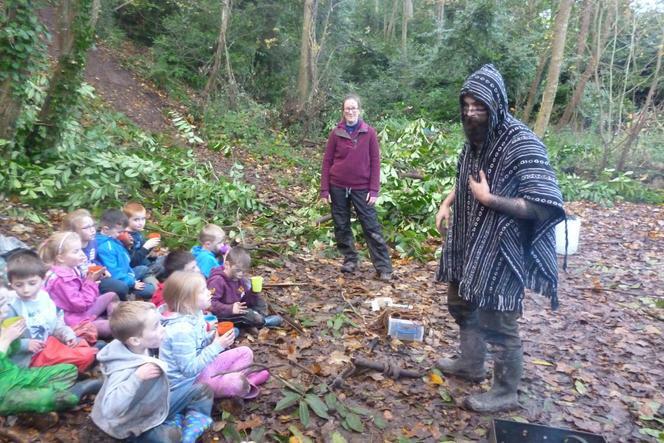 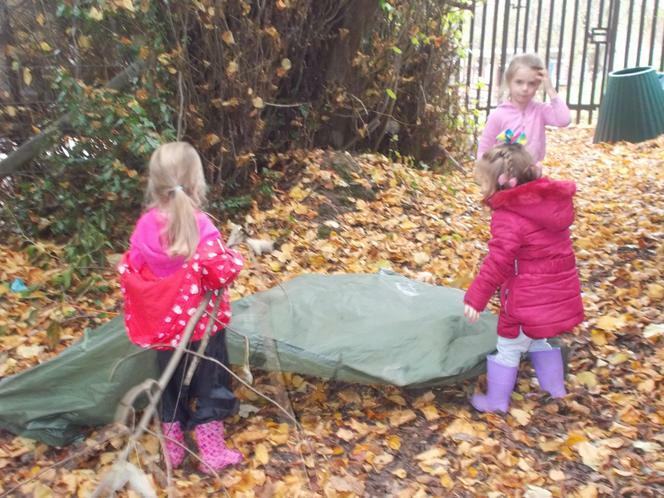 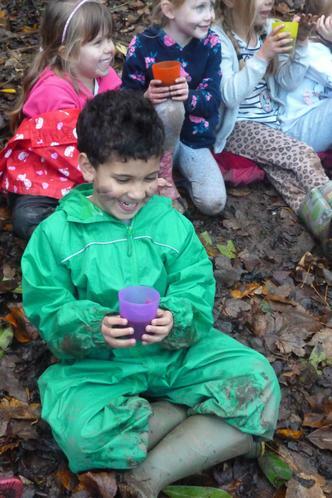 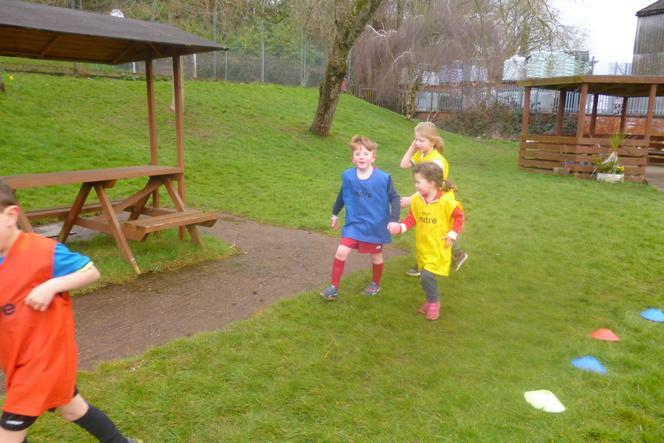 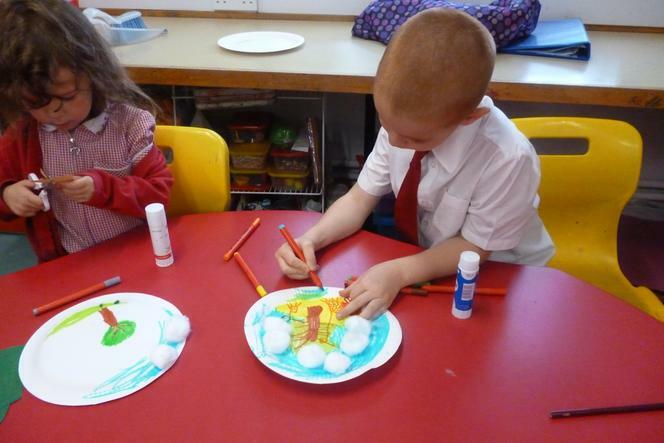 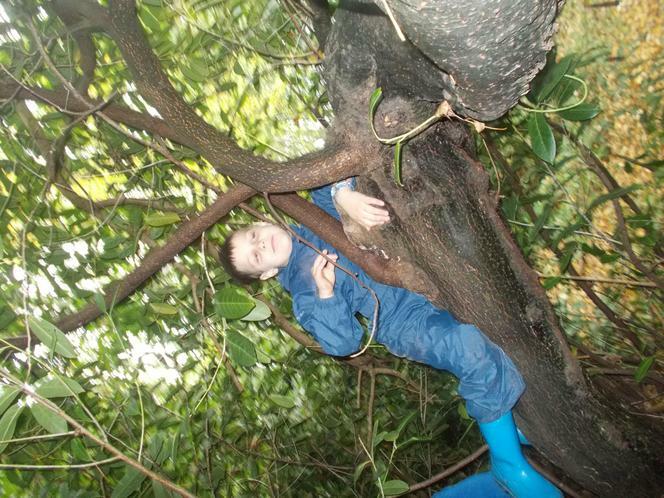 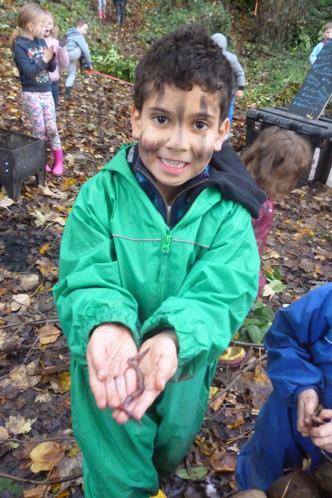 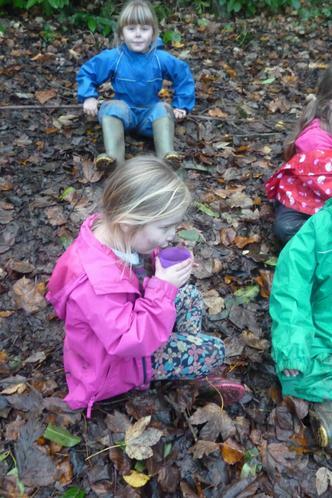 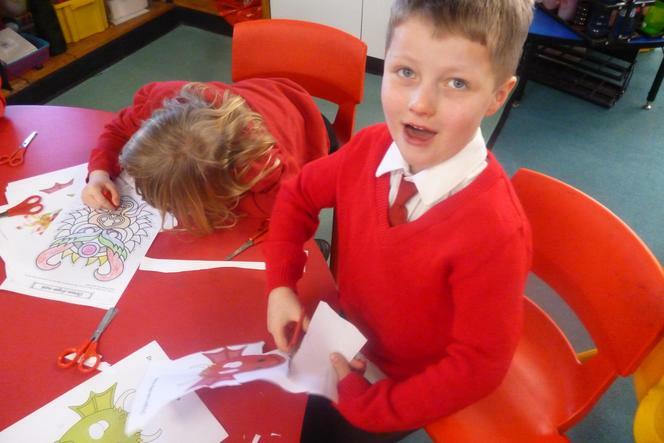 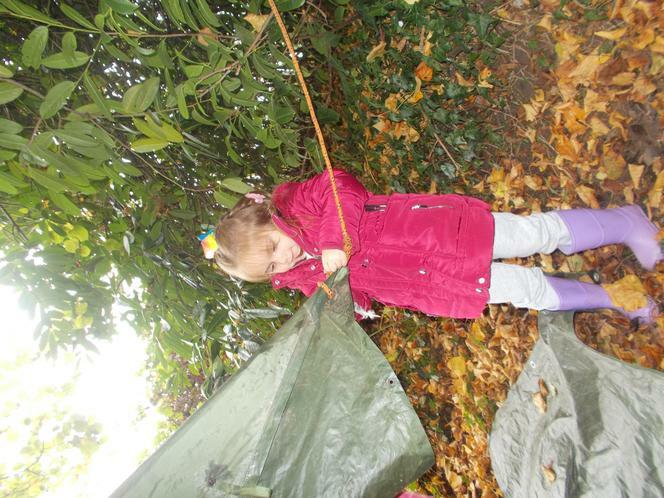 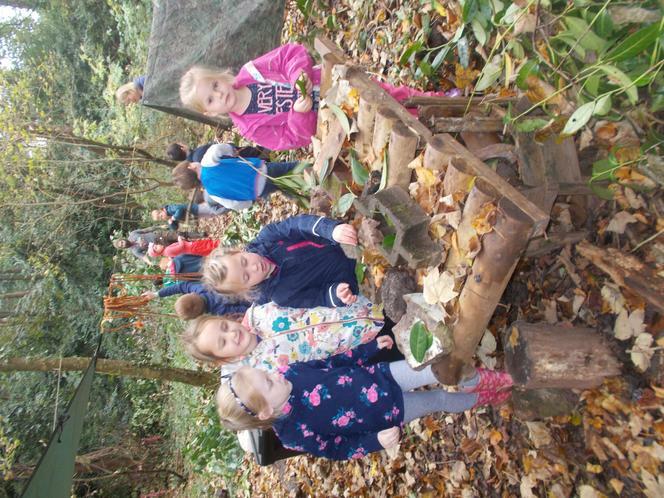 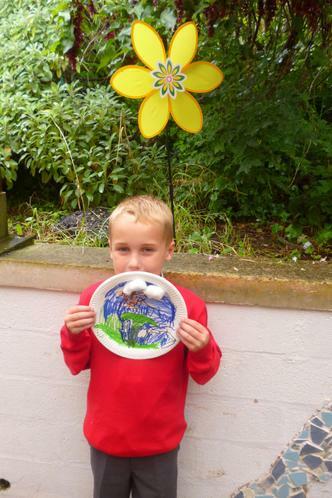 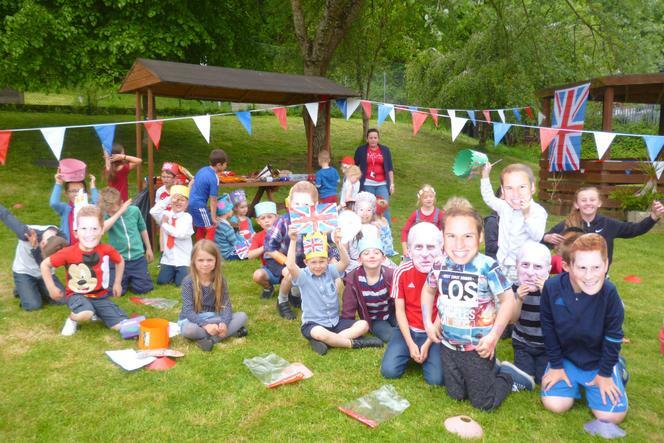 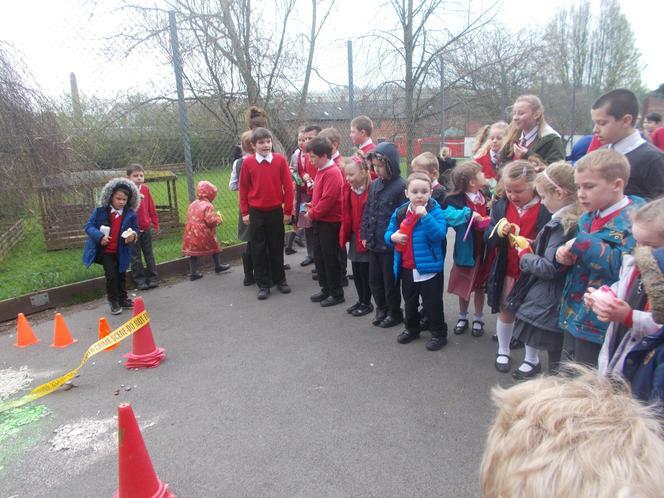 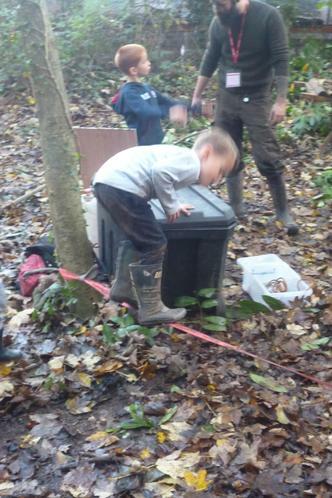 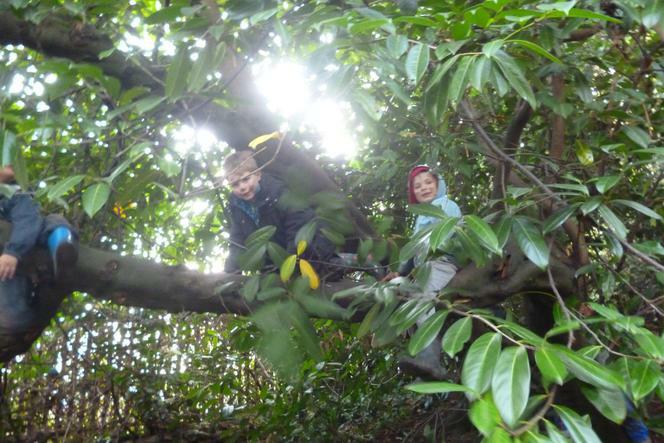 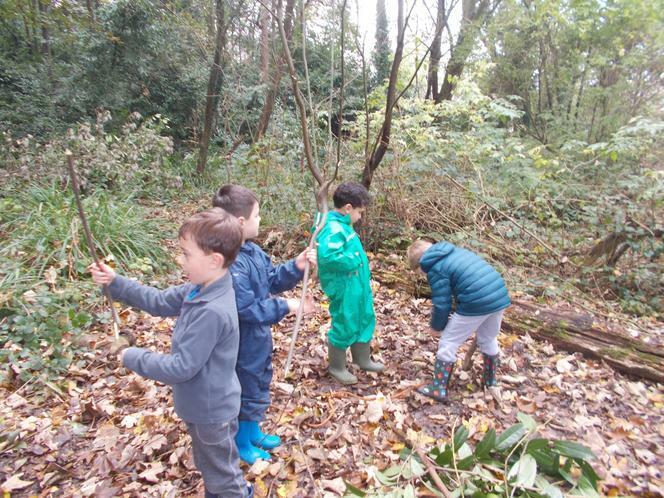 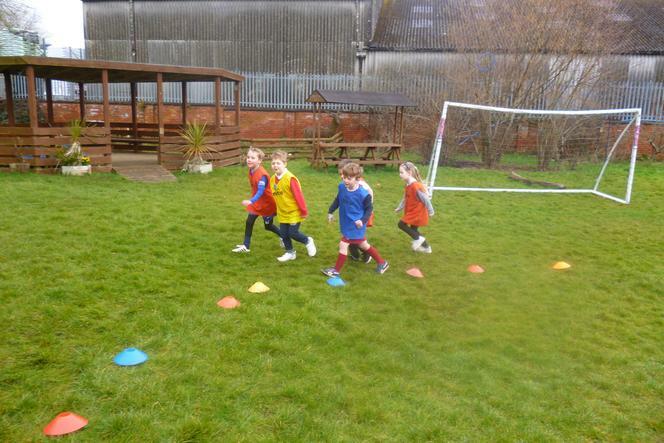 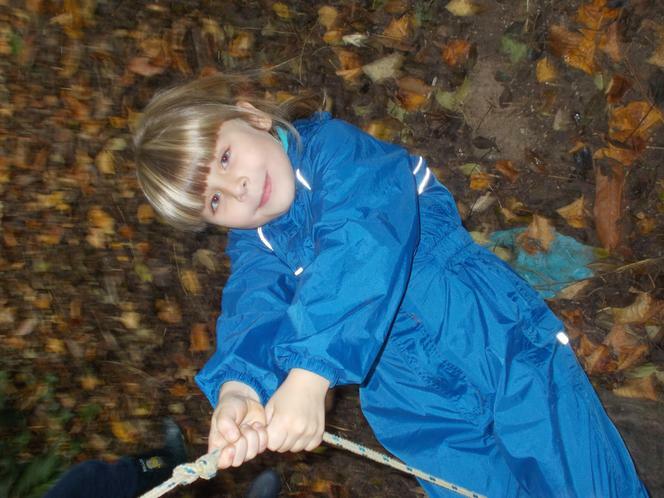 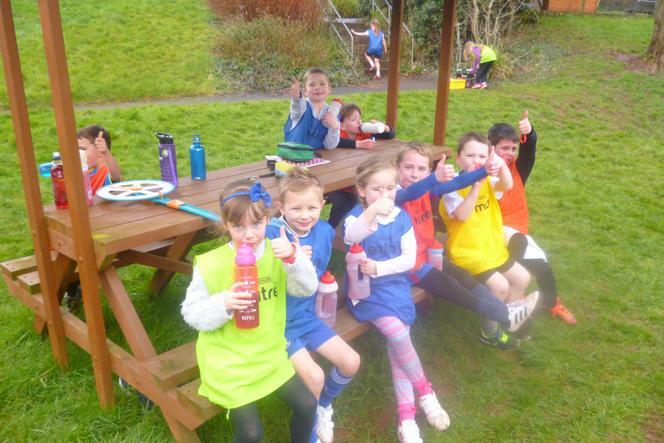 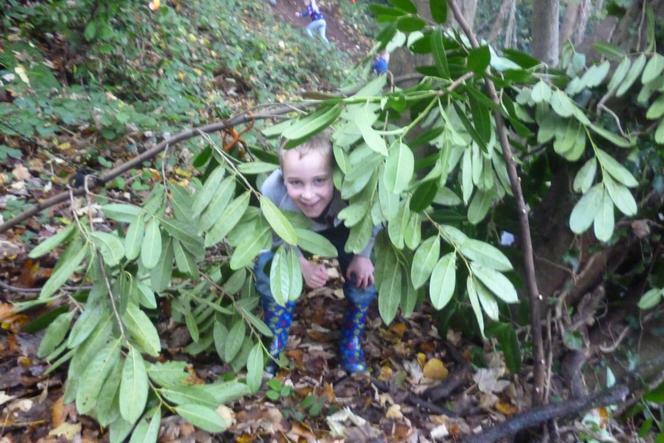 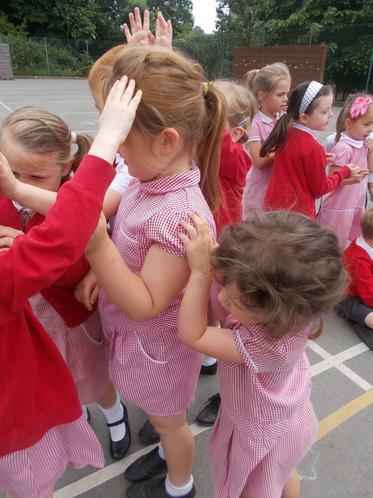 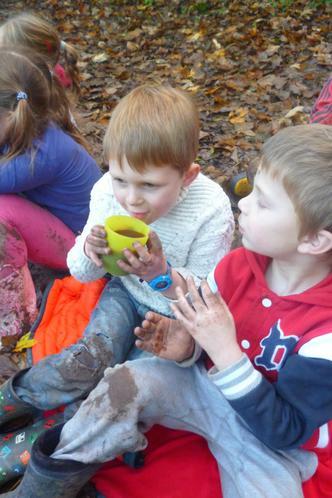 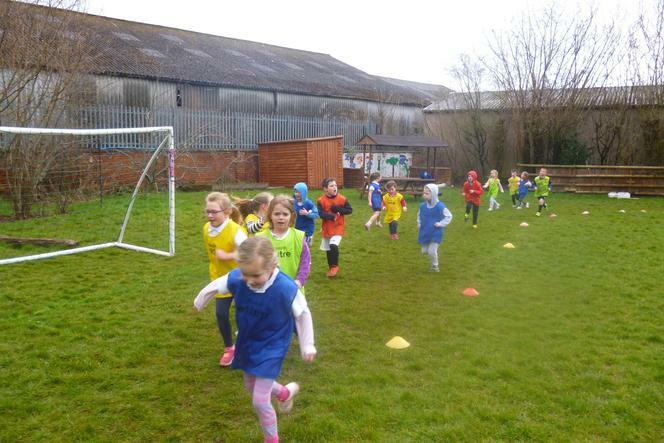 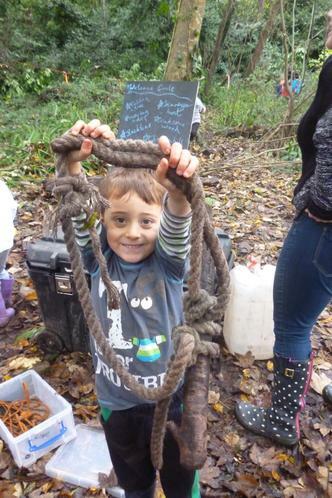 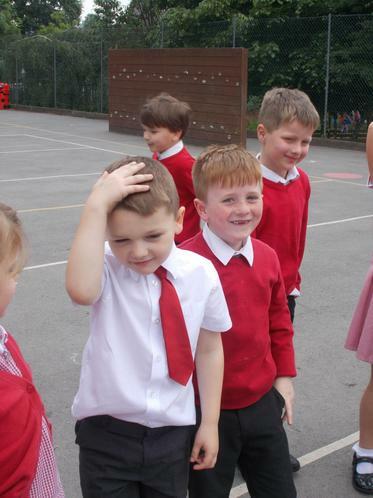 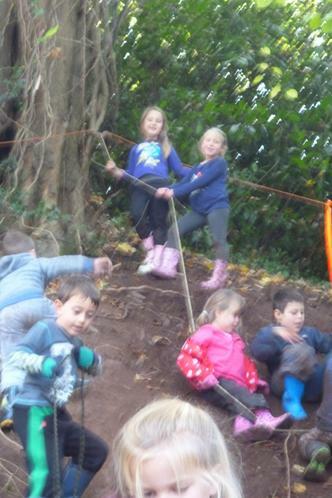 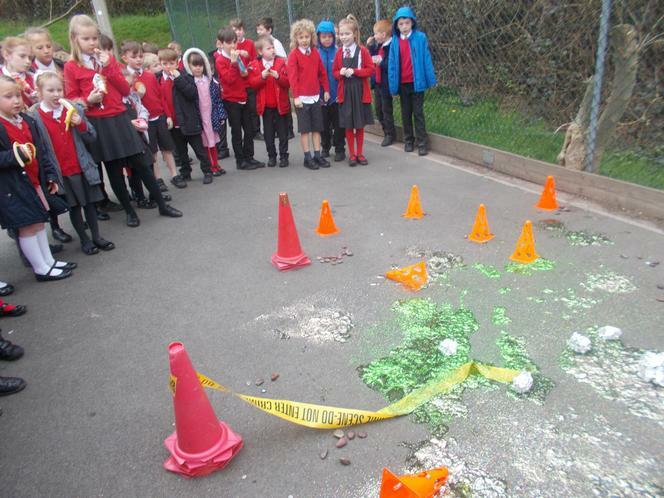 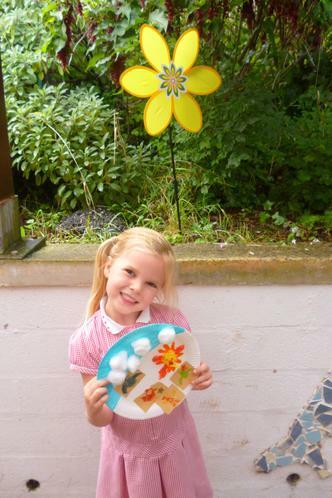 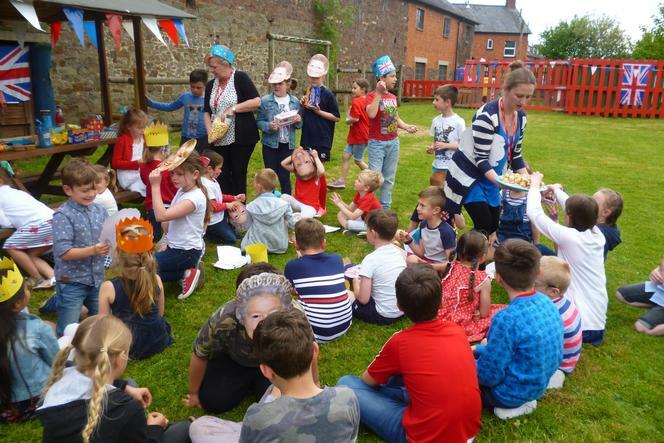 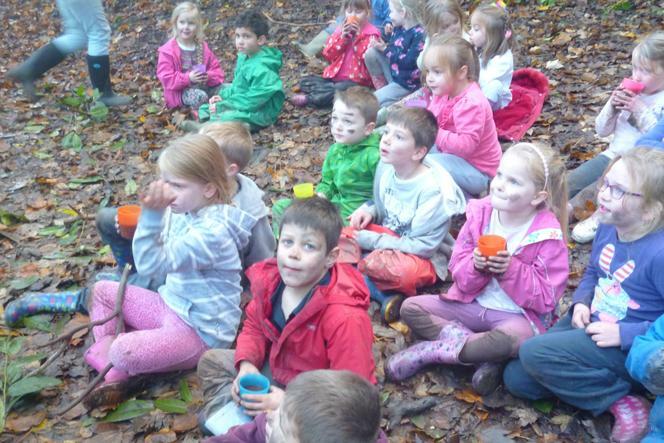 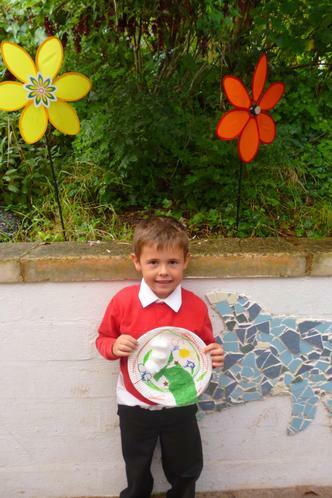 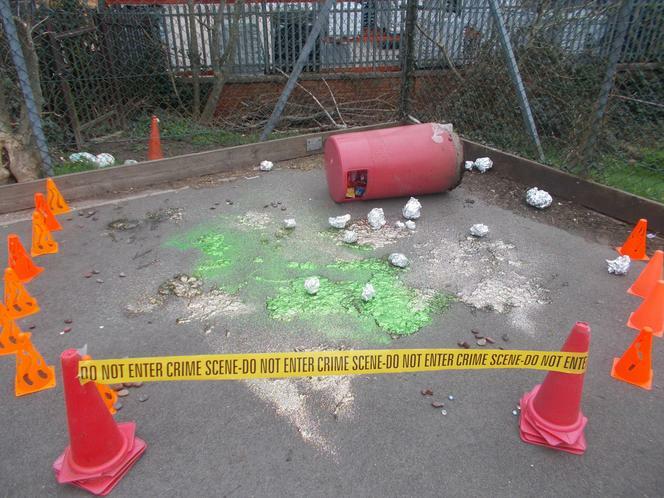 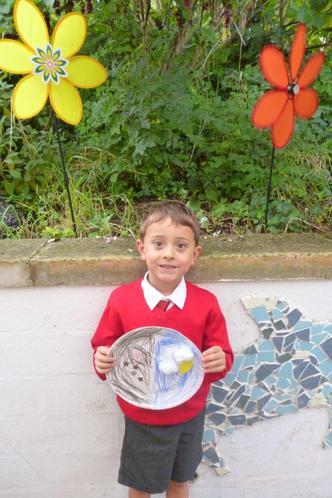 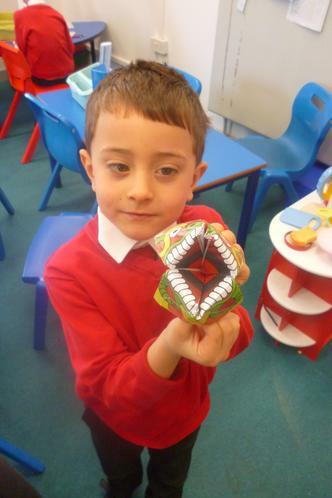 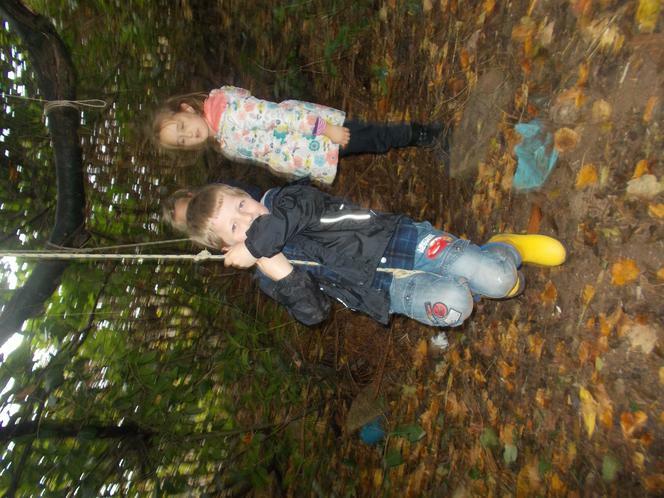 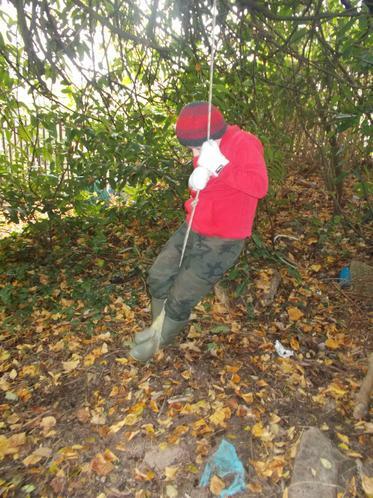 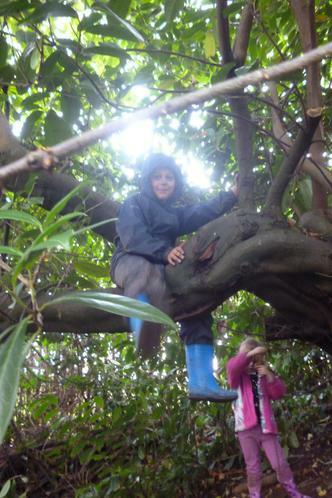 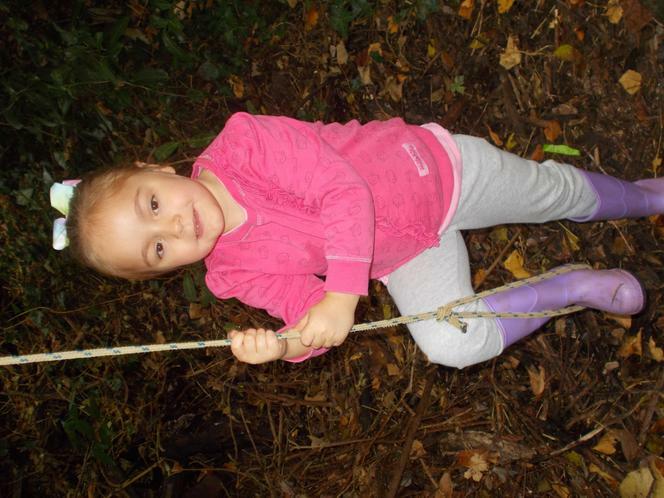 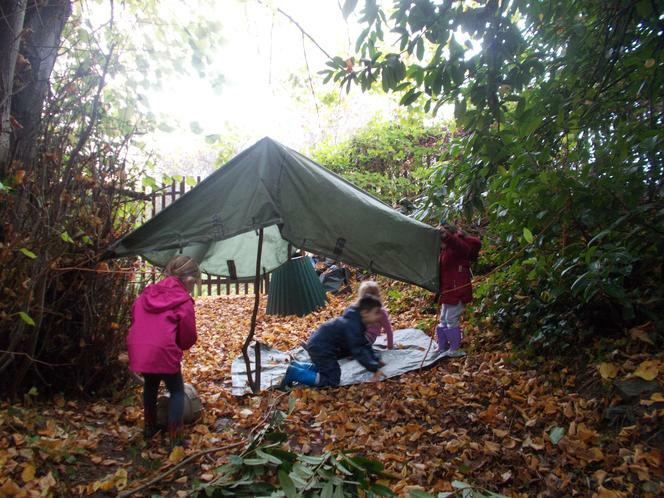 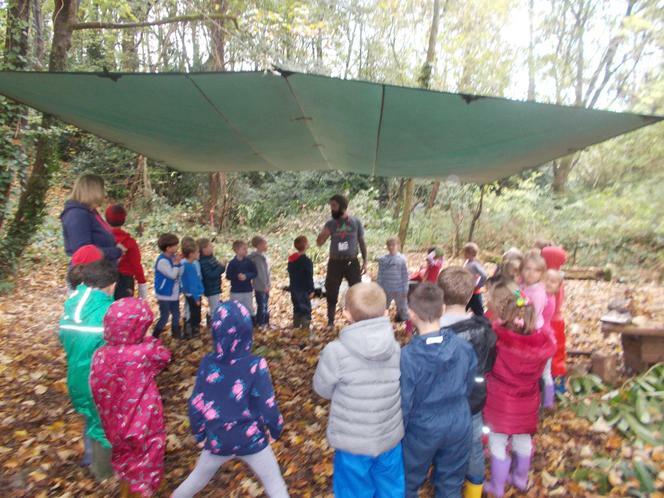 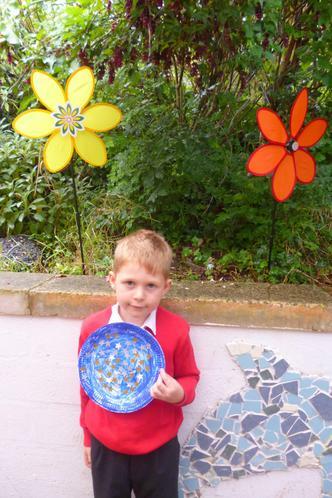 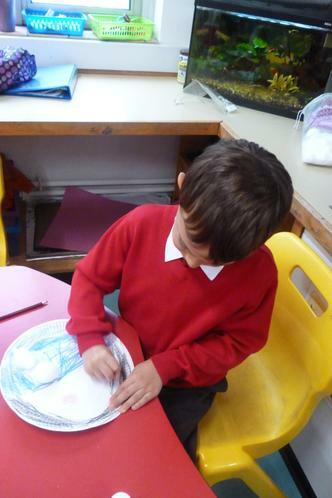 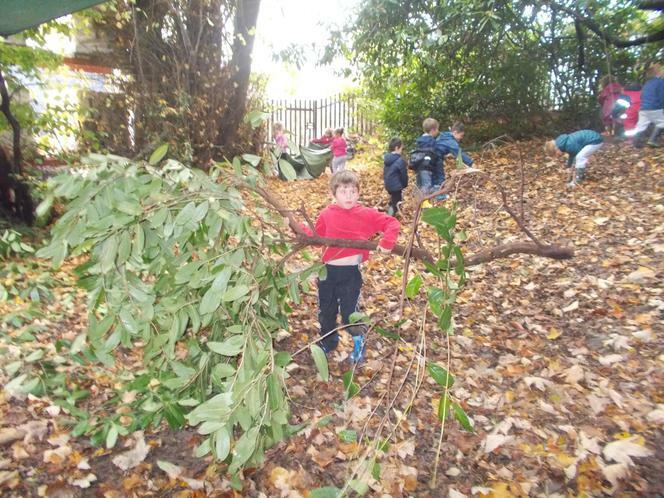 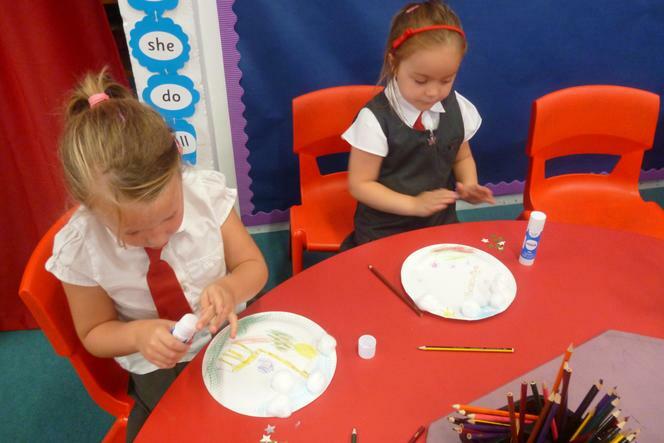 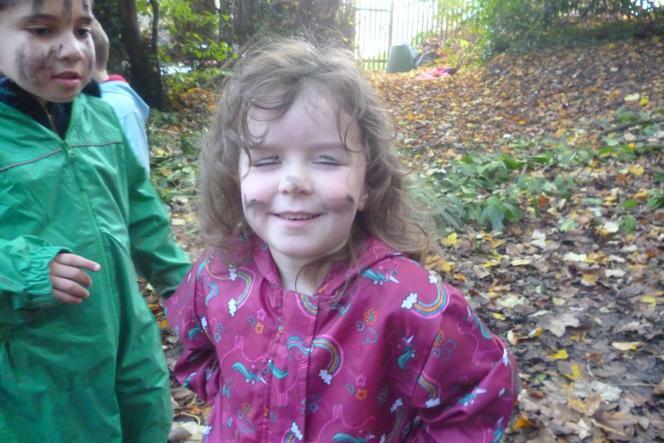 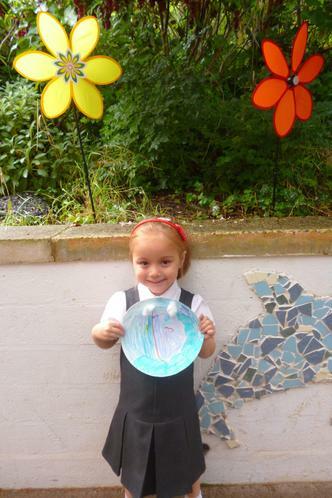 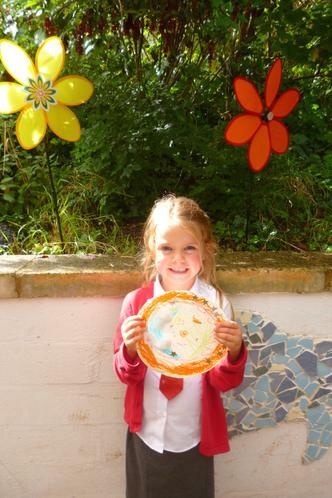 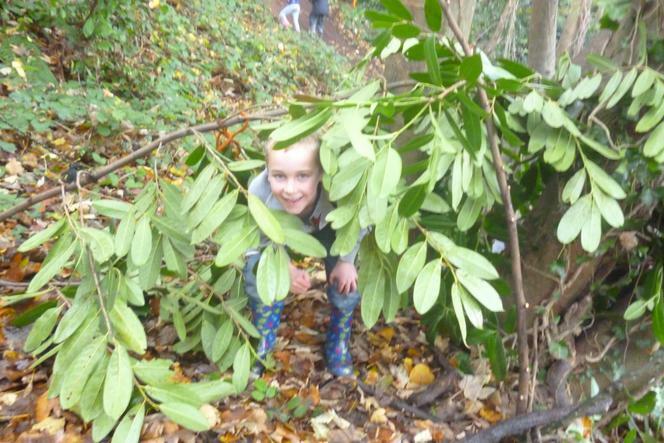 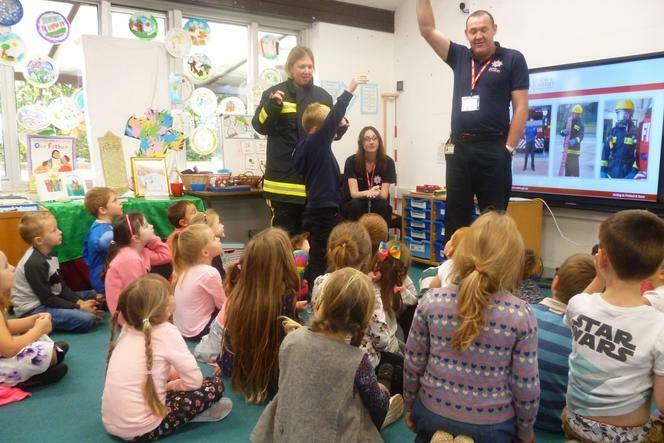 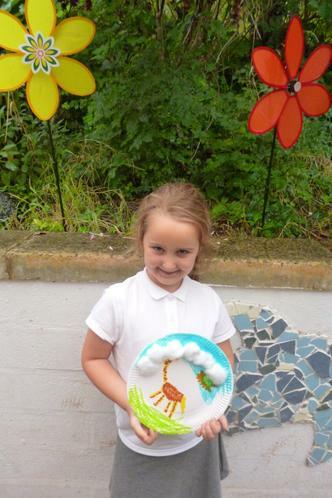 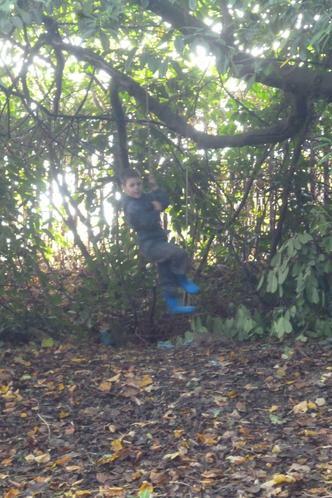 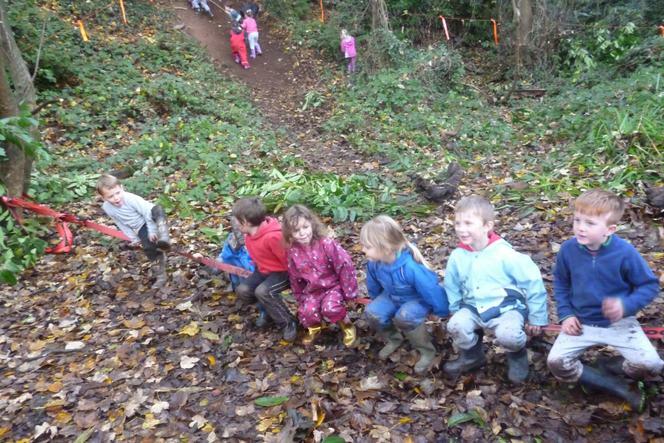 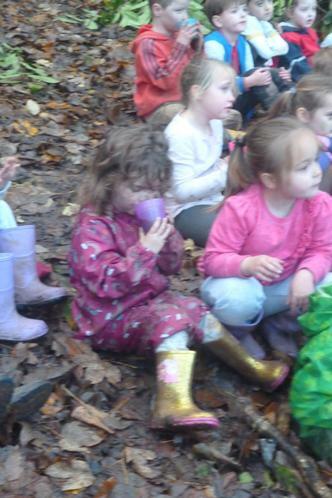 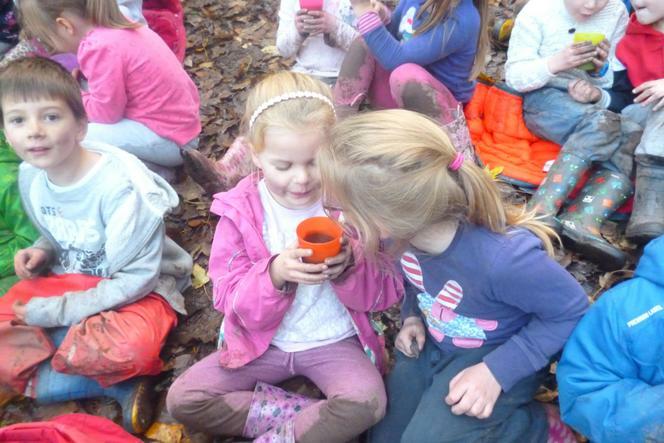 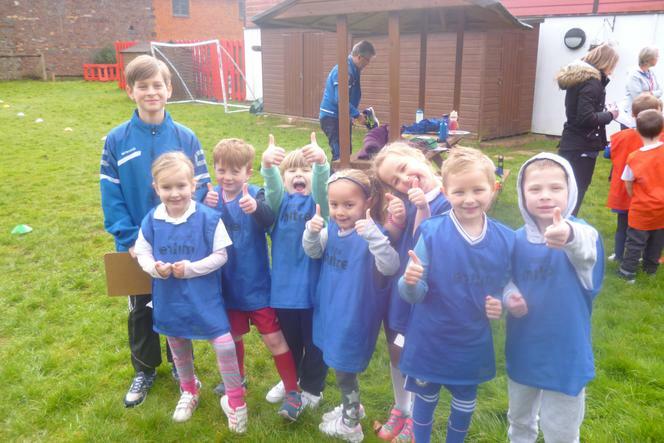 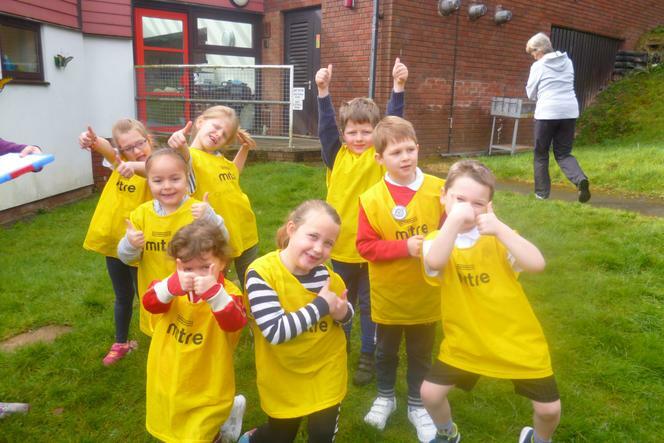 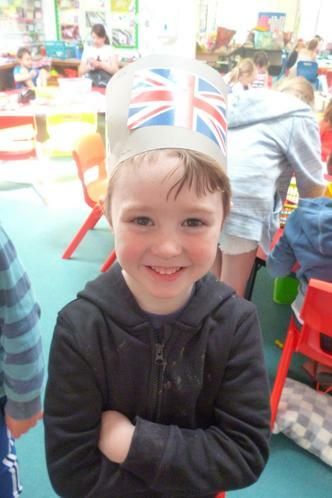 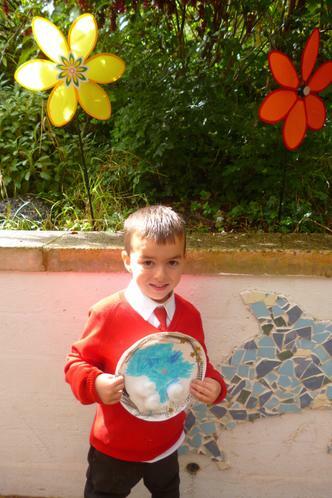 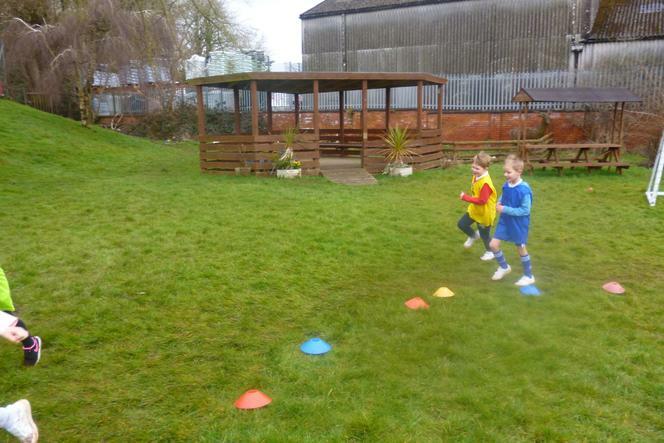 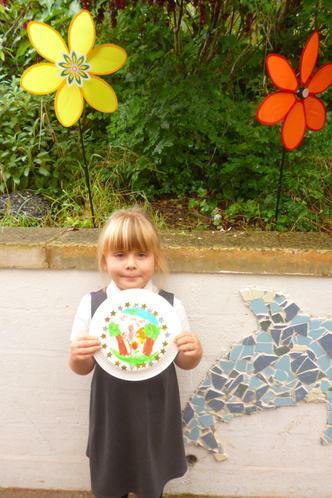 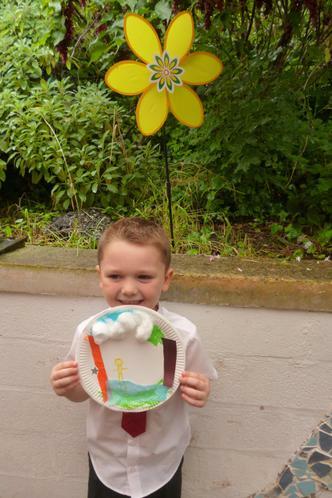 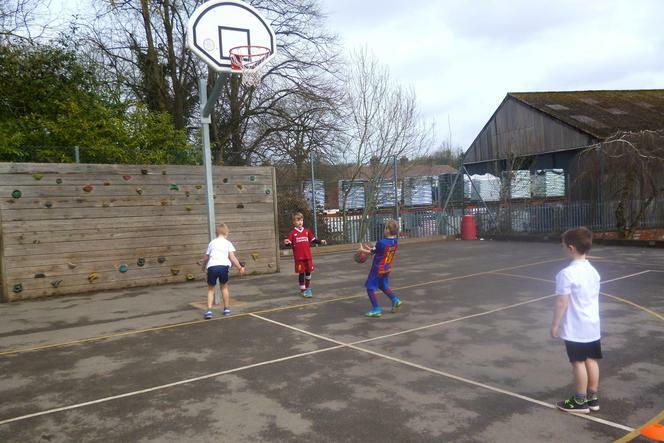 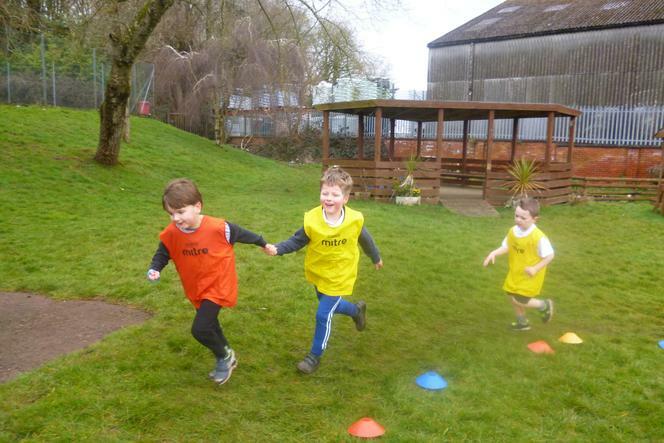 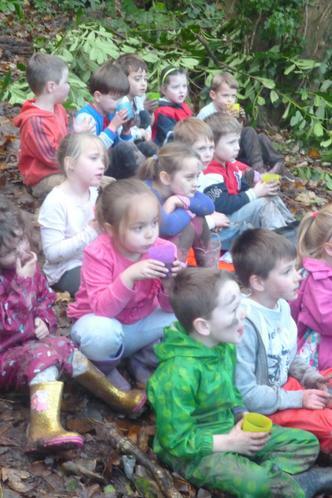 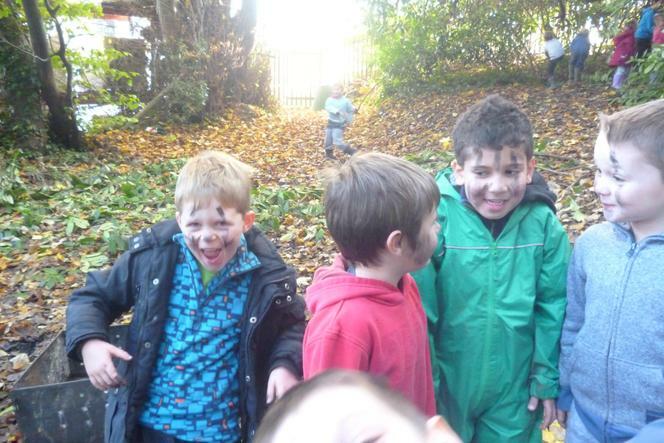 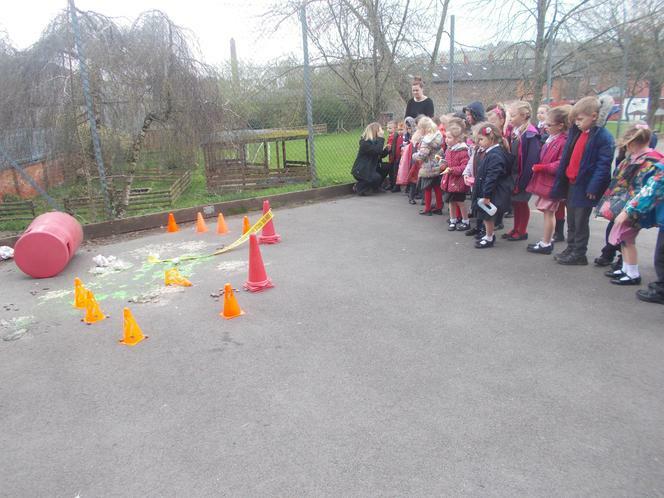 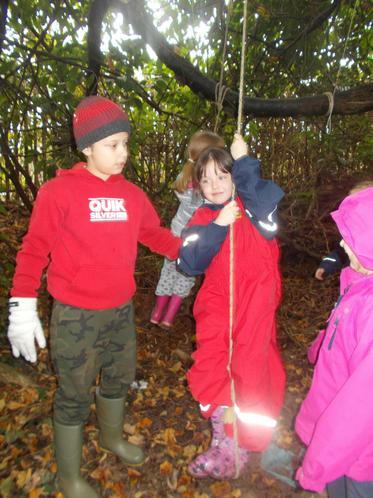 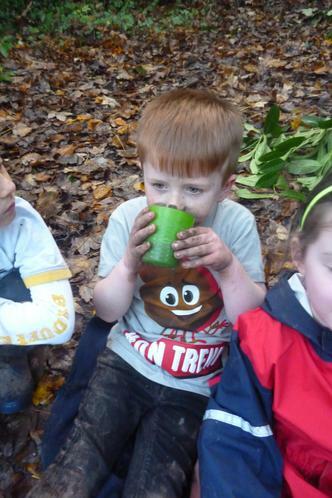 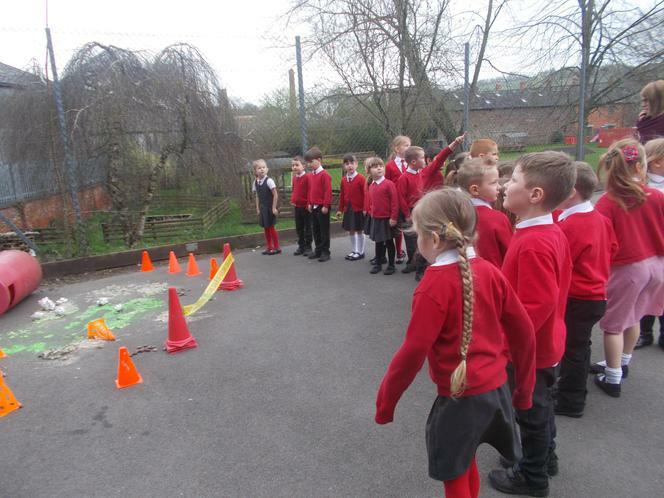 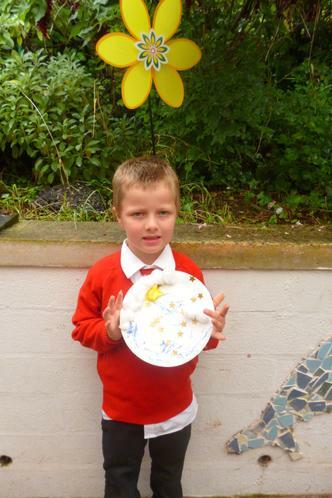 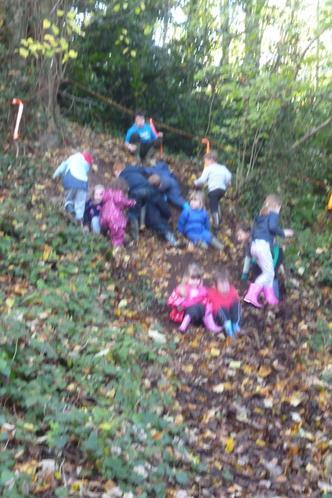 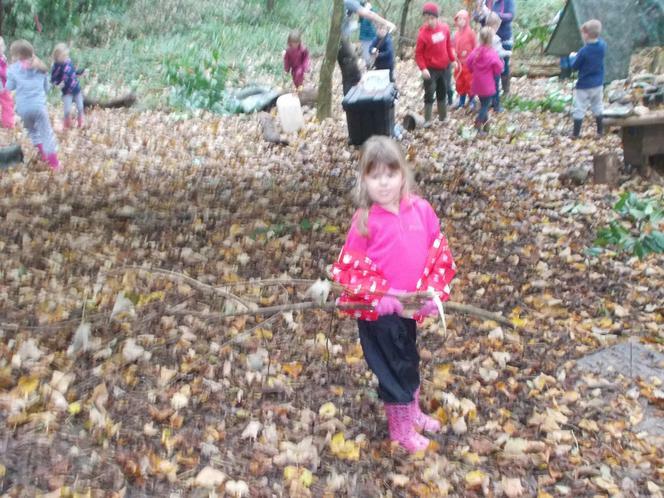 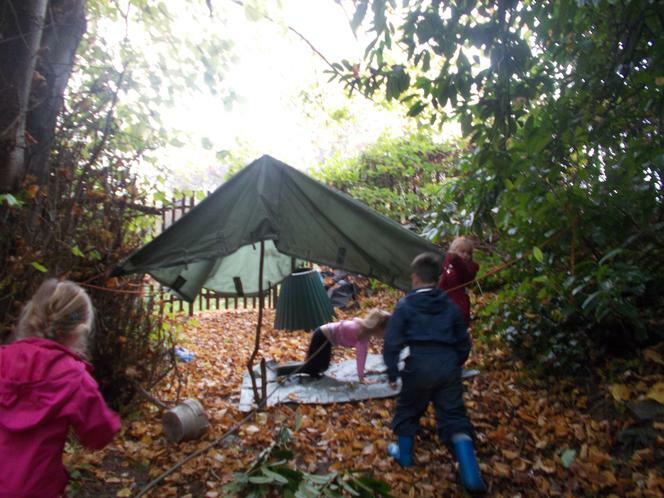 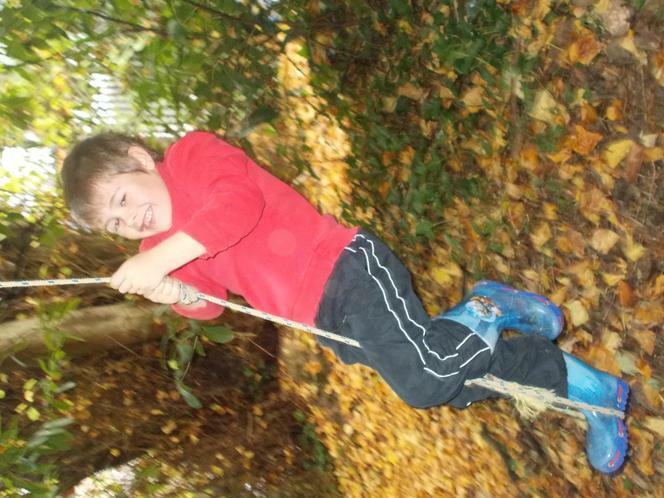 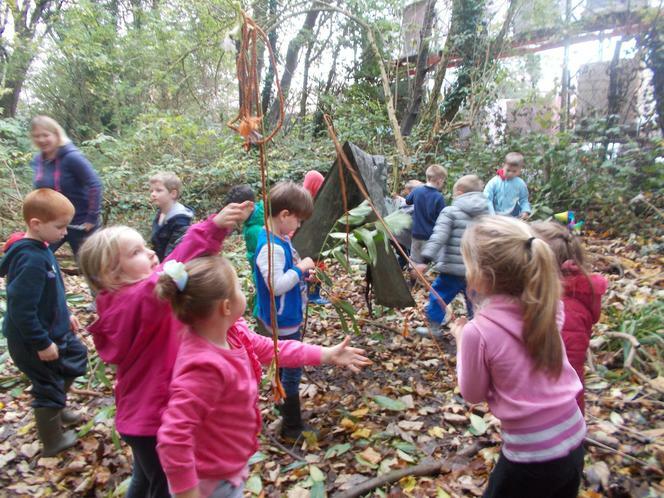 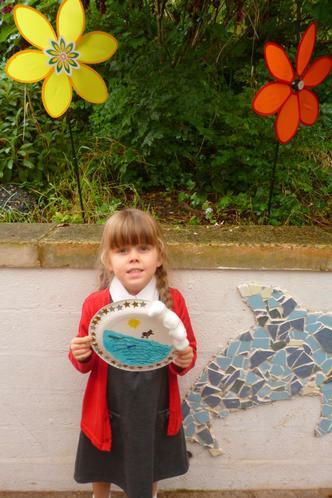 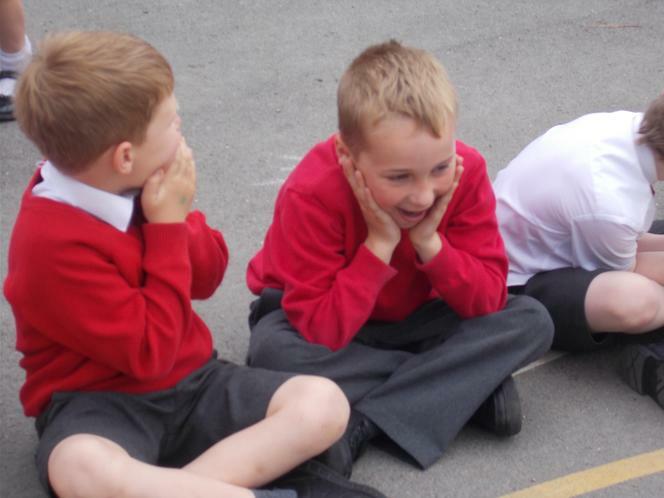 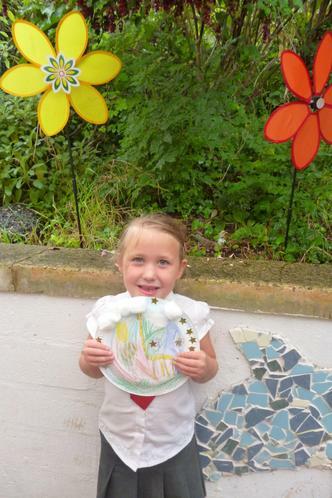 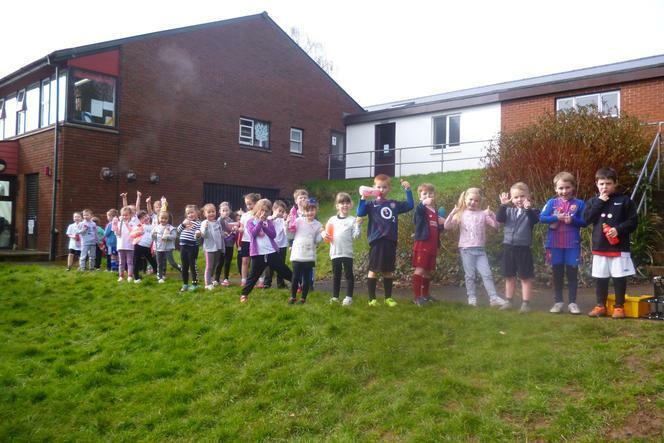 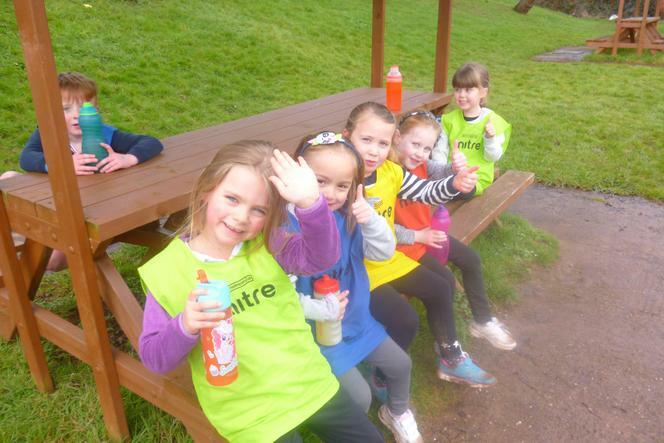 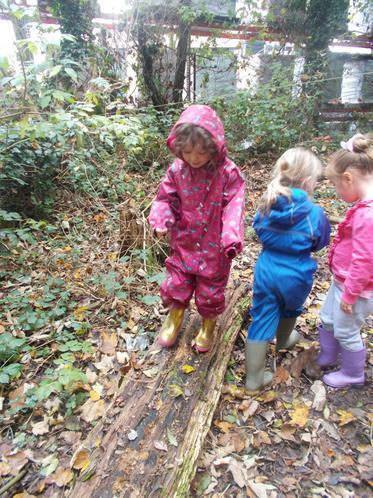 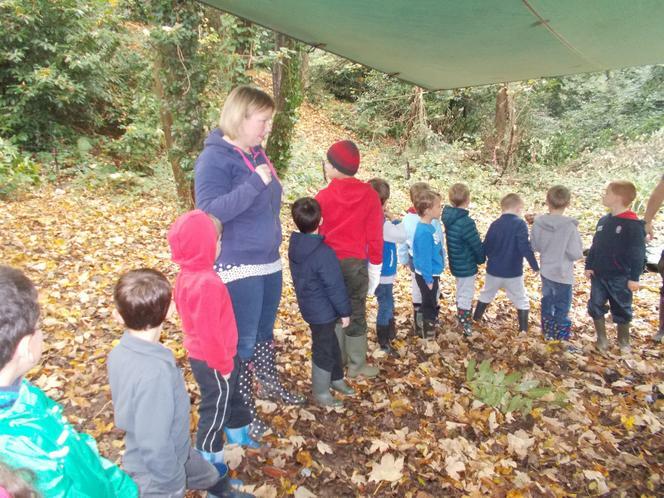 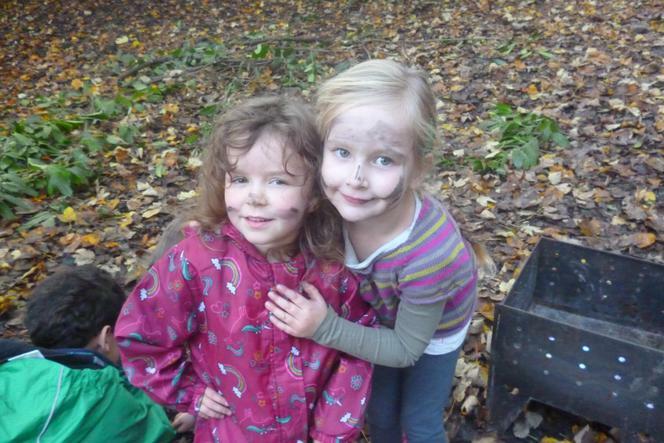 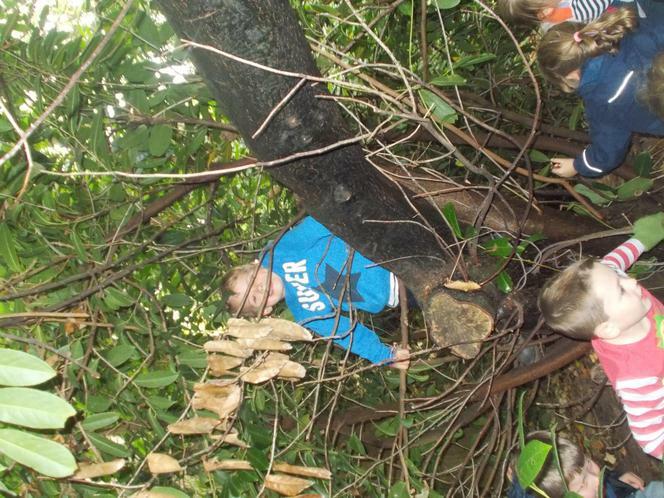 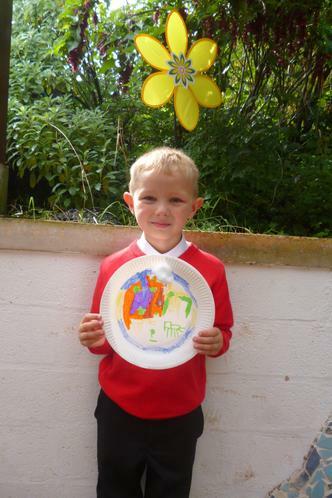 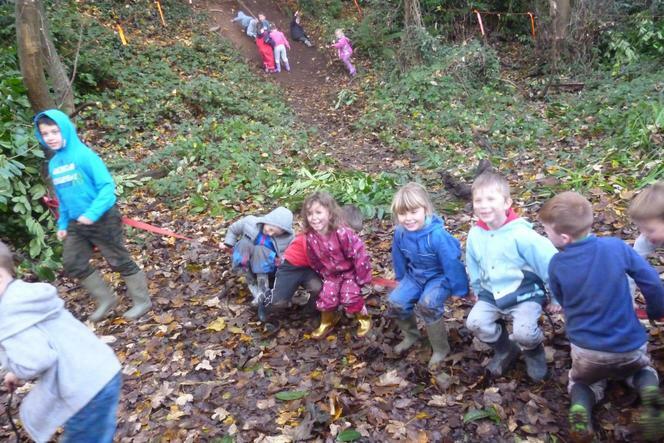 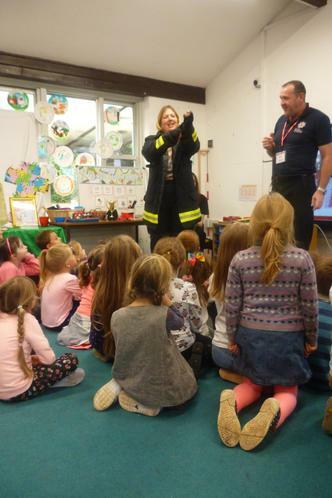 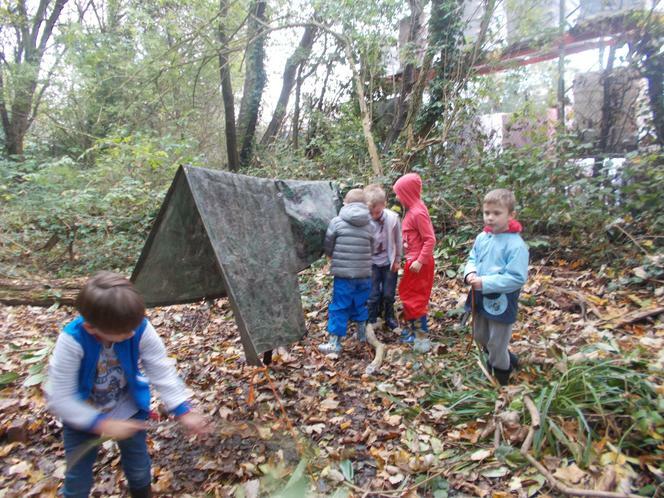 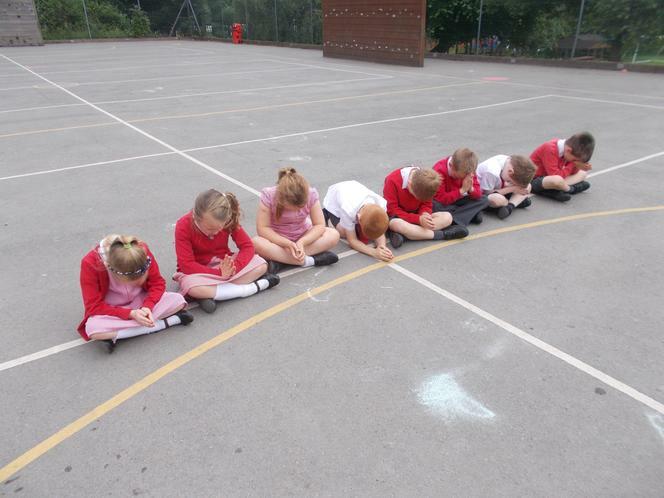 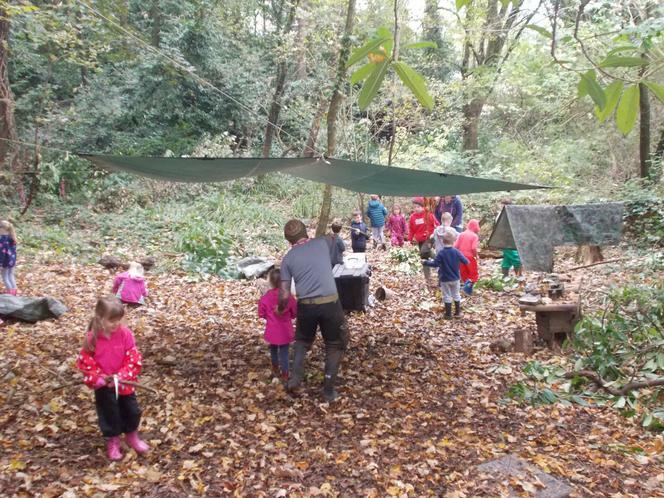 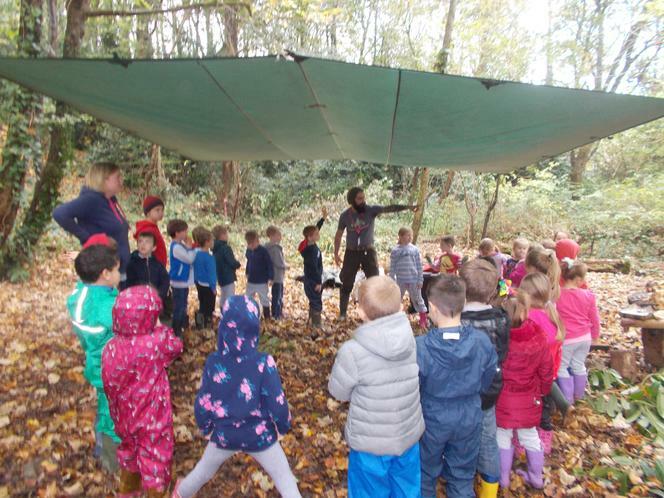 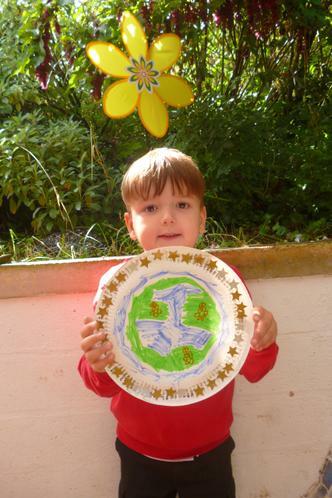 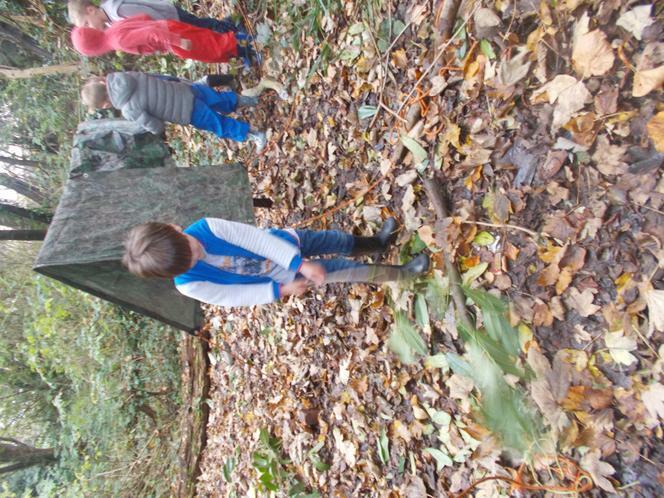 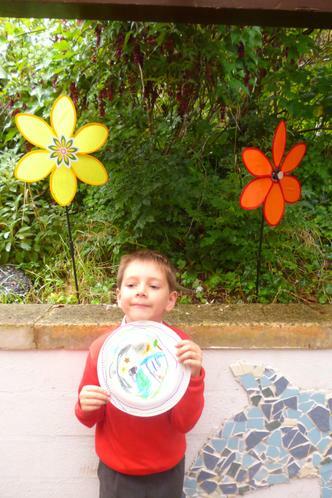 Year 1 predicted they would find lots of mini-beasts in dark, wet places- and they were right! 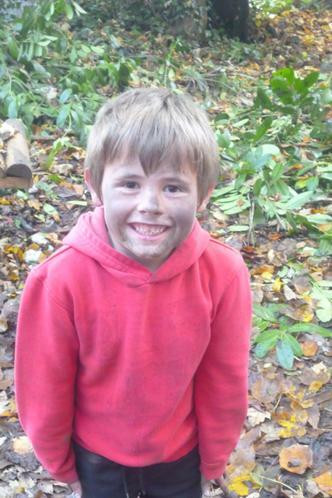 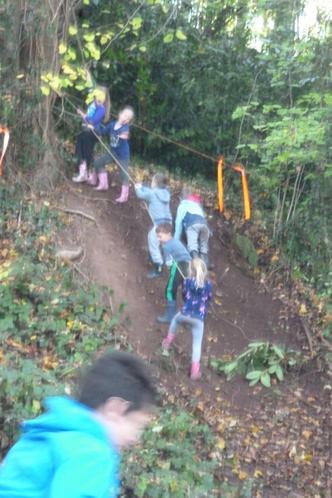 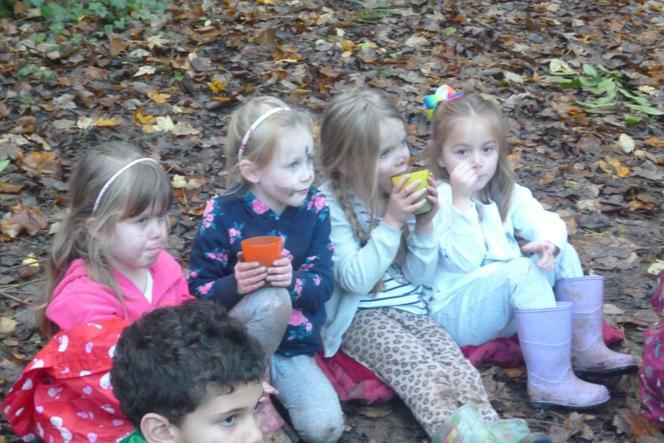 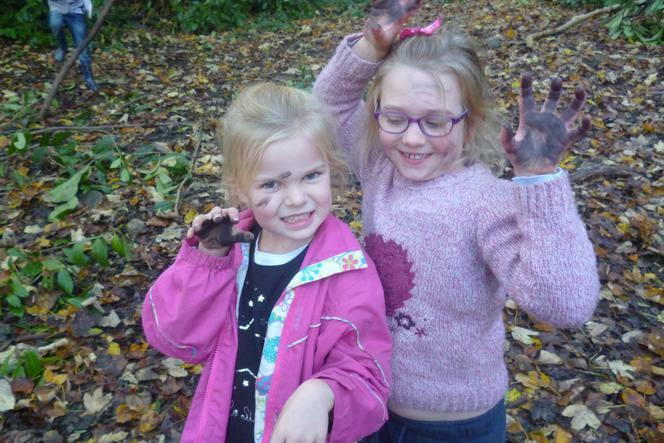 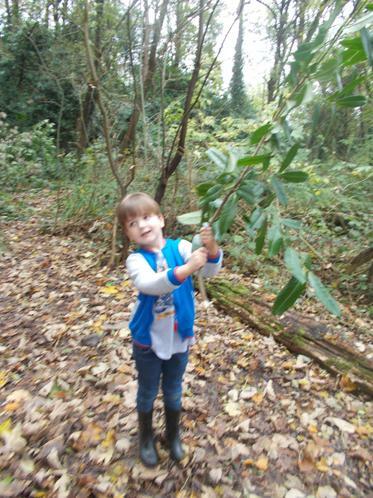 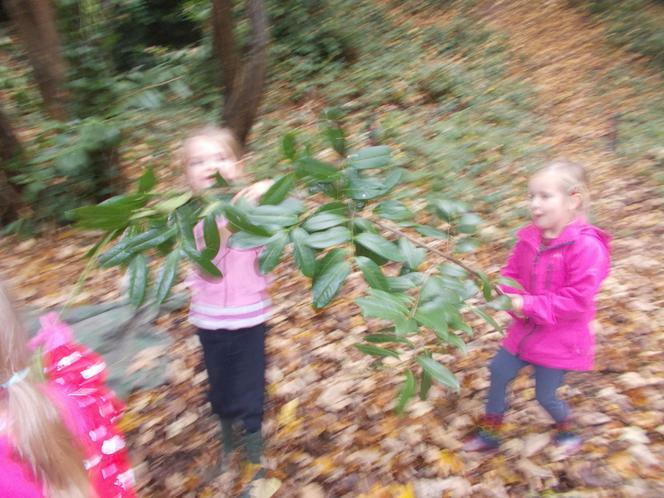 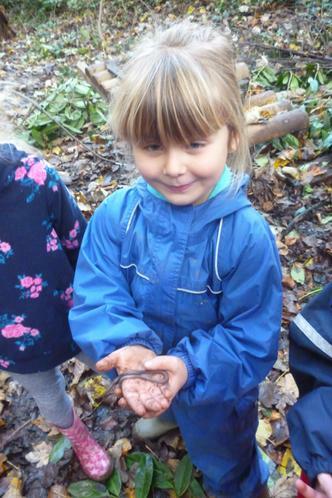 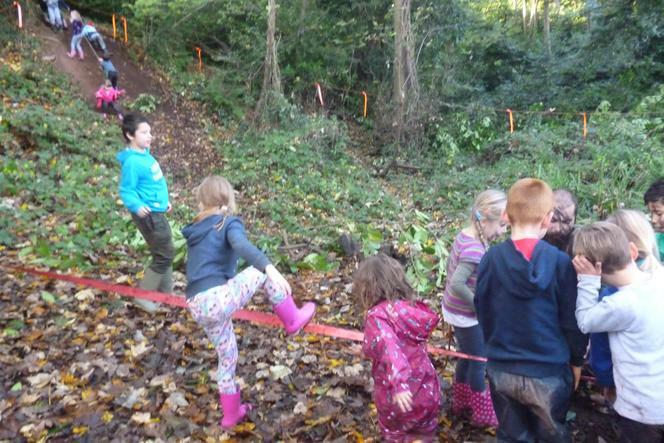 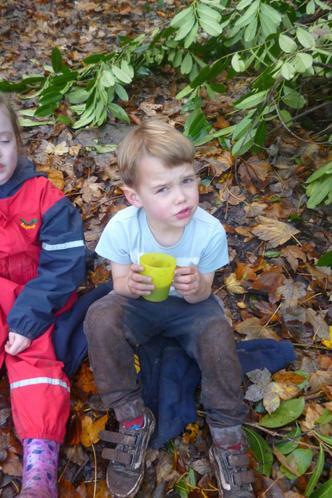 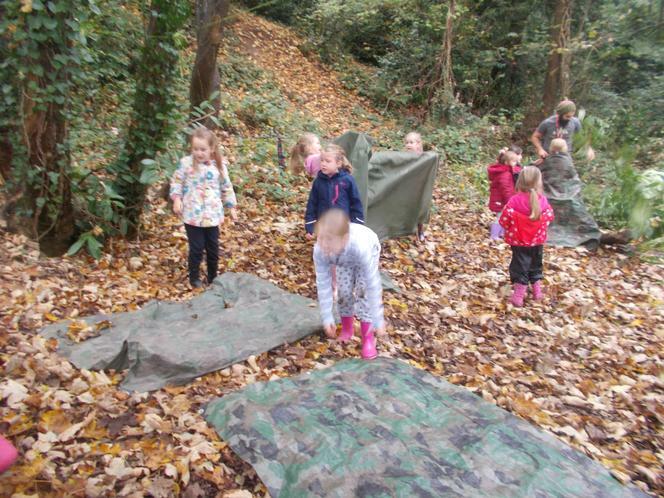 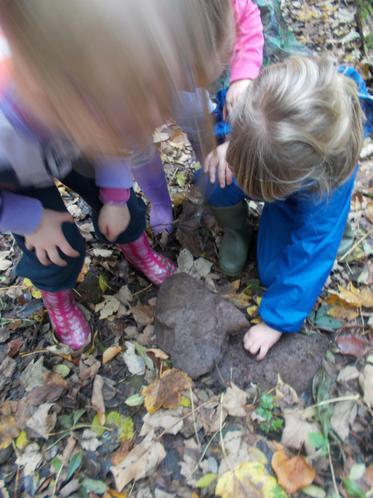 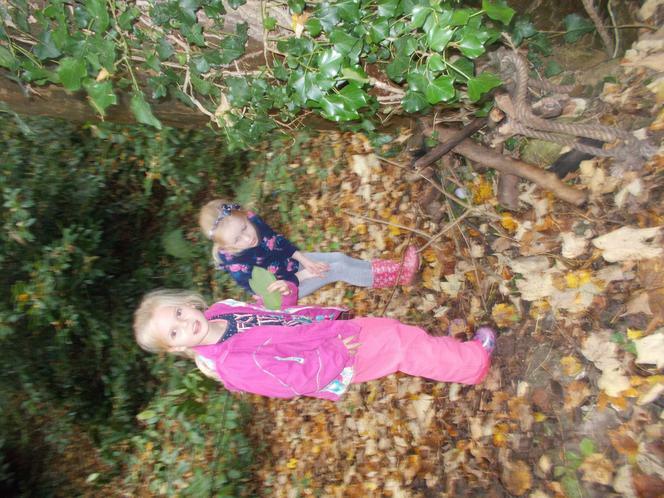 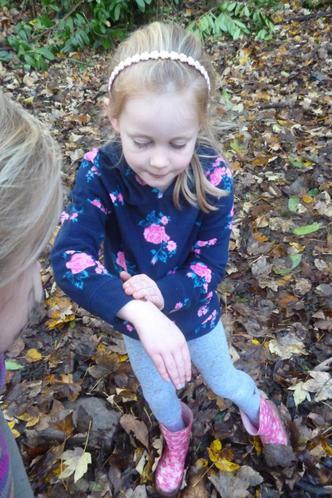 We found lots of mini-beasts hiding in leaf litter and under fallen trees. 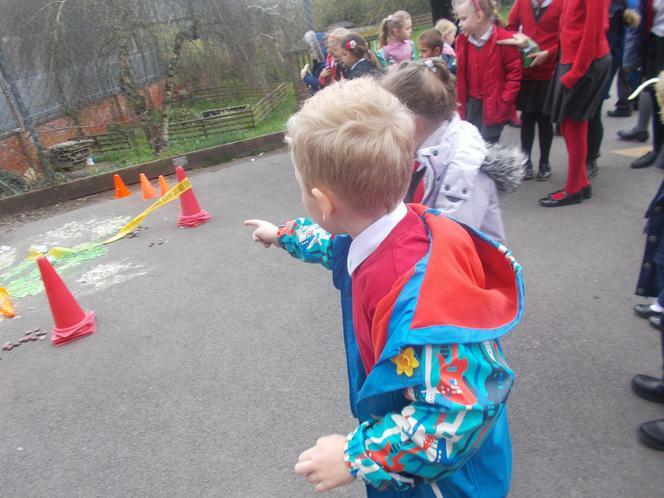 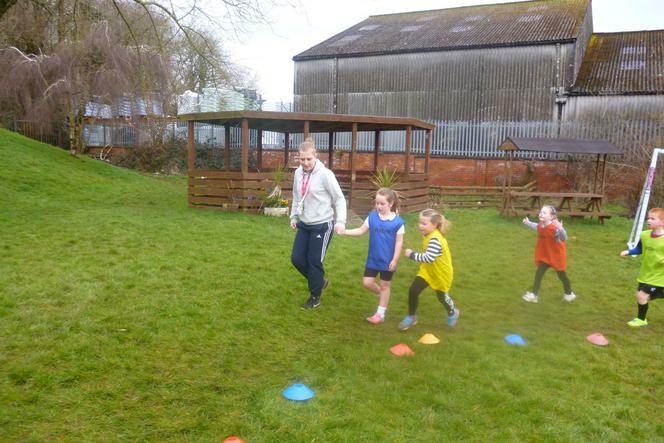 We also found a hedgehog and agreed that the school playground was not the best habitat for him! 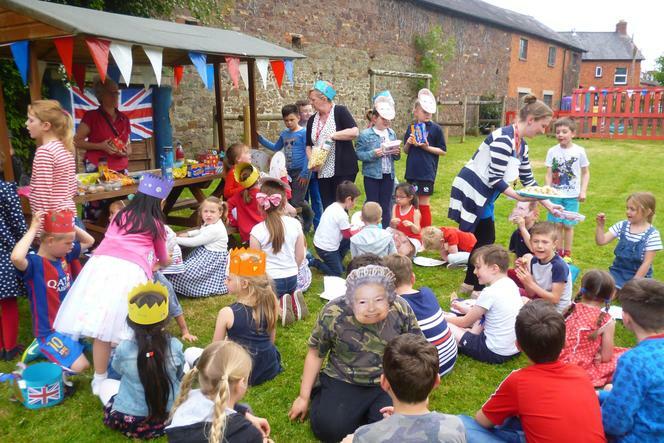 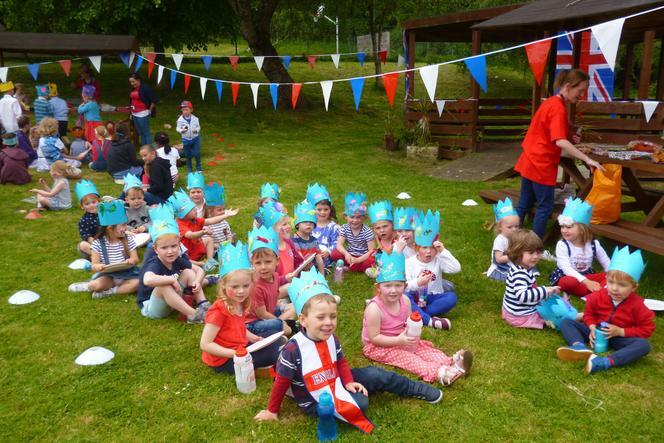 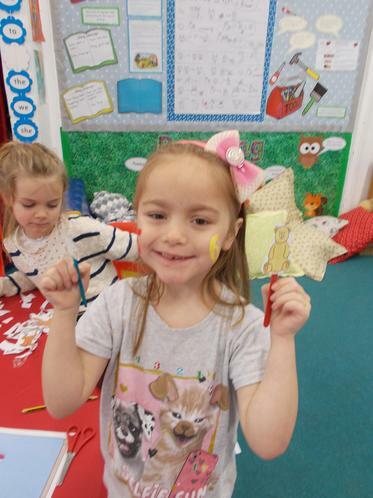 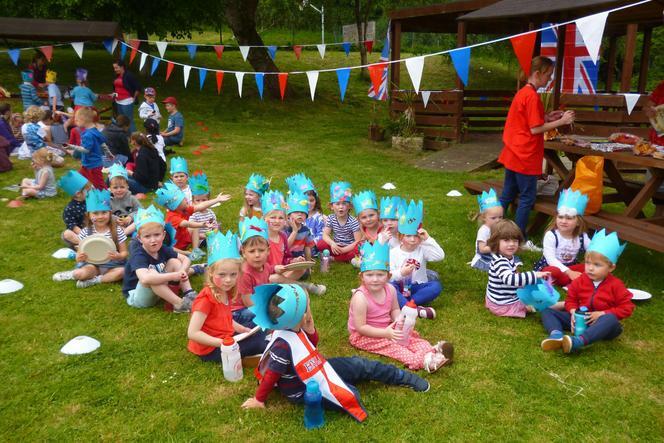 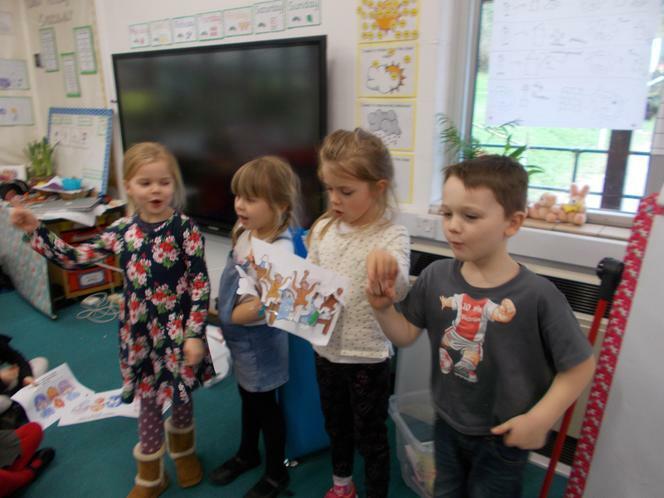 In support of CHAT (Churches Housing Action Team), year 1 donated £1 each and invited their teddy bears to spend the night at school. 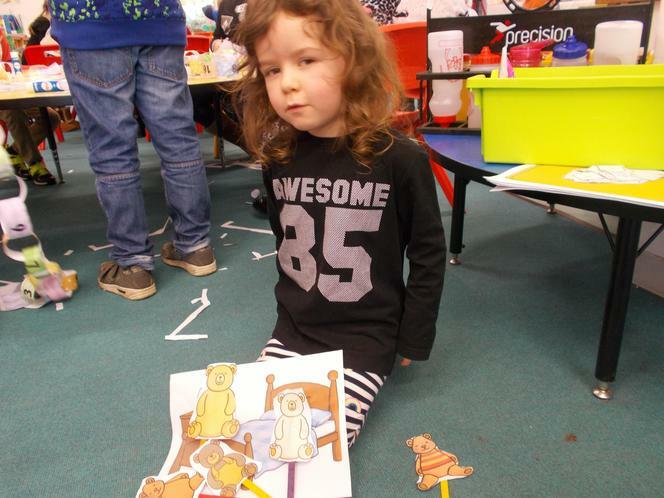 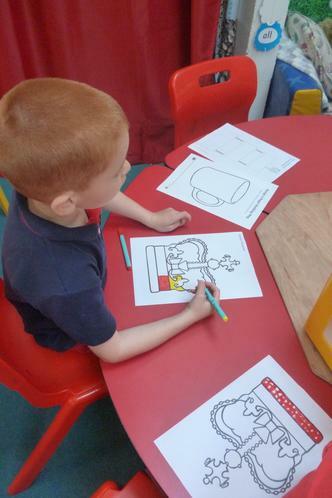 When we got to school the next day the teddies had been very busy doing some maths work, reading and having a snack! 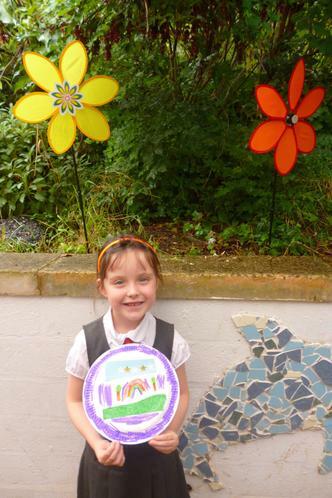 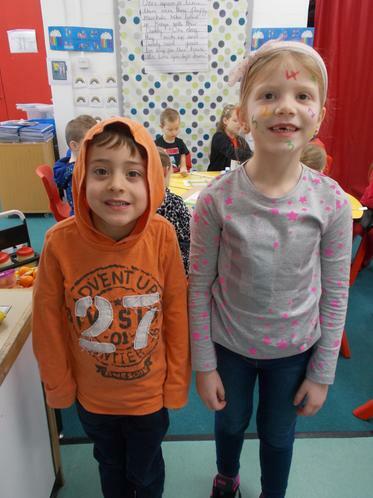 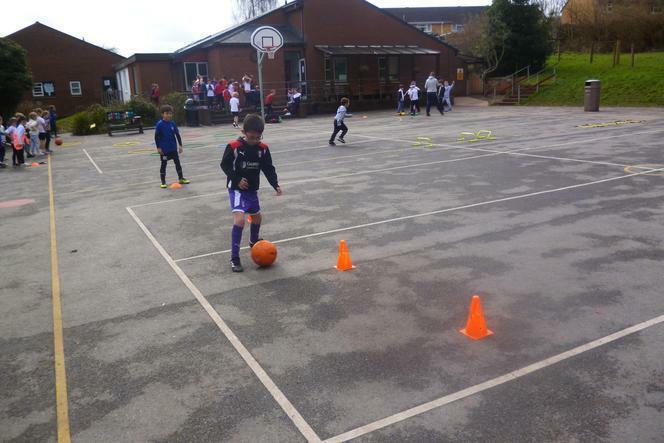 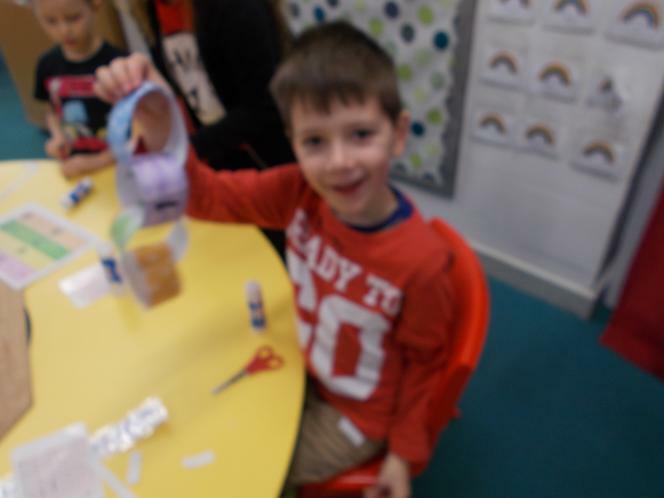 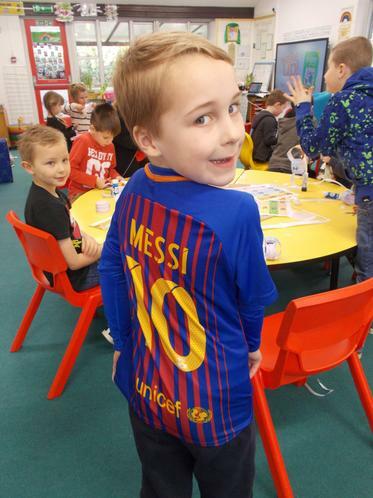 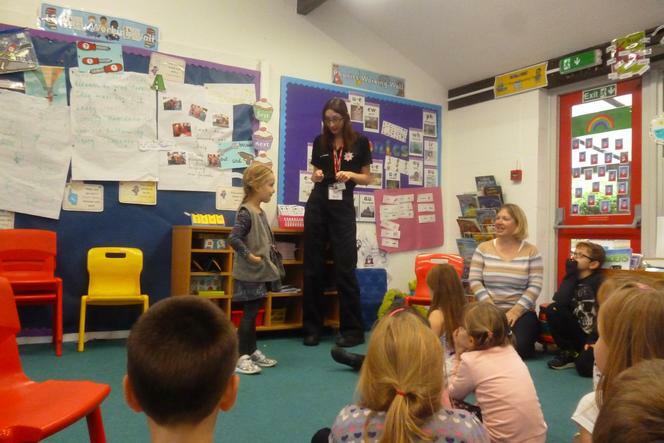 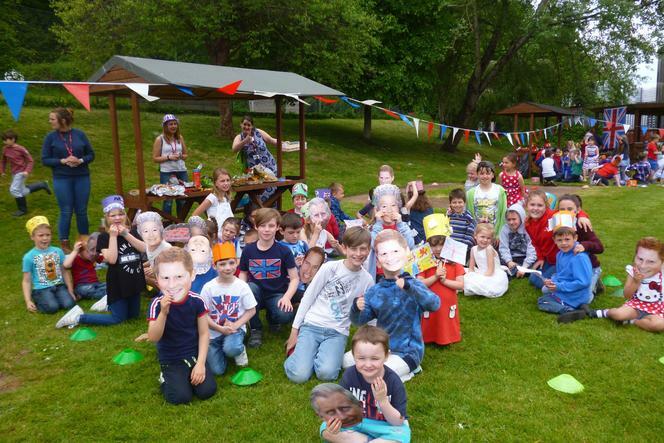 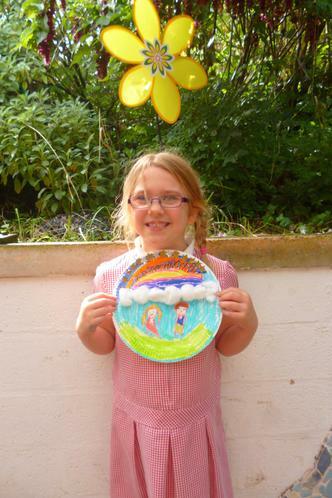 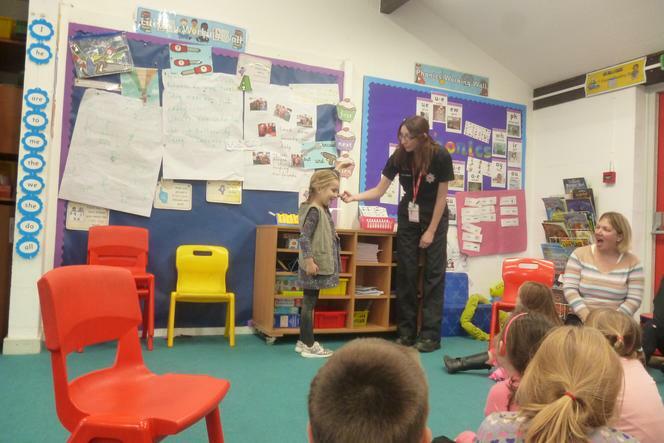 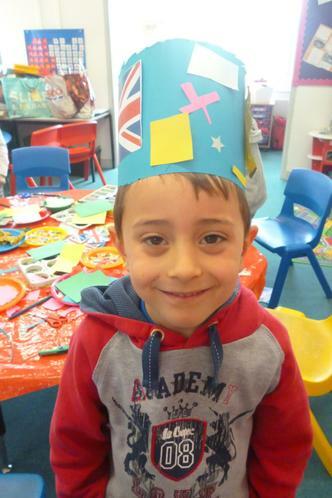 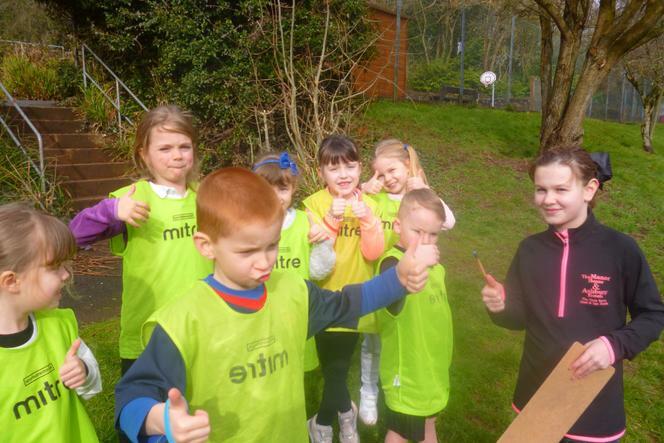 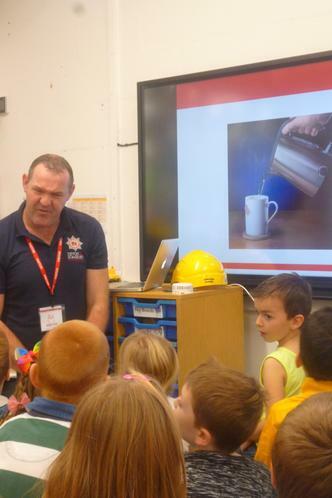 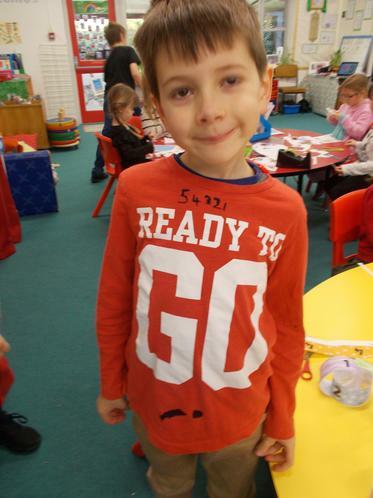 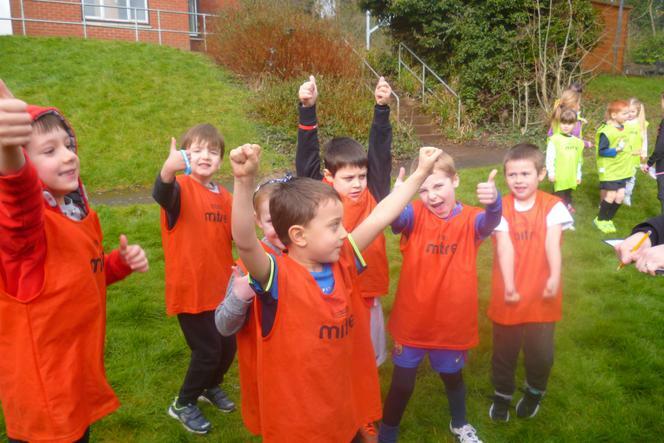 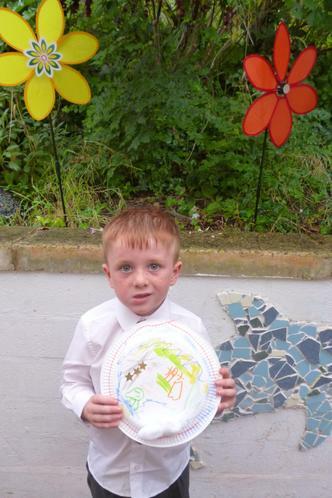 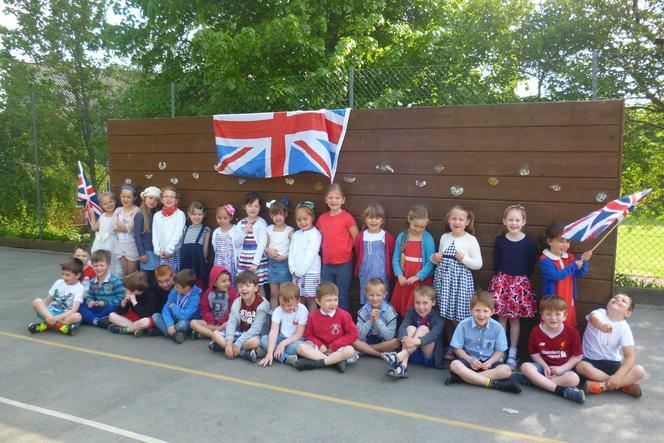 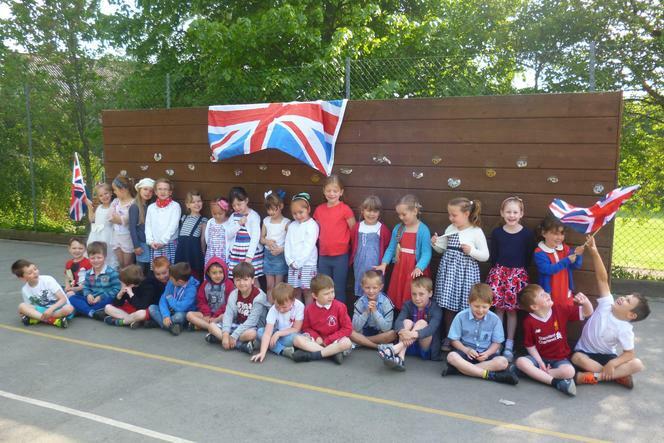 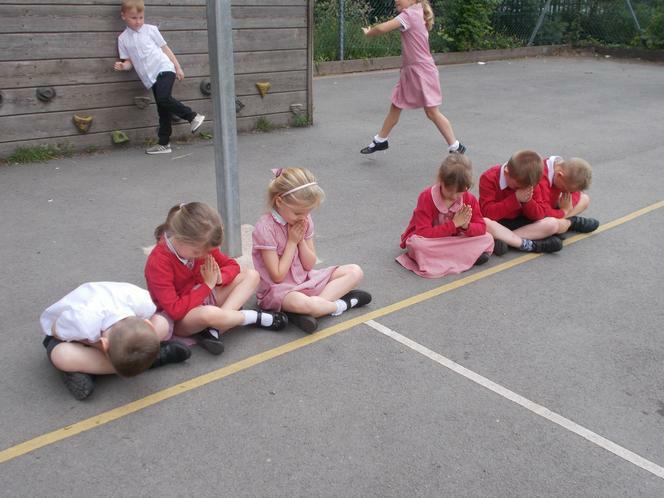 We learnt about homelessness and how our donations would help children who didn't have a safe home to live in. 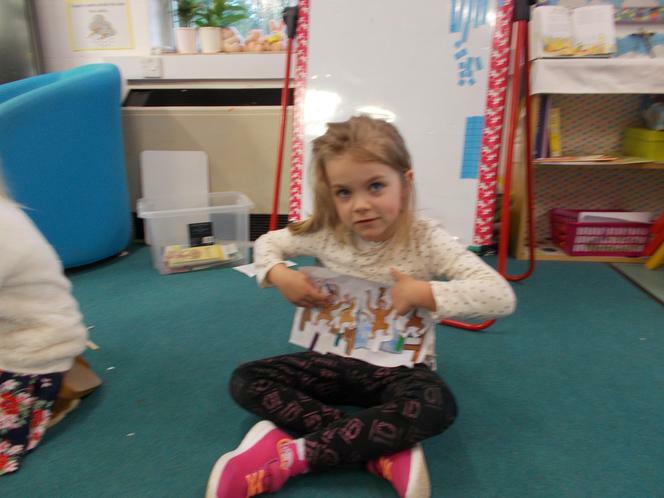 Last week we were lucky enough to have a special visitor in Year 1, Miss Gibb brought her Jack Russell Dottie in for the afternoon! 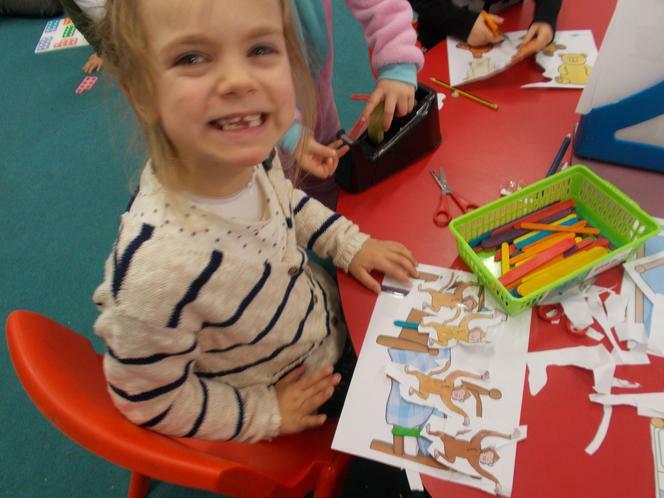 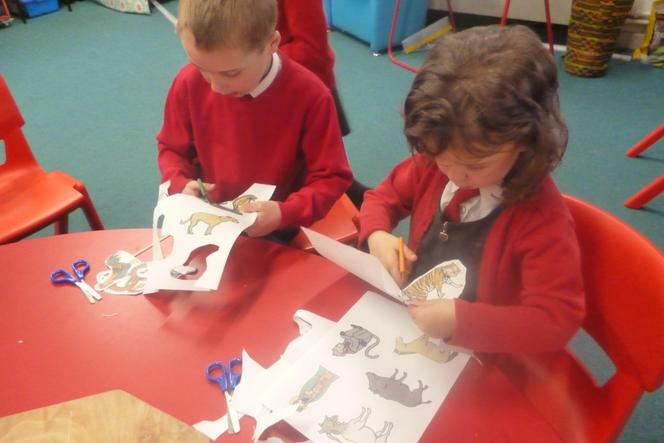 This is part of our science learning and our topic learning on pets this half term. 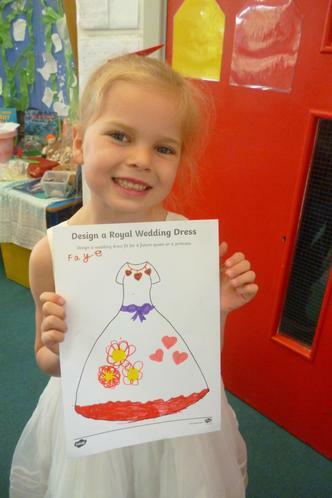 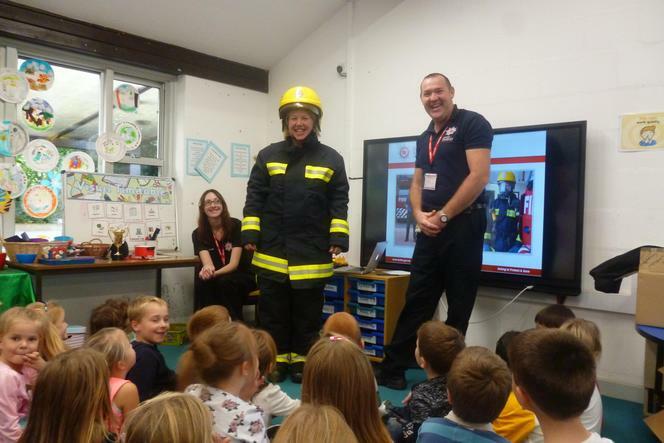 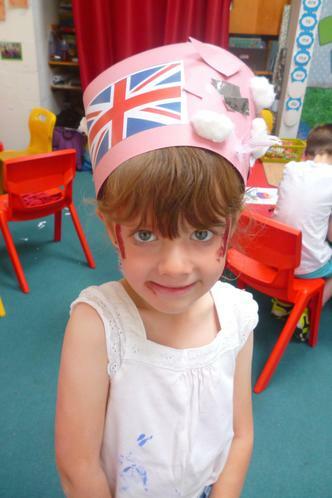 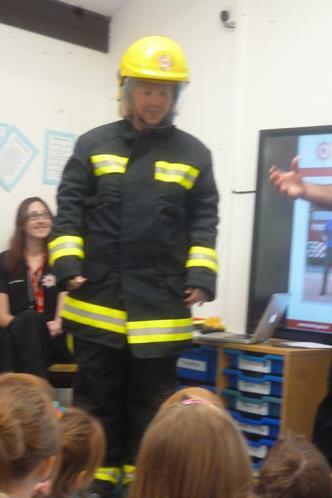 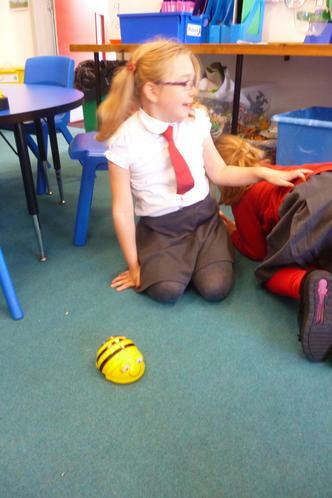 Year 1 had lots of questions for Miss Gibb about Dottie and Dottie had a lovely time too! 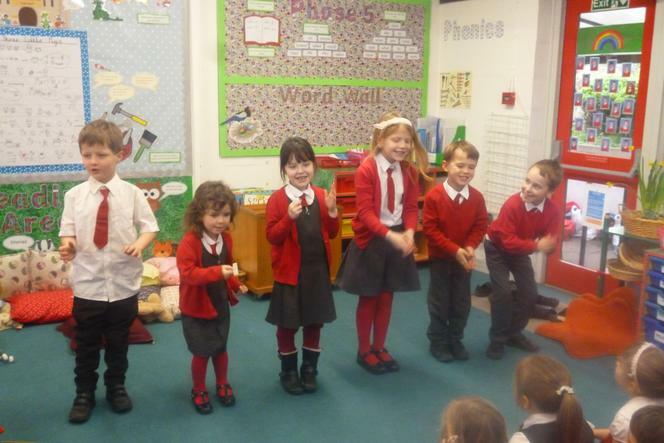 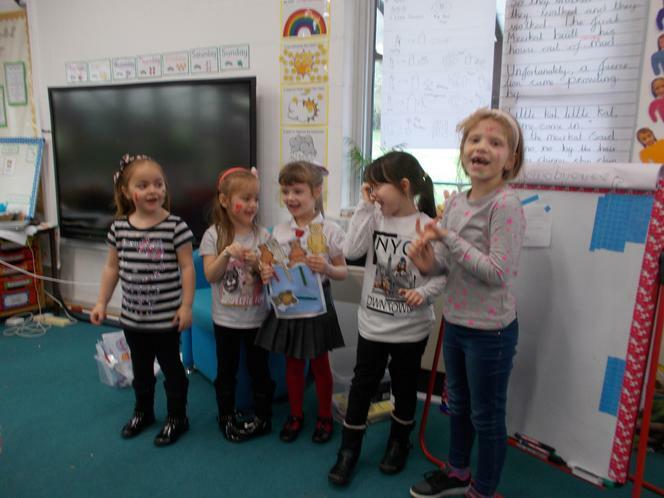 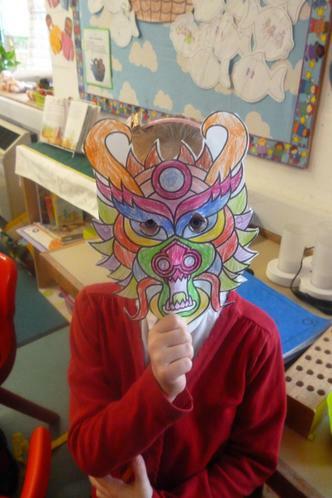 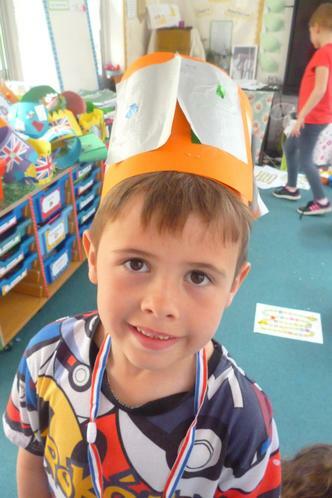 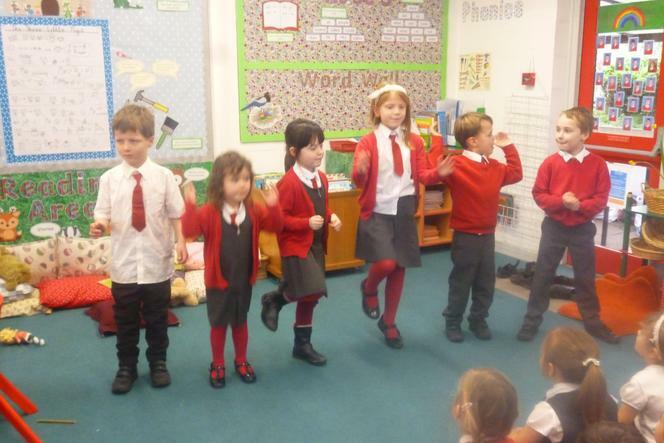 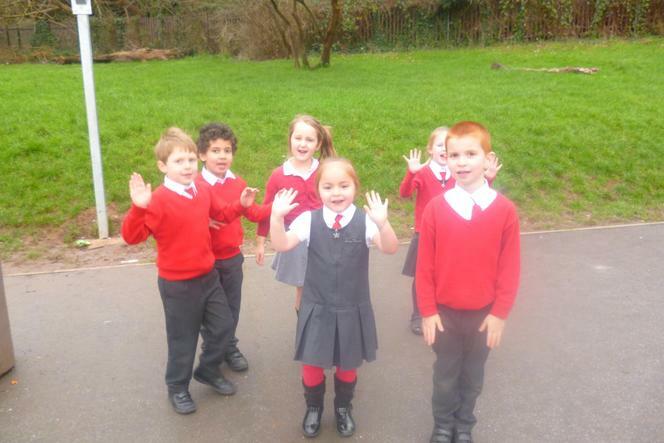 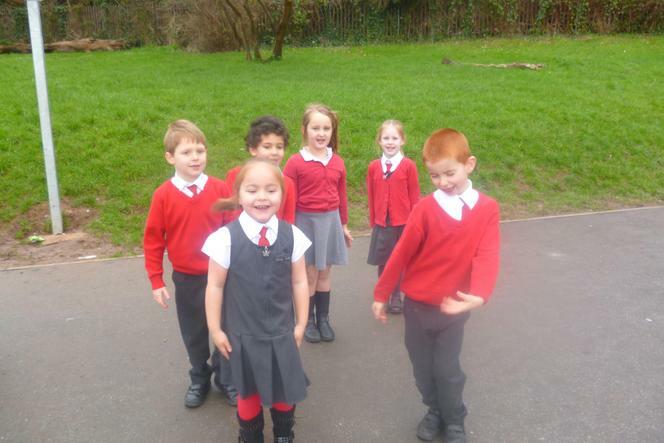 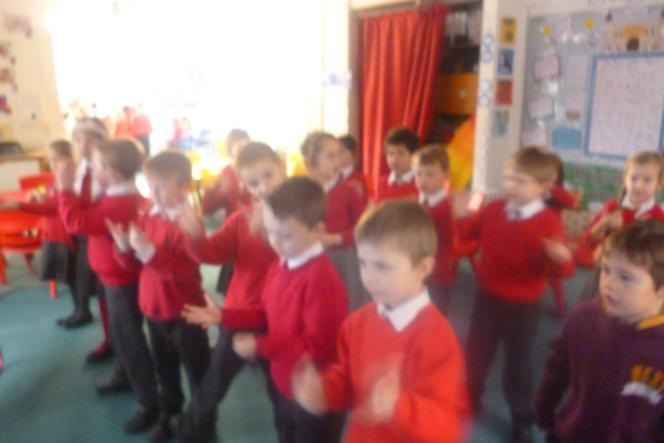 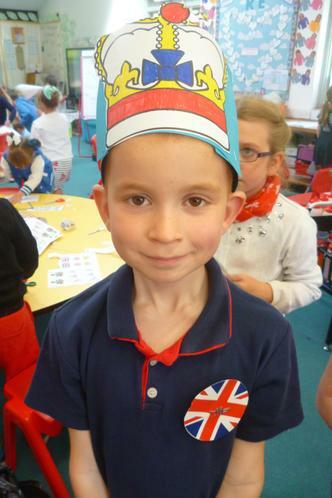 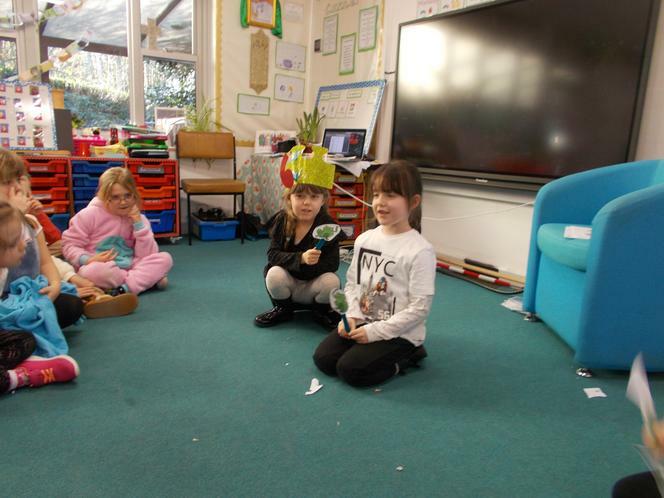 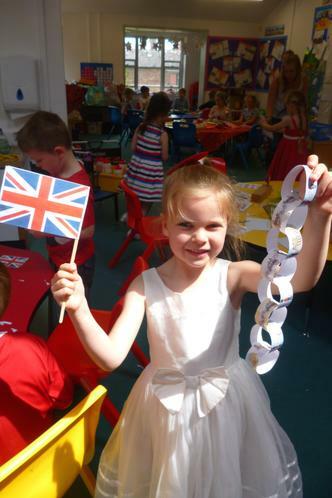 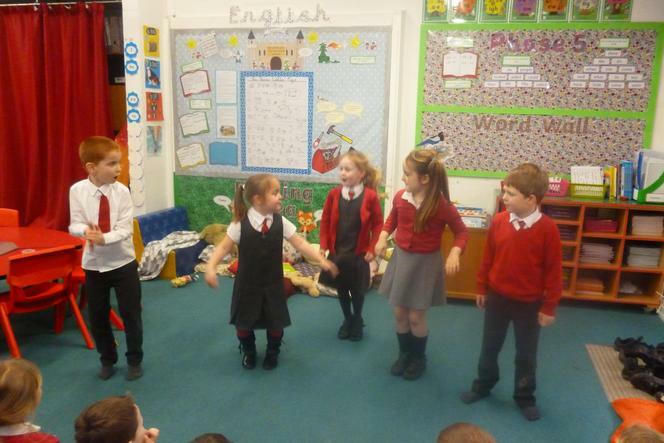 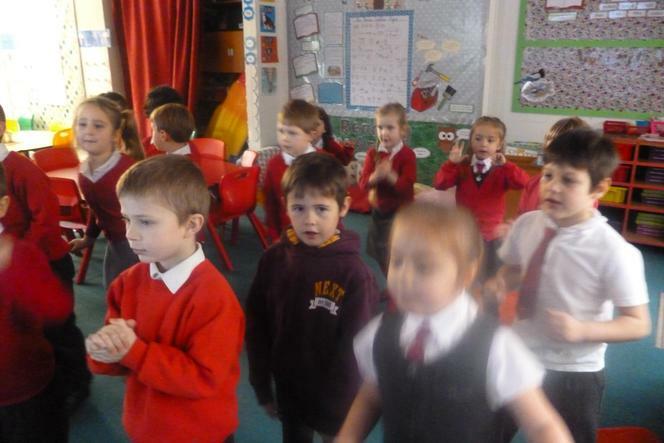 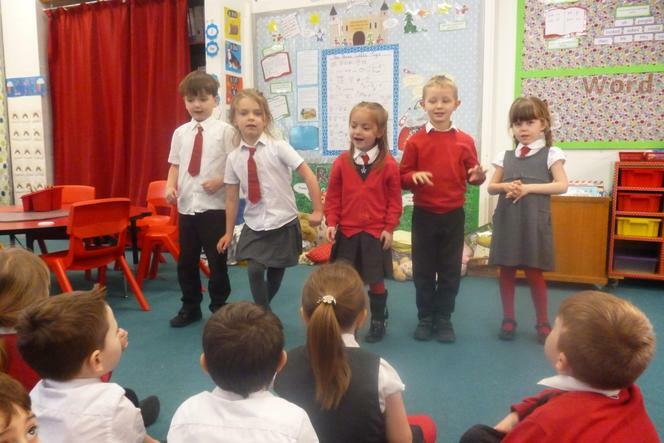 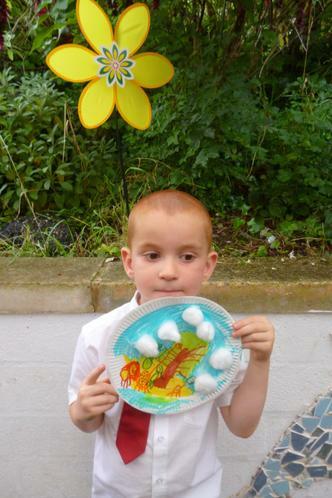 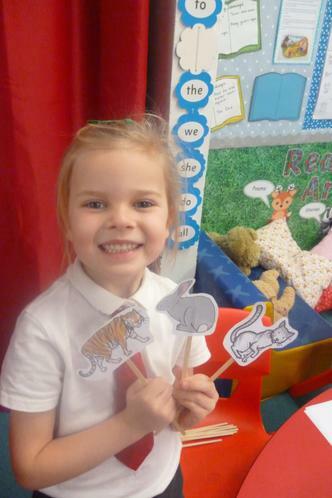 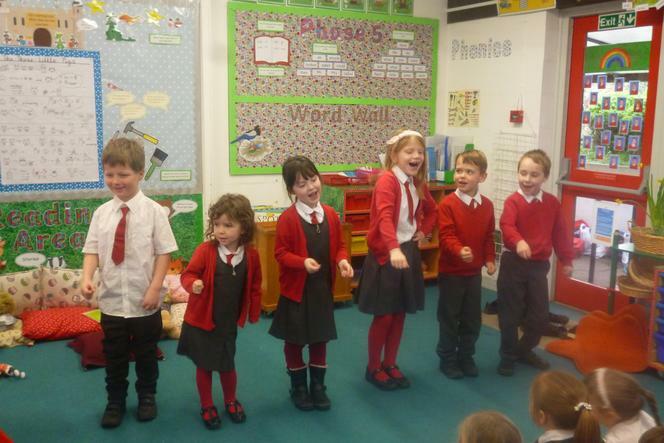 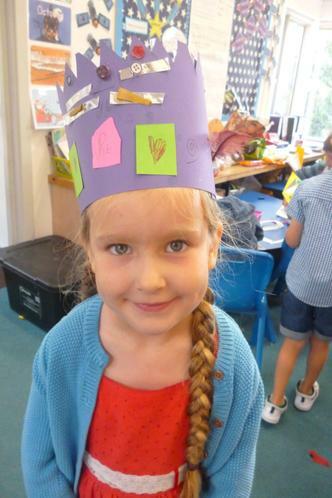 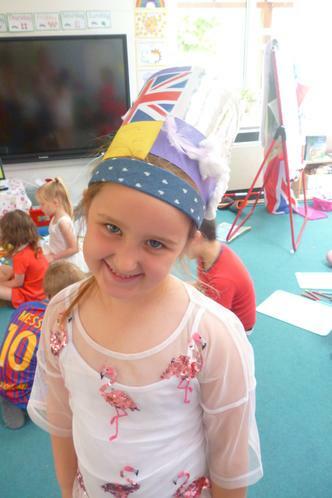 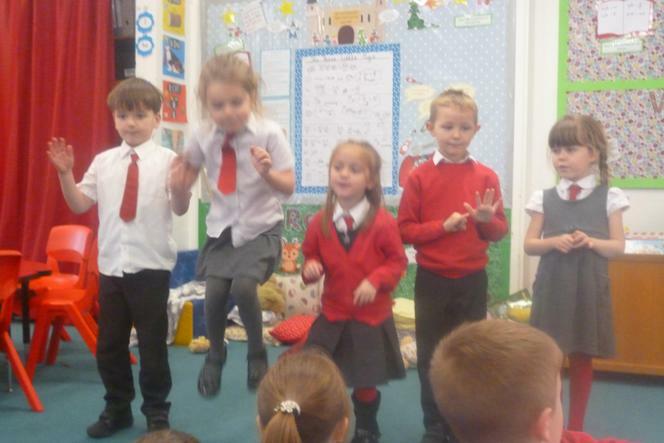 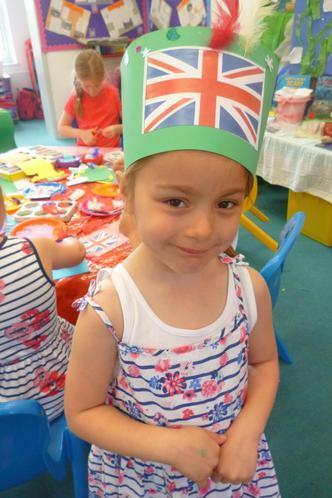 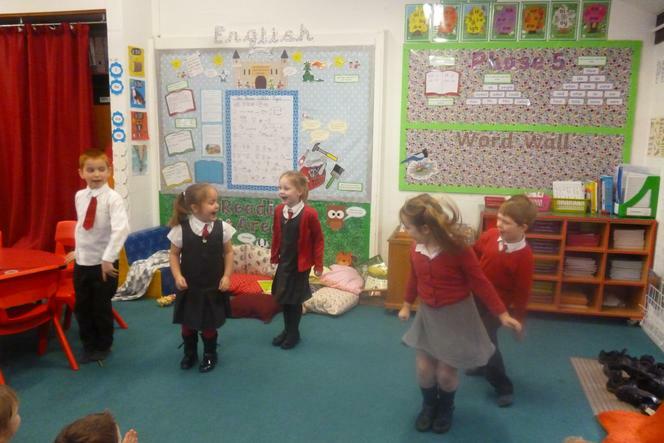 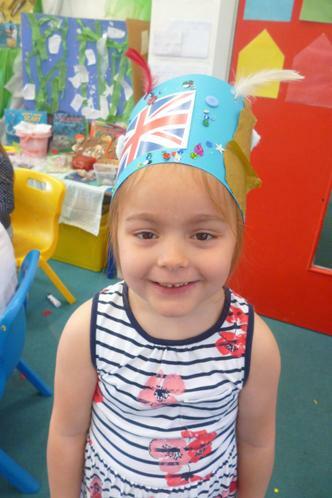 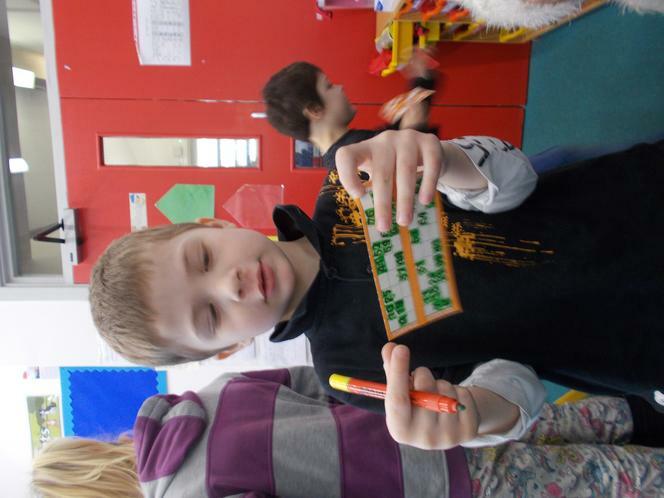 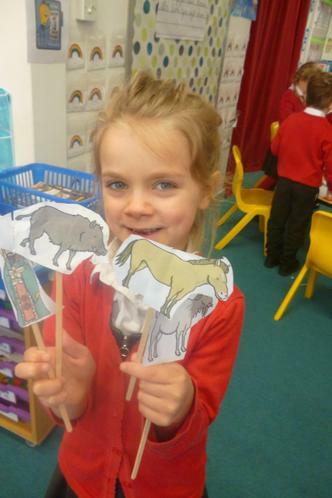 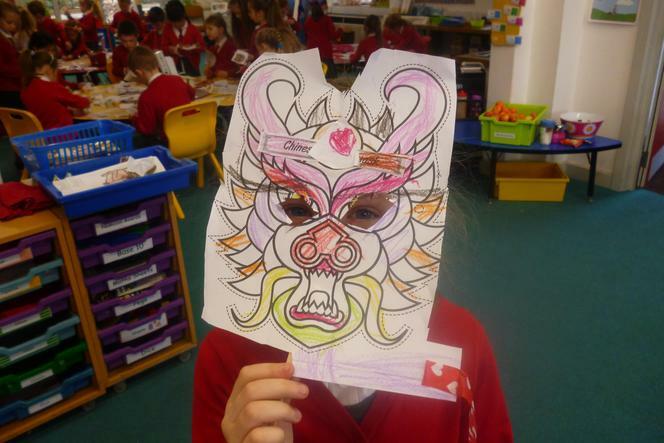 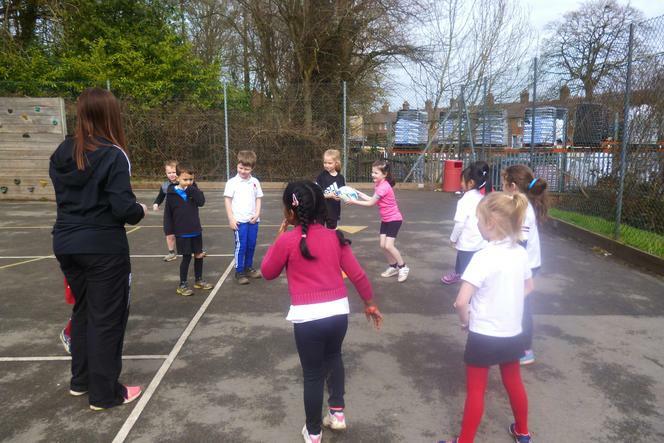 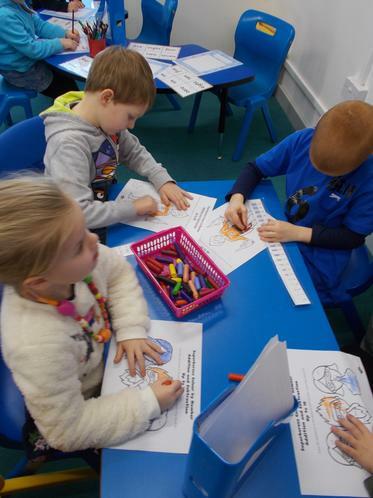 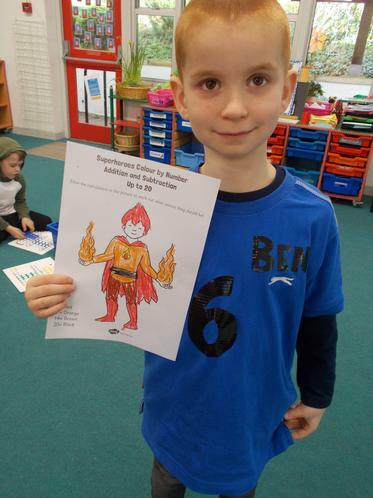 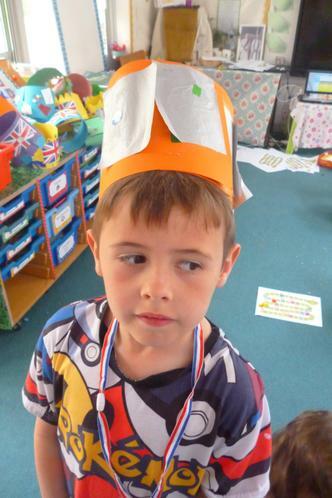 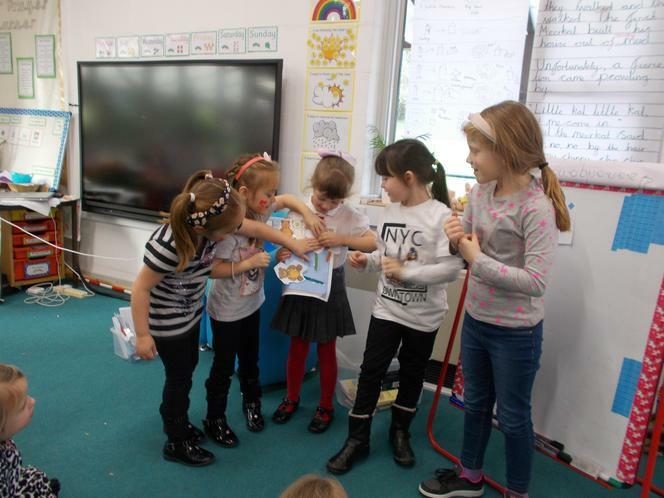 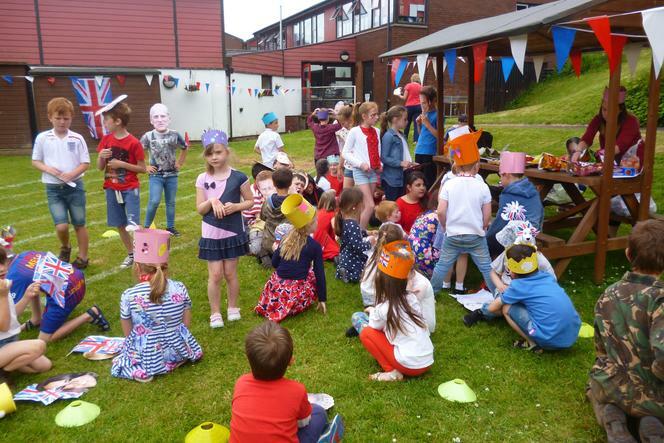 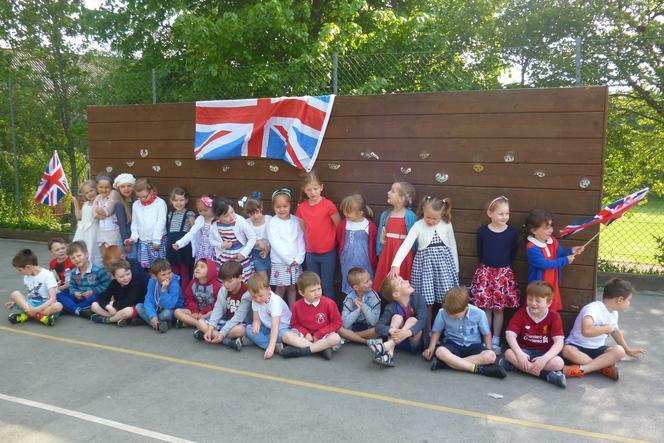 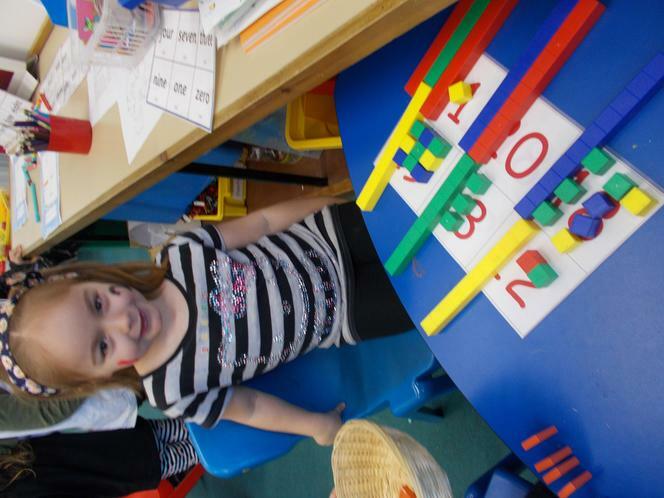 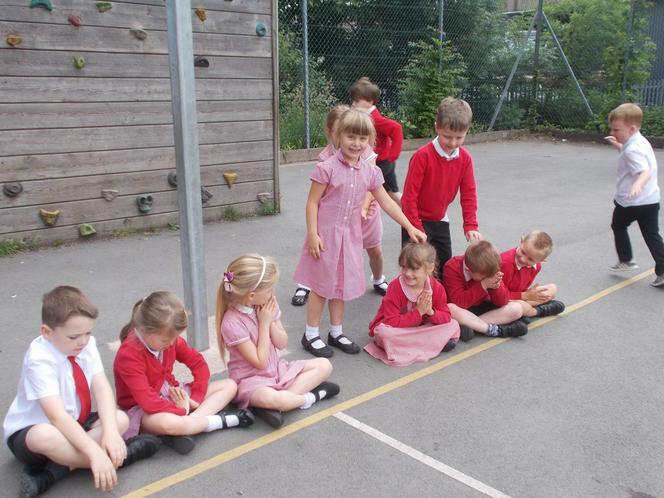 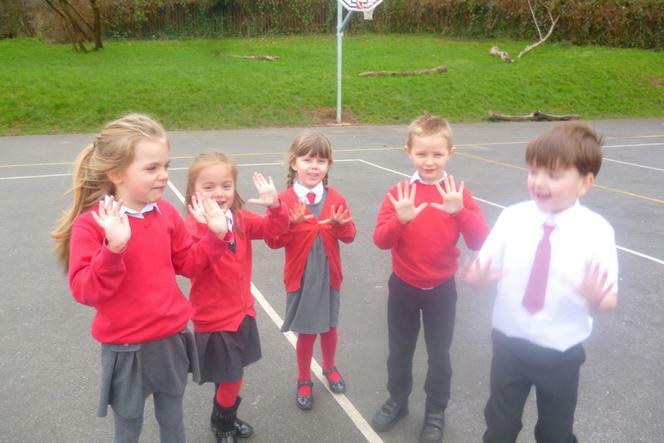 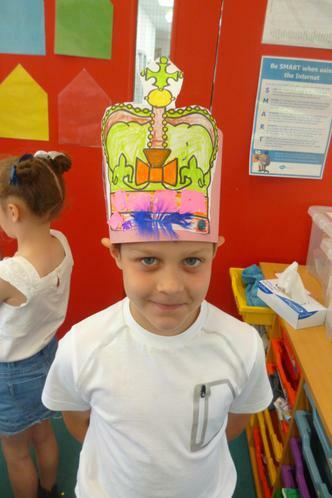 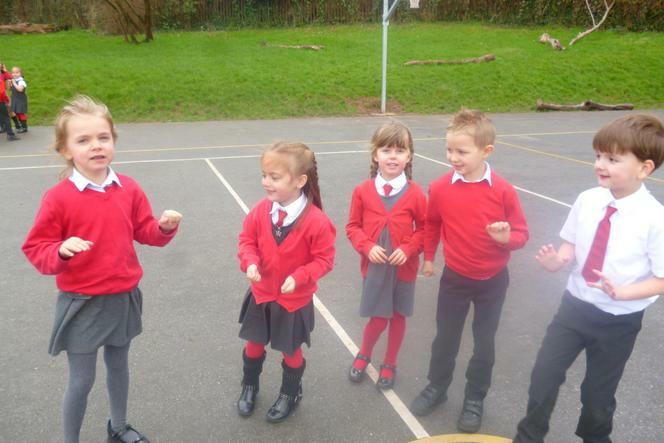 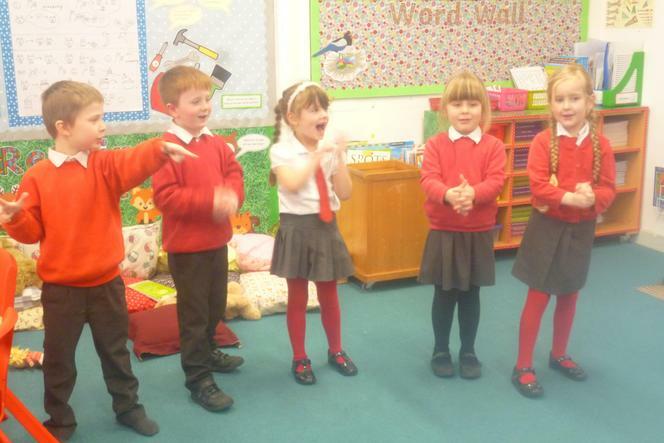 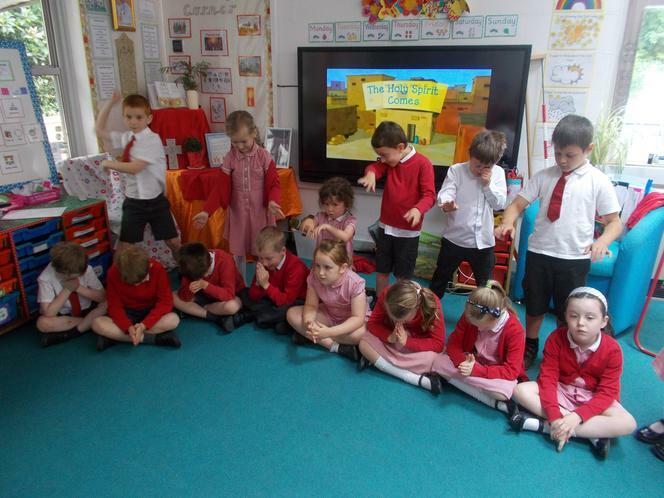 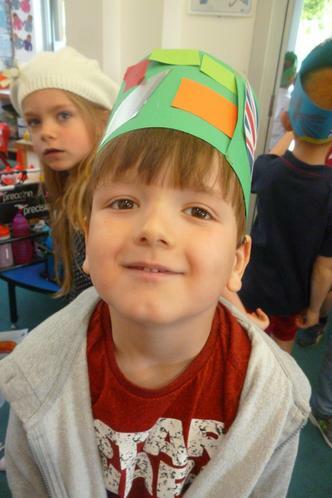 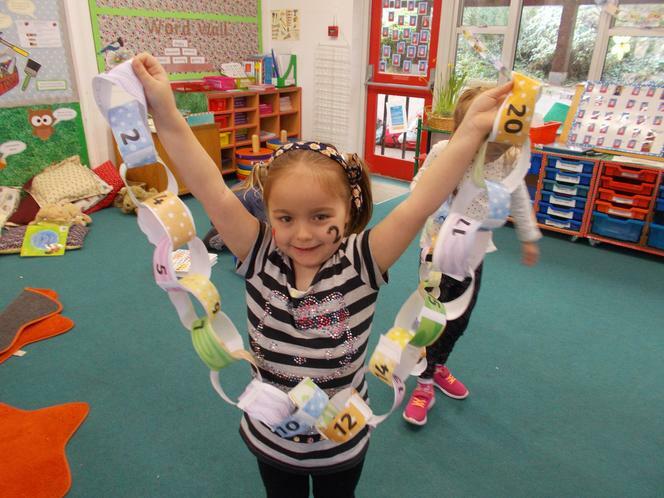 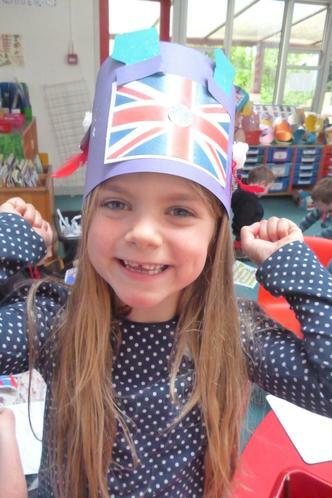 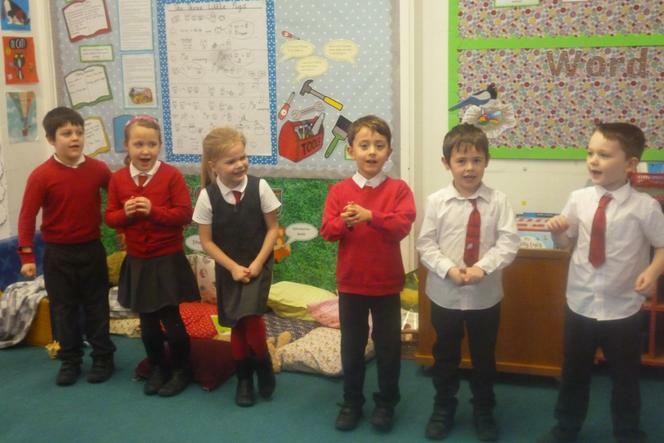 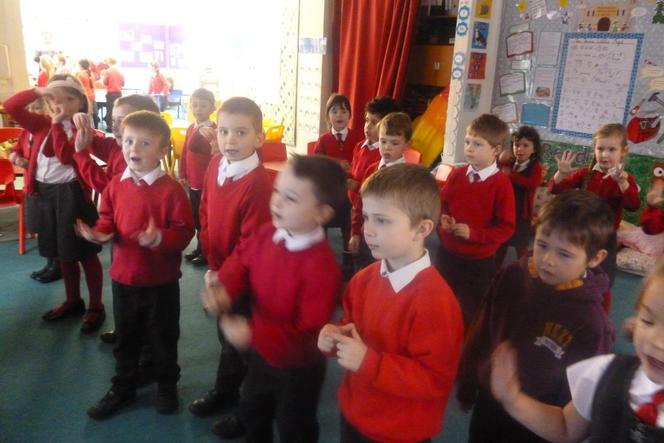 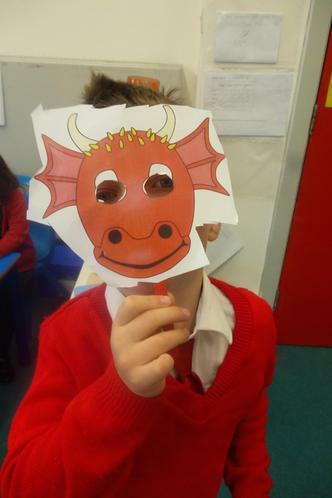 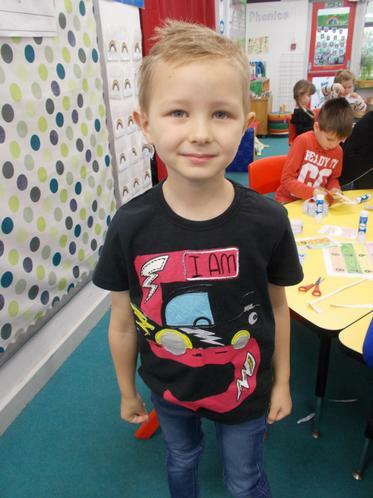 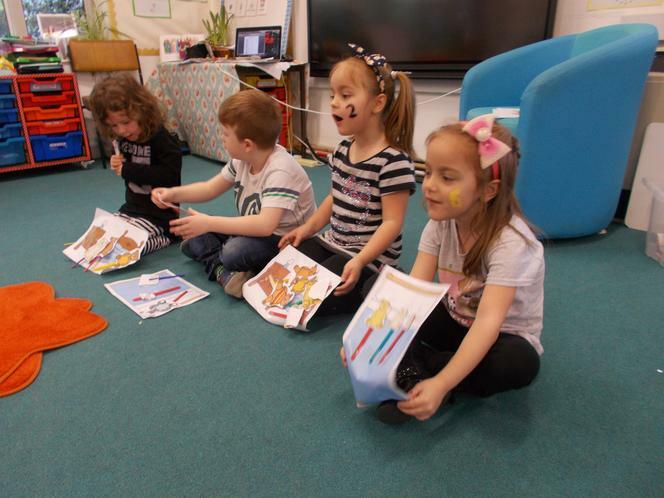 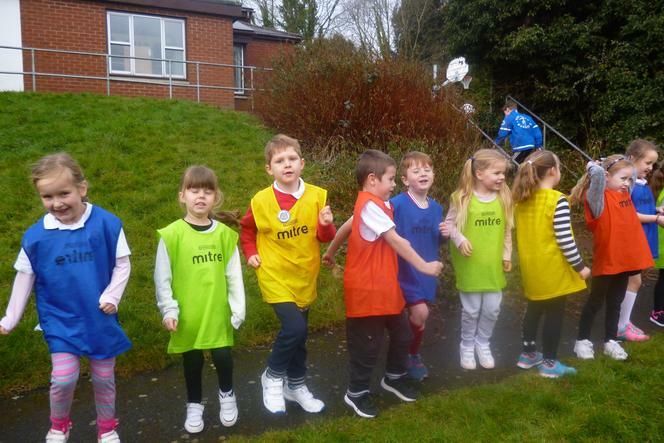 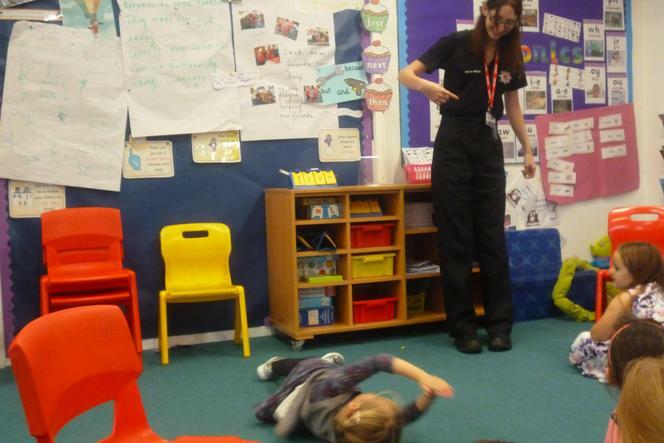 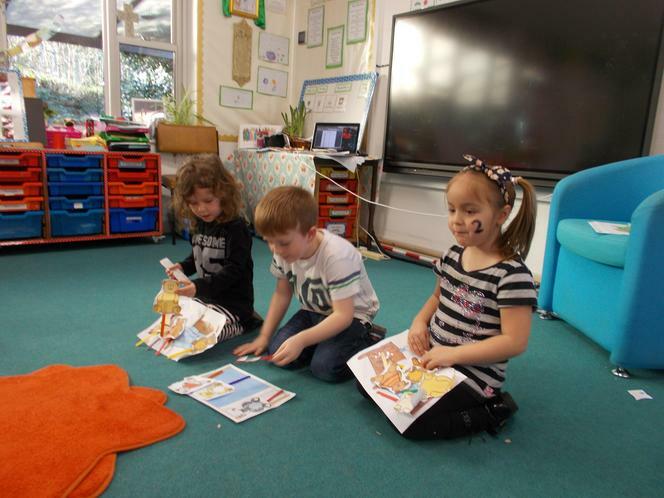 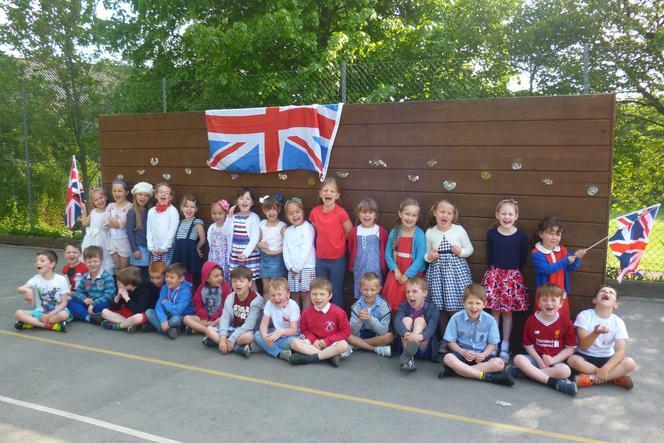 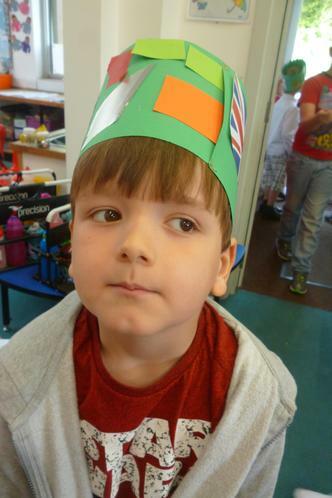 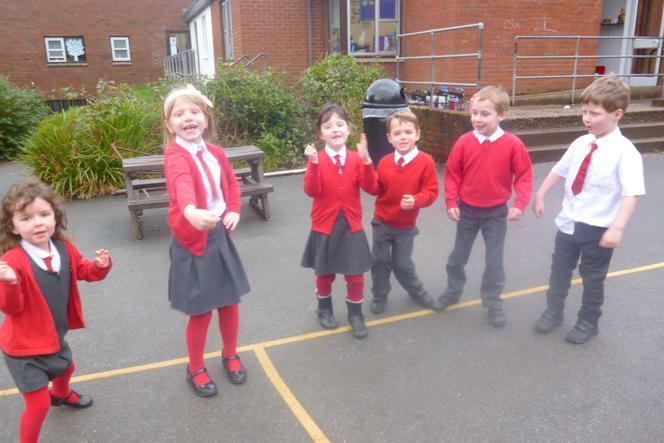 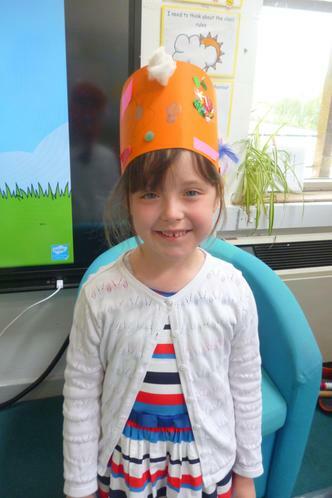 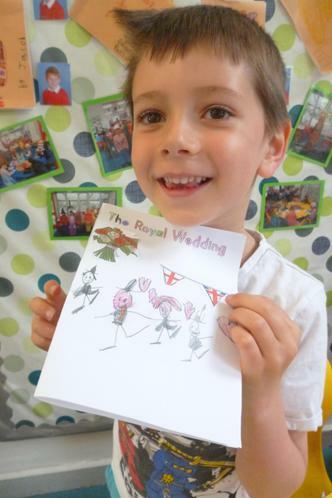 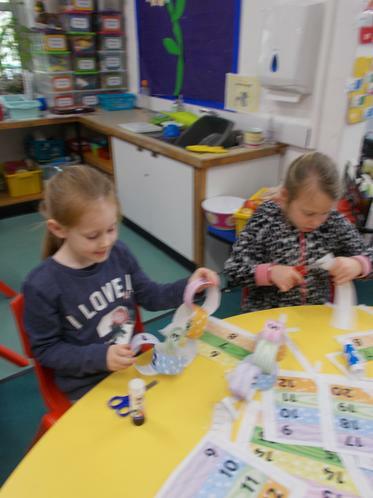 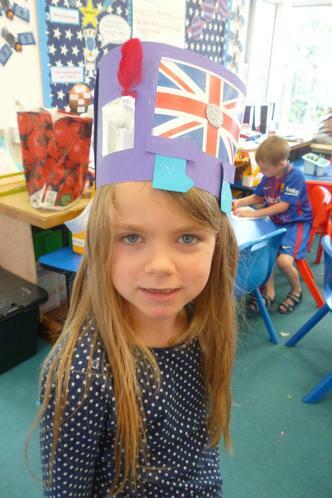 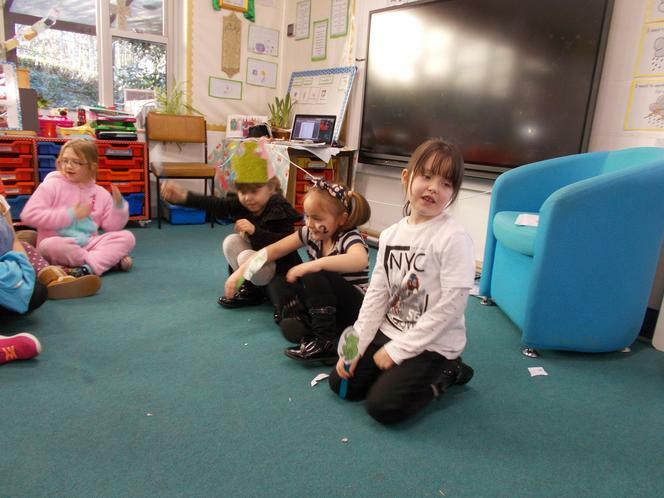 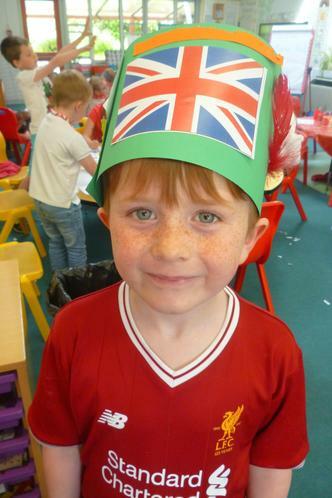 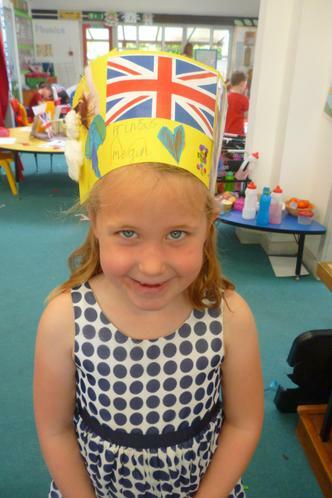 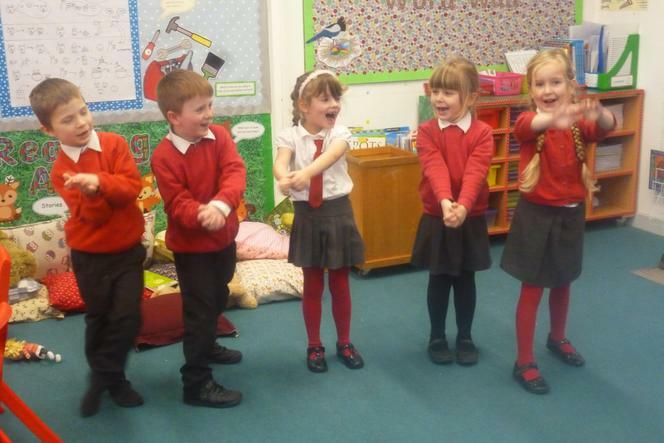 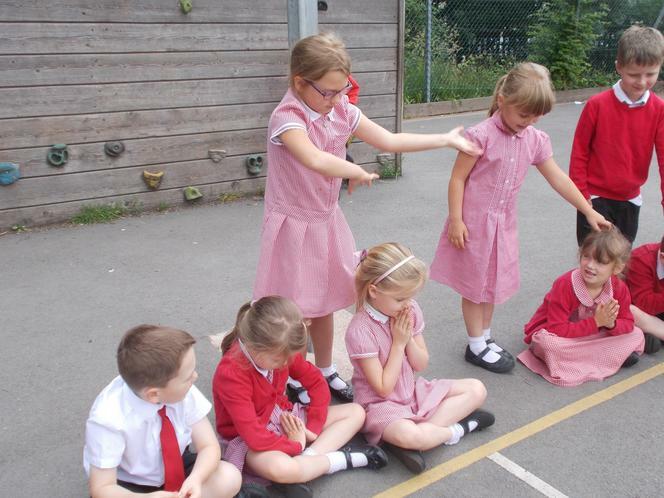 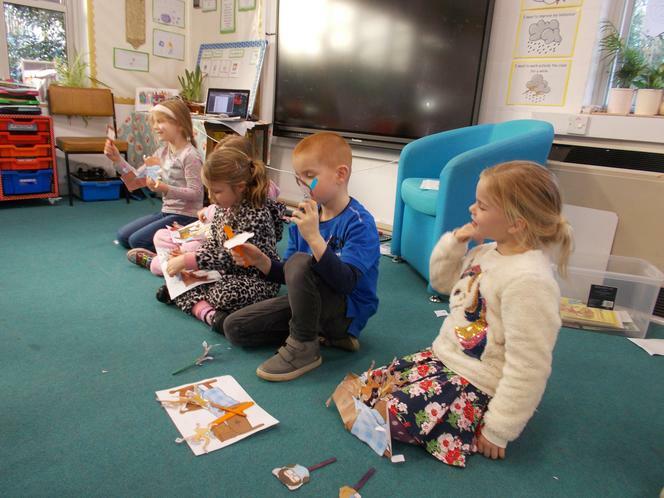 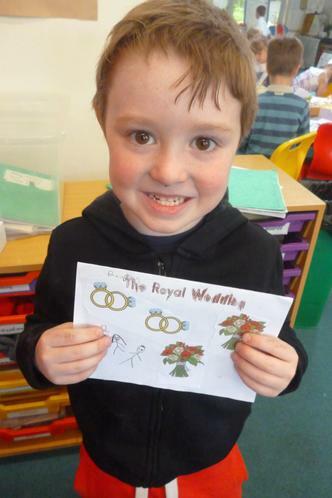 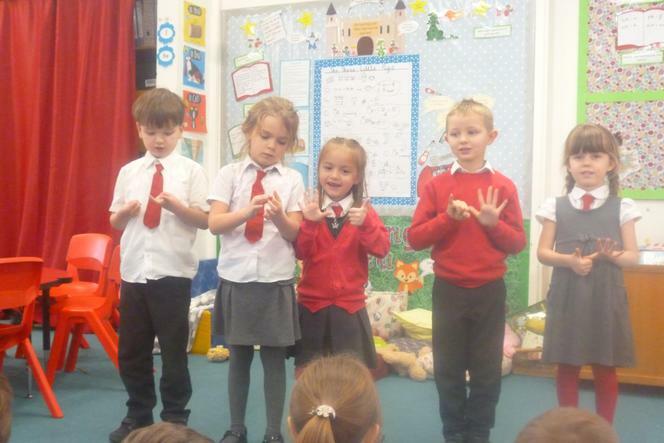 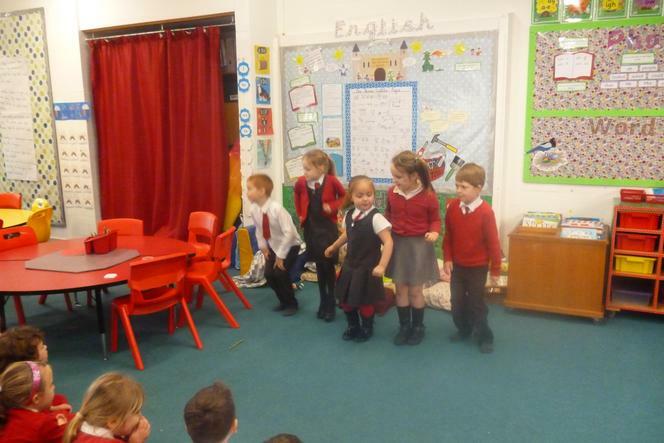 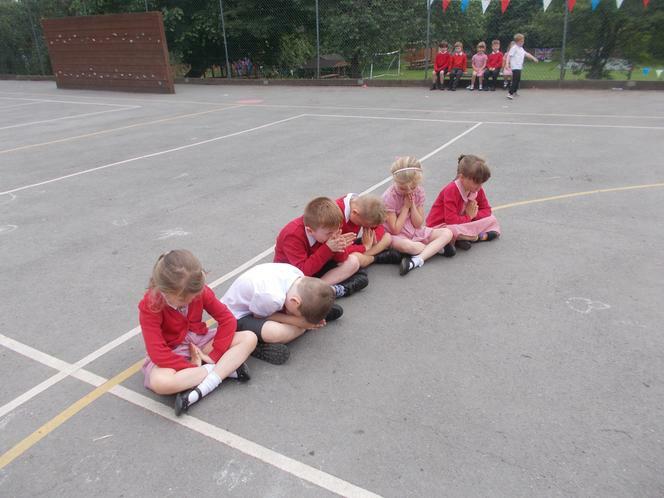 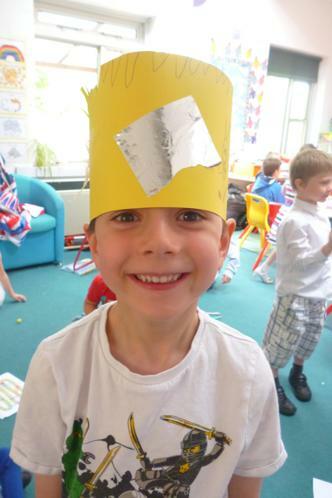 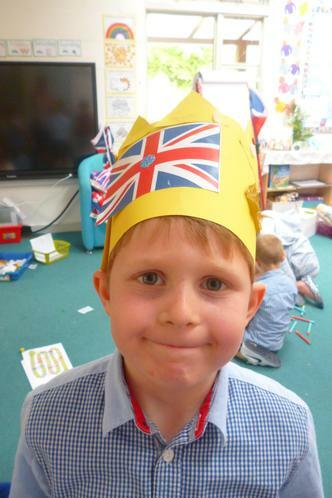 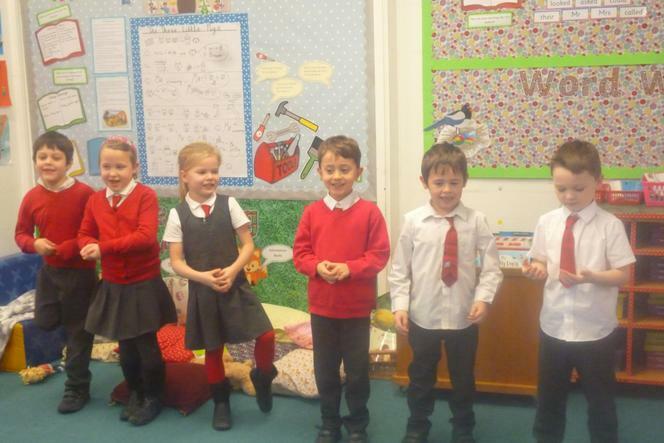 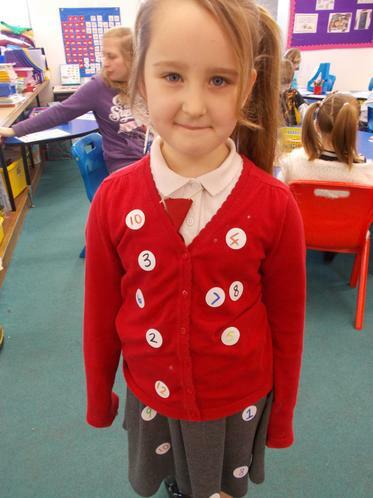 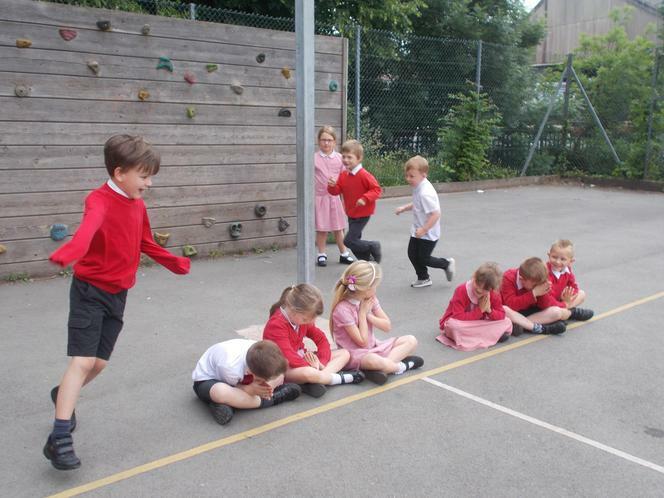 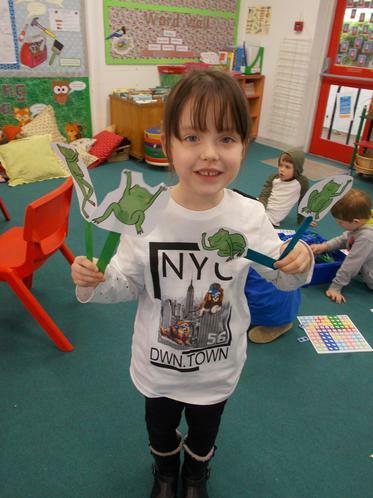 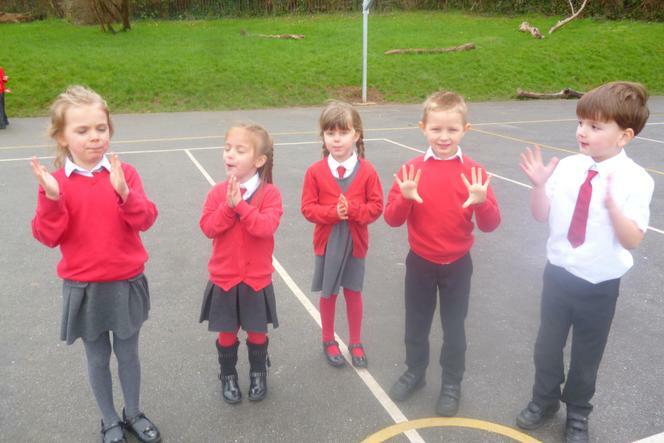 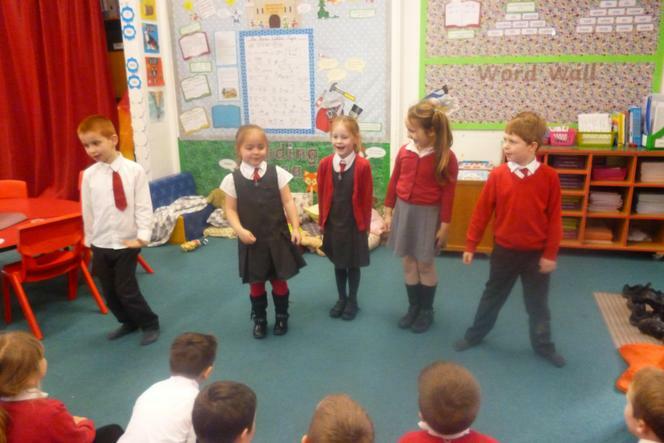 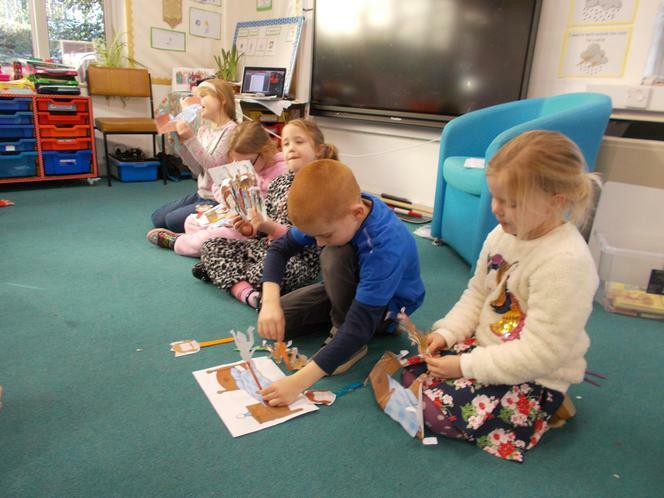 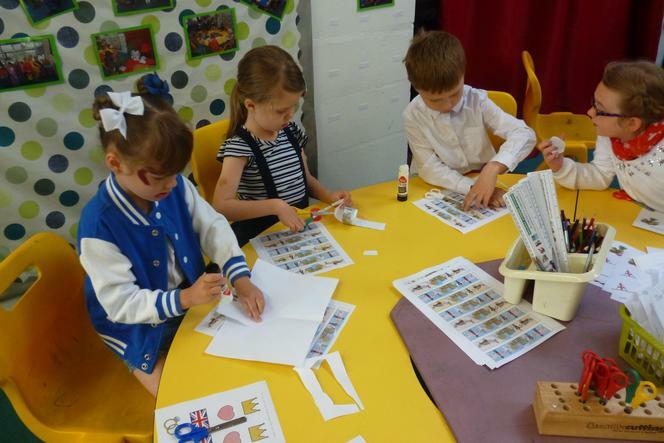 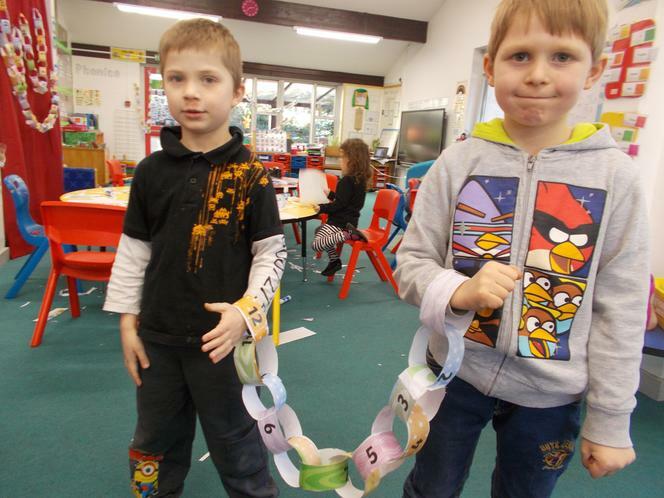 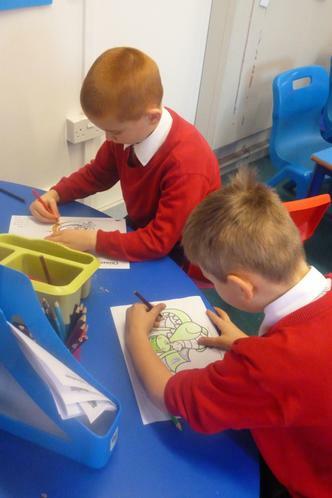 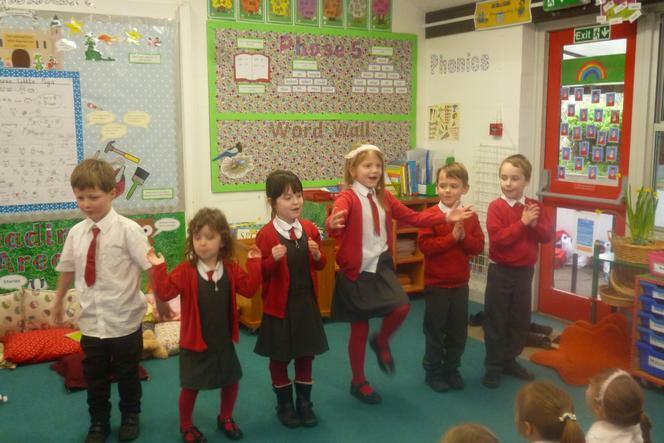 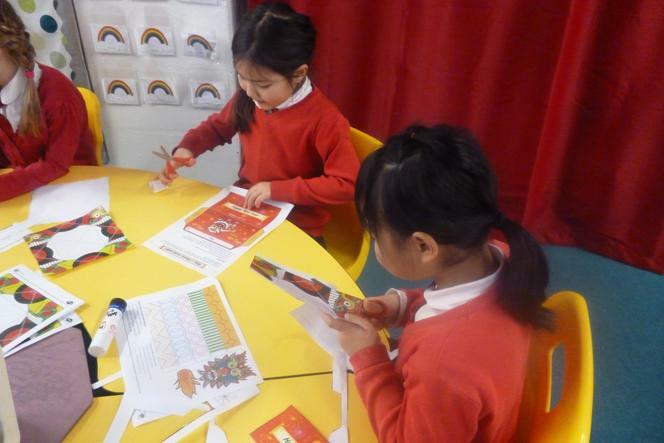 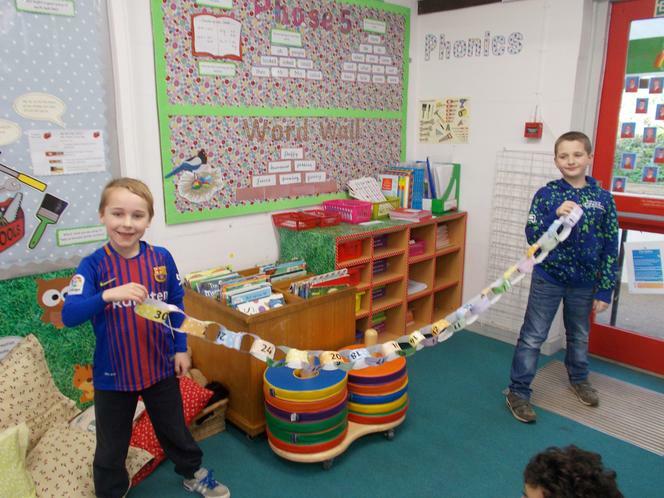 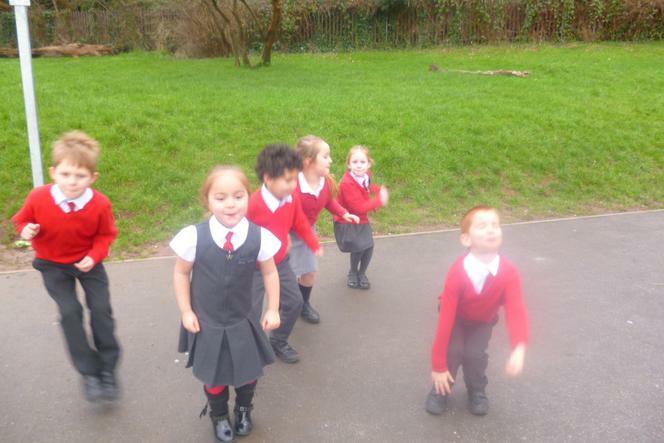 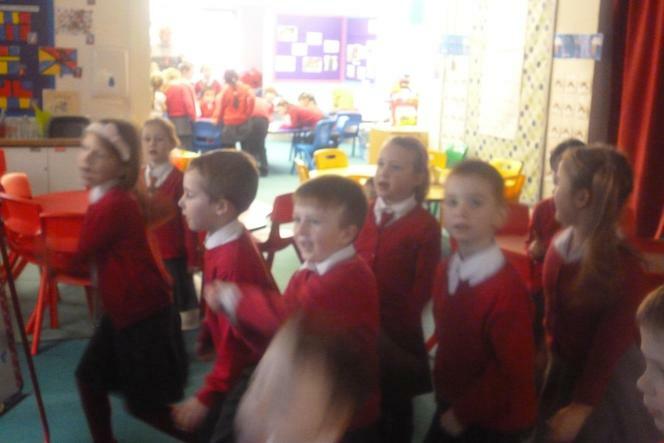 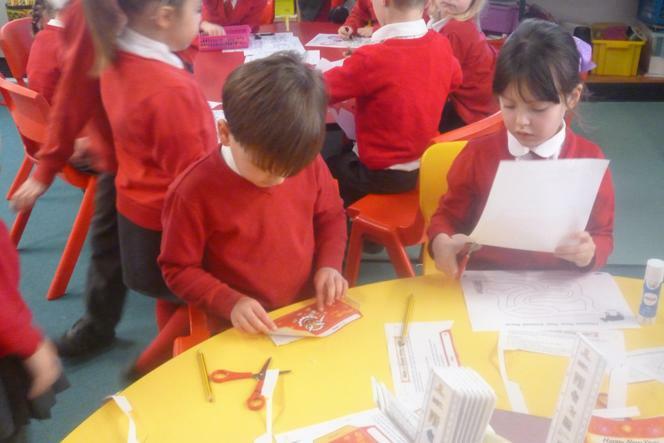 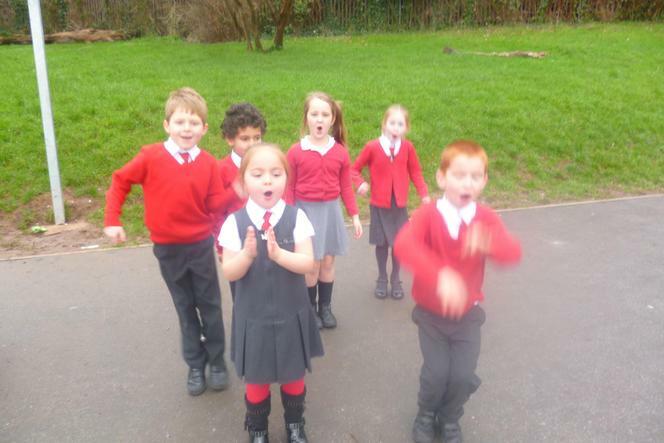 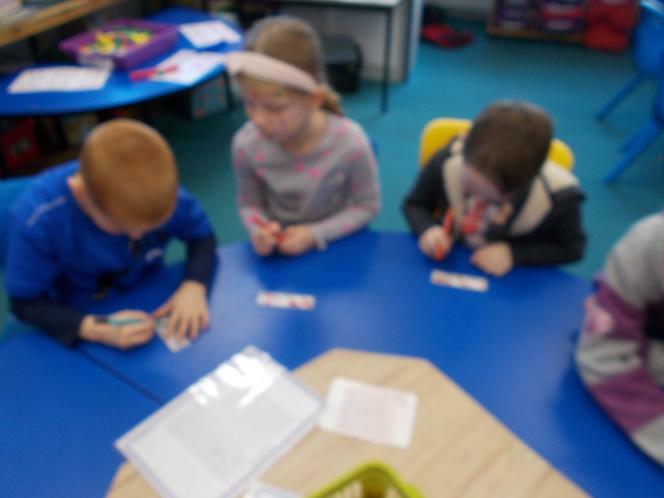 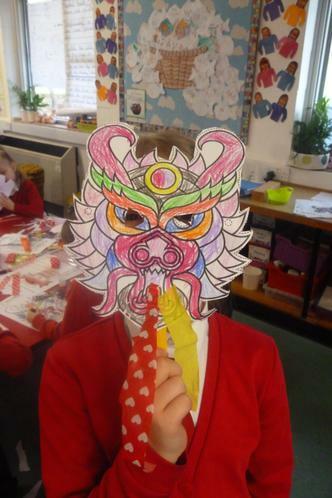 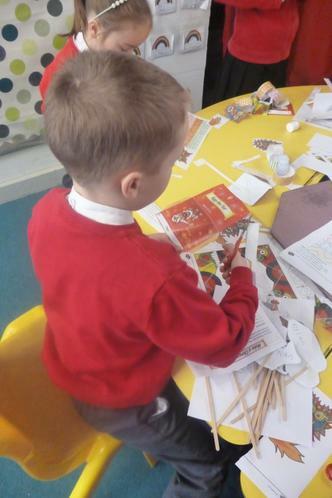 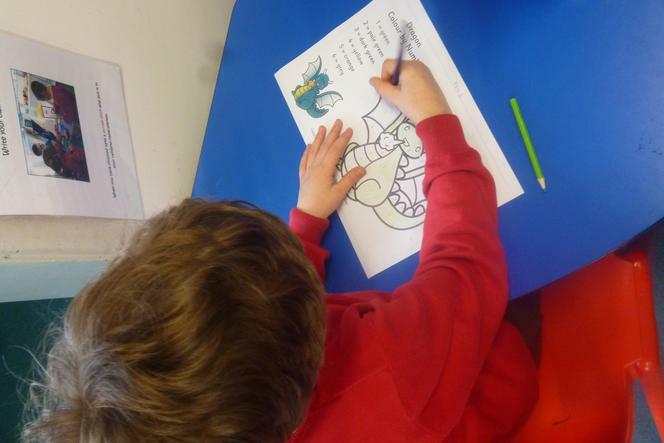 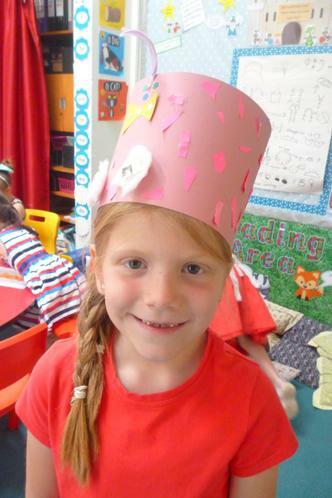 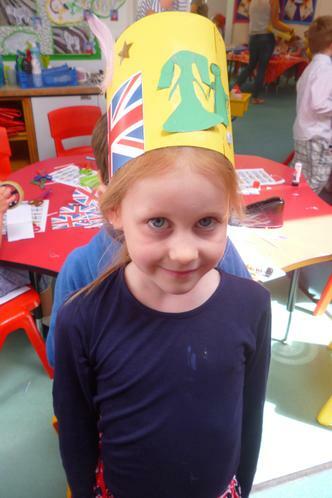 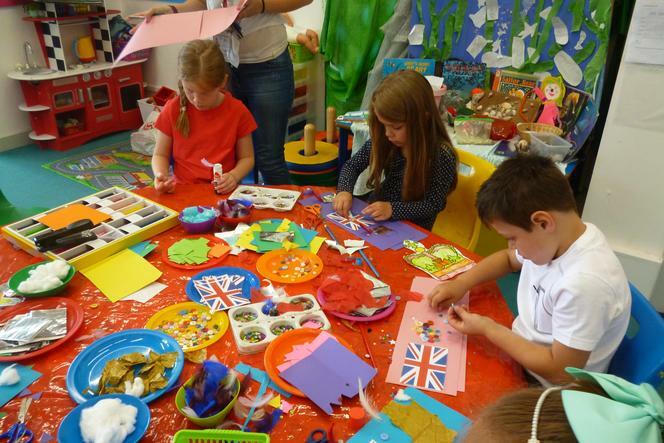 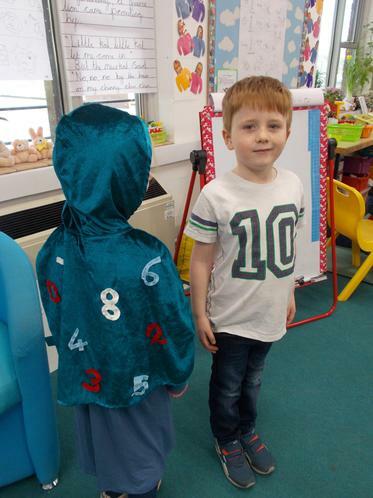 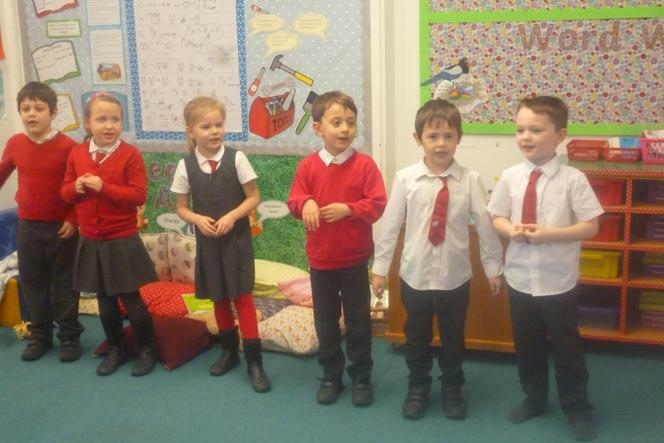 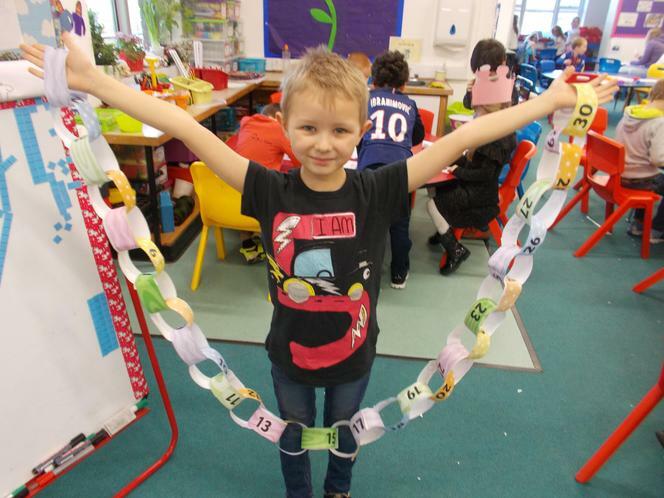 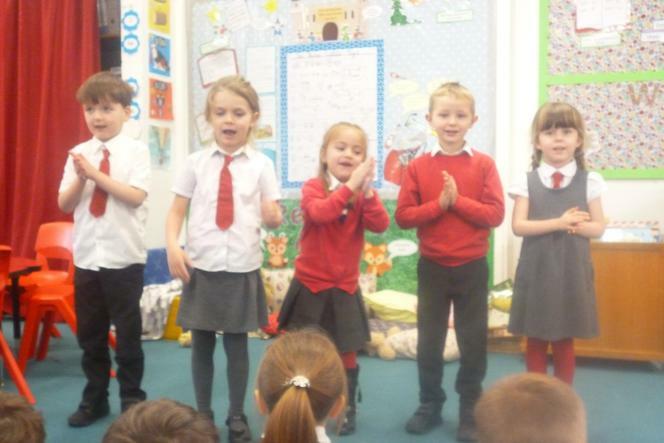 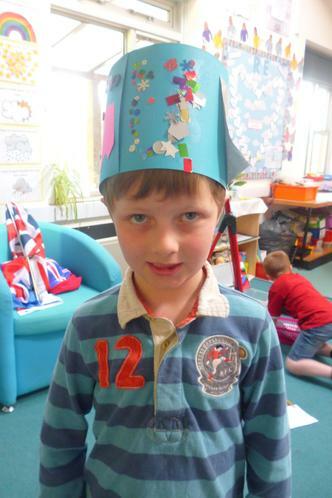 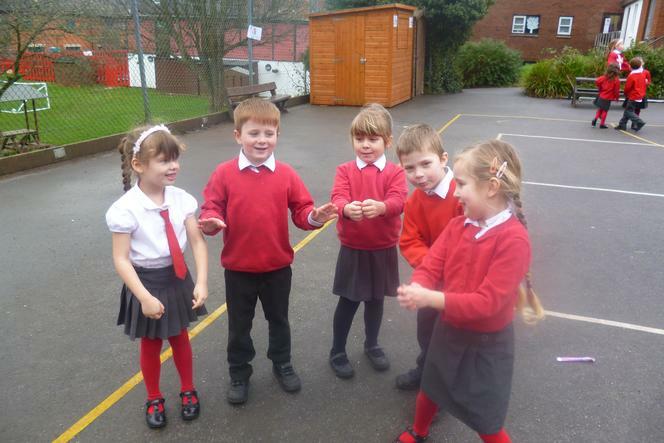 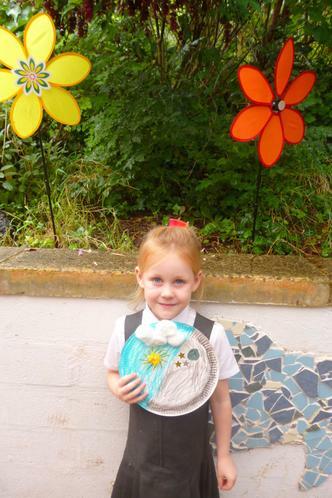 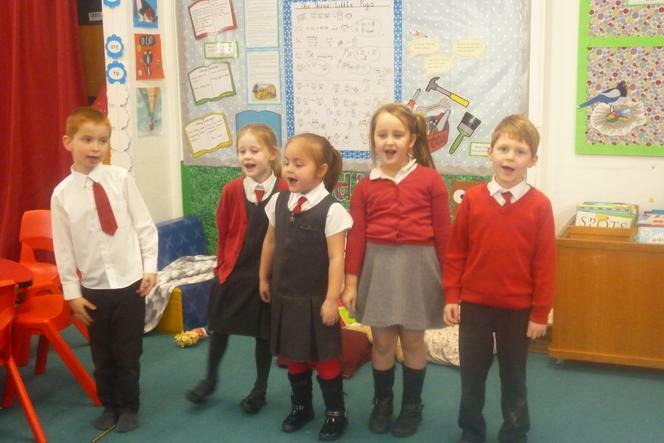 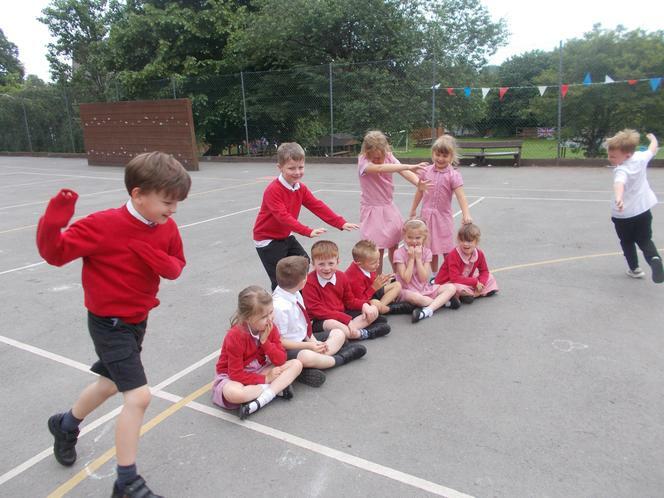 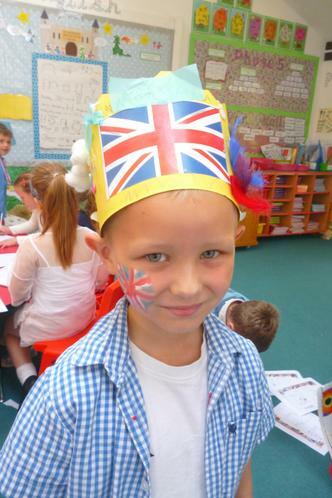 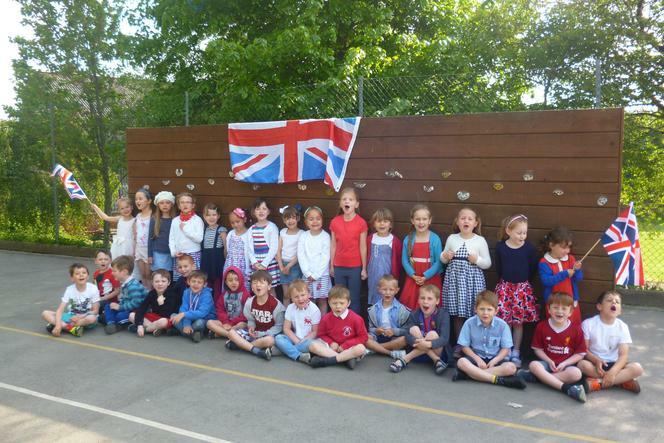 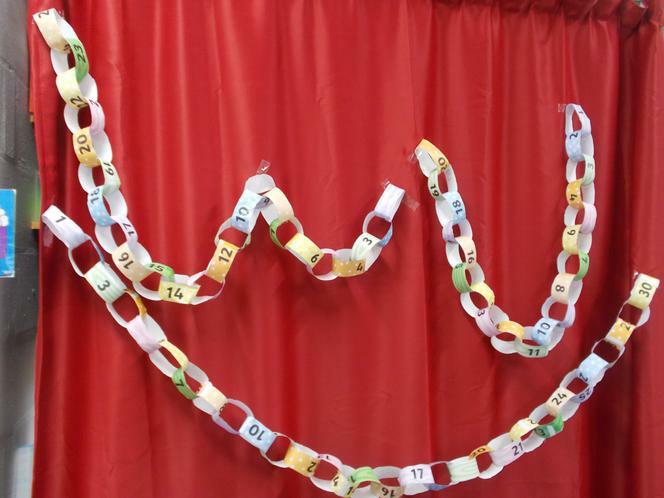 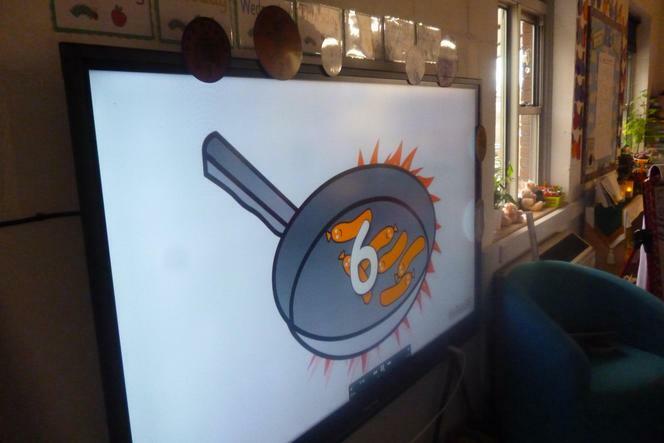 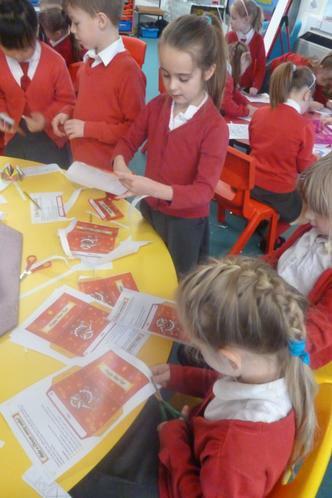 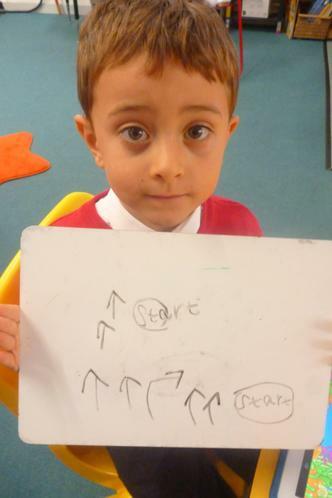 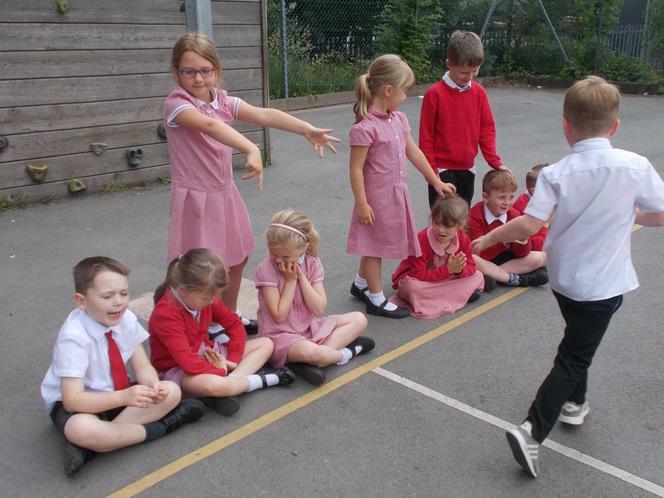 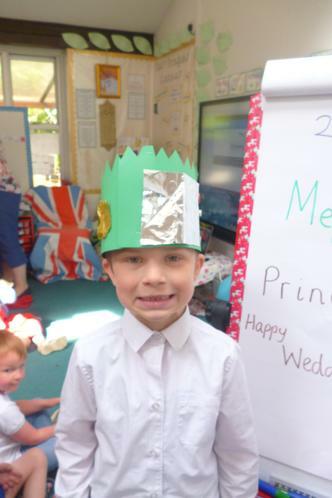 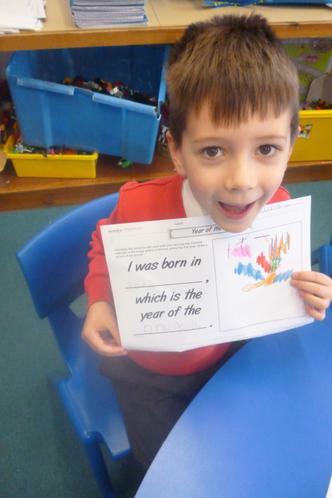 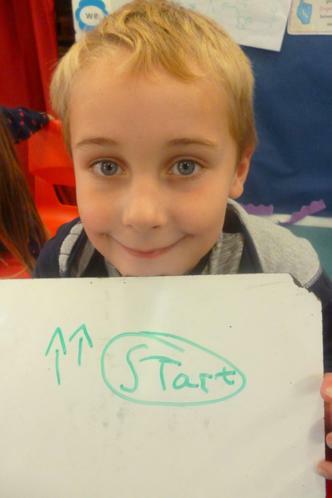 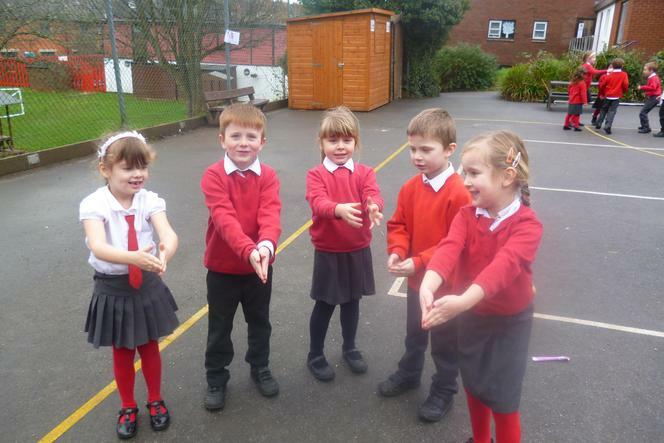 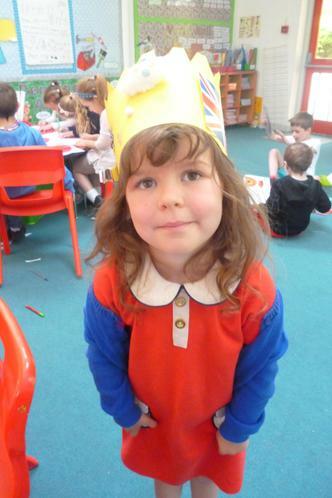 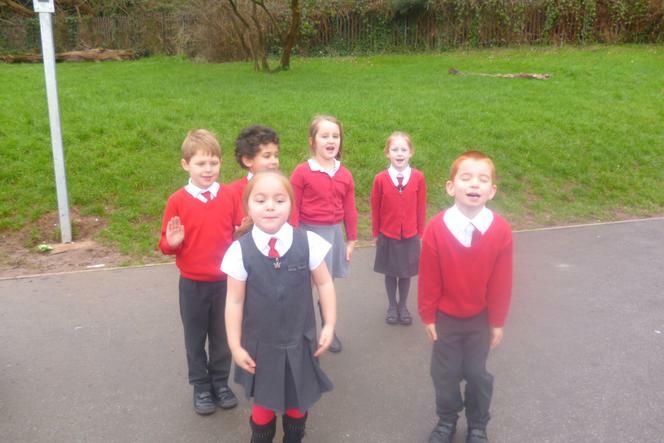 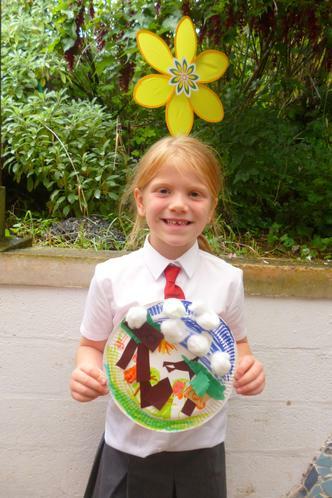 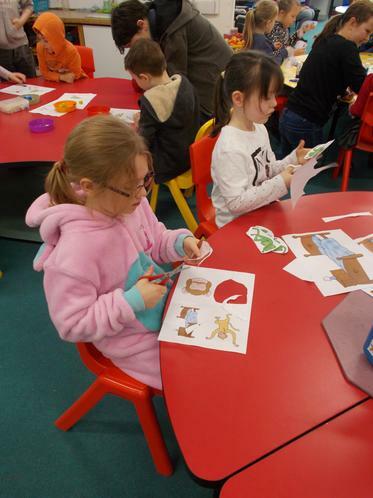 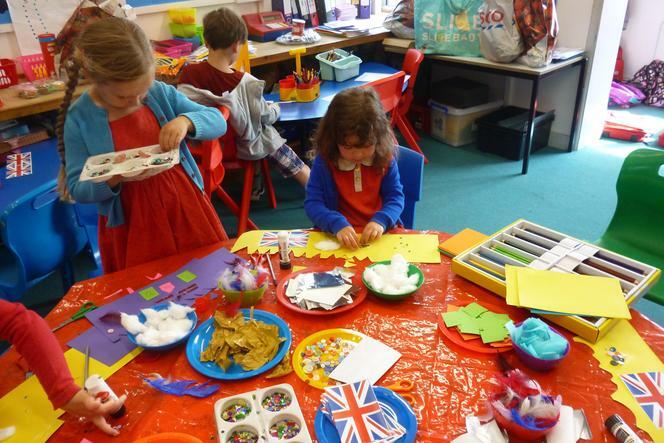 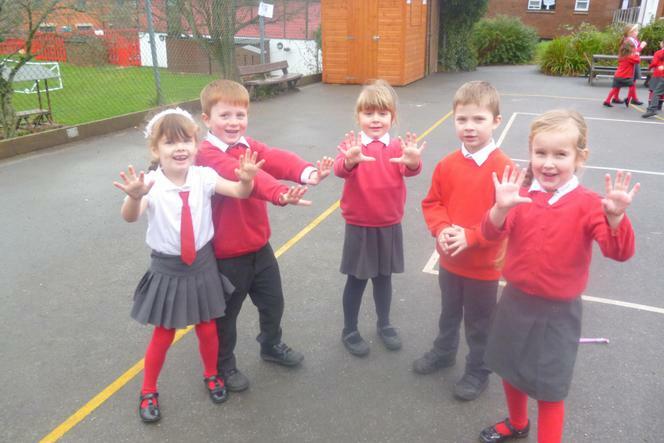 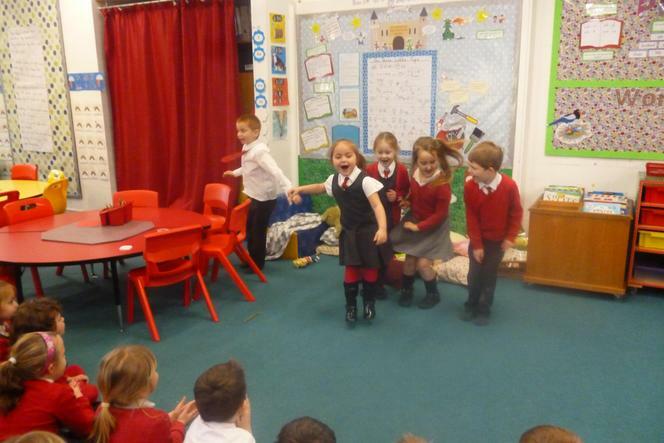 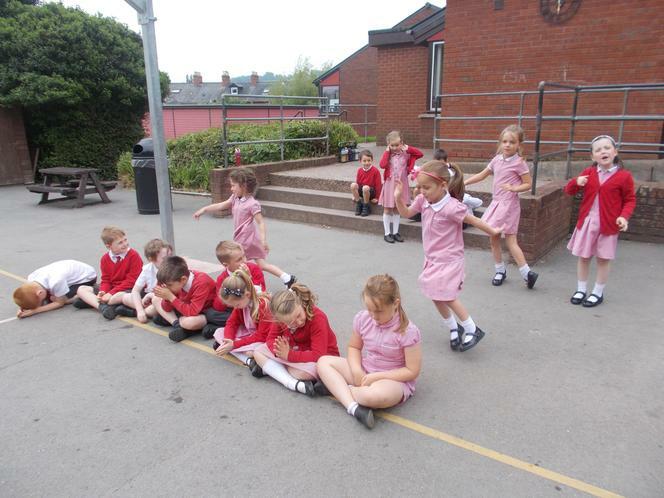 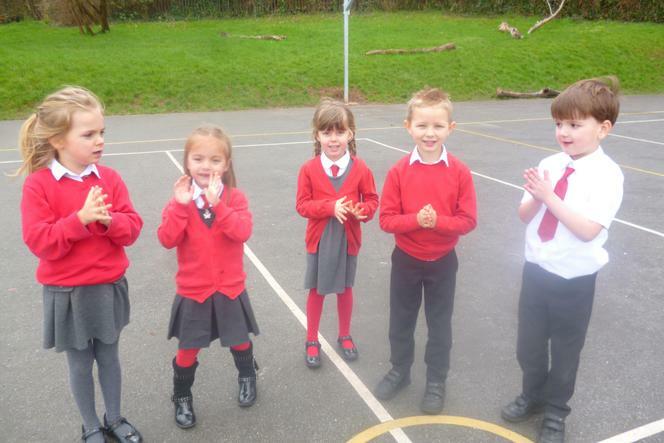 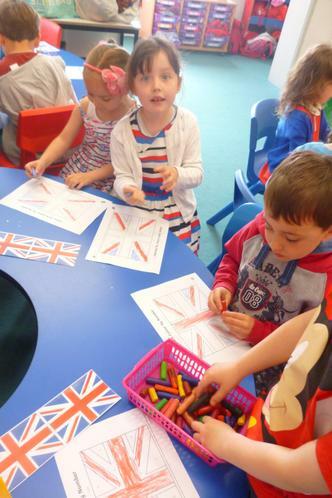 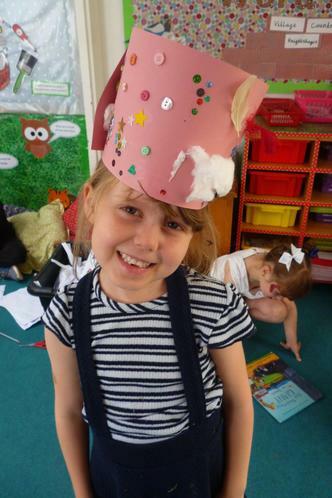 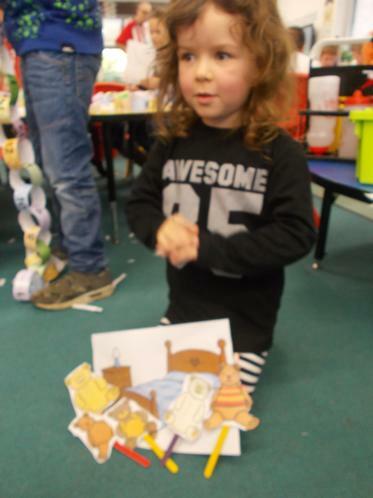 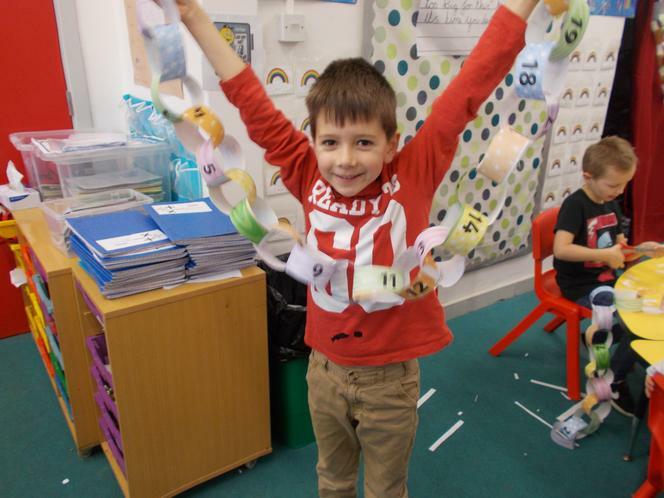 Year 1 have enjoyed creating their own actions for rhymes and then performing their rhyme to the class. 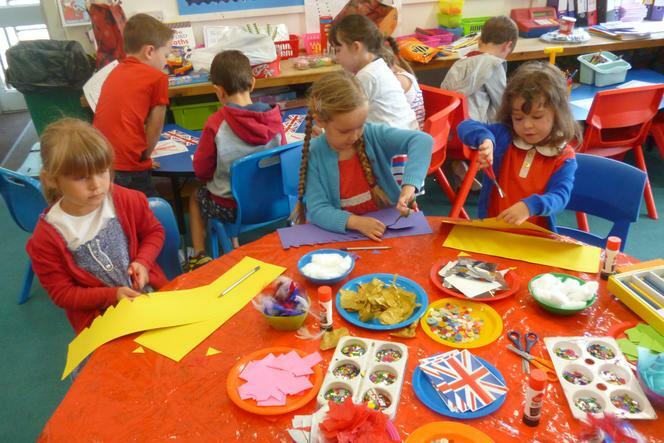 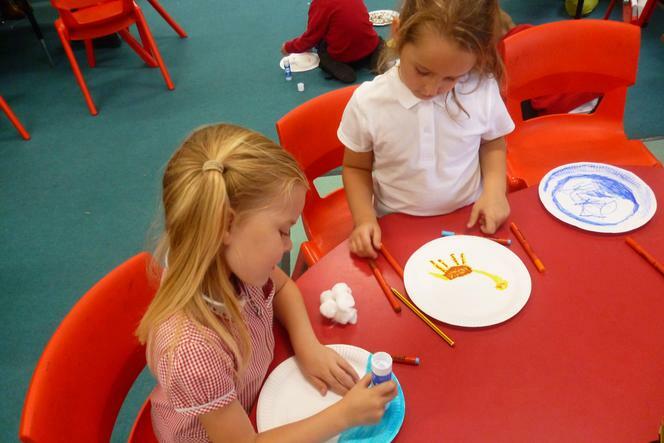 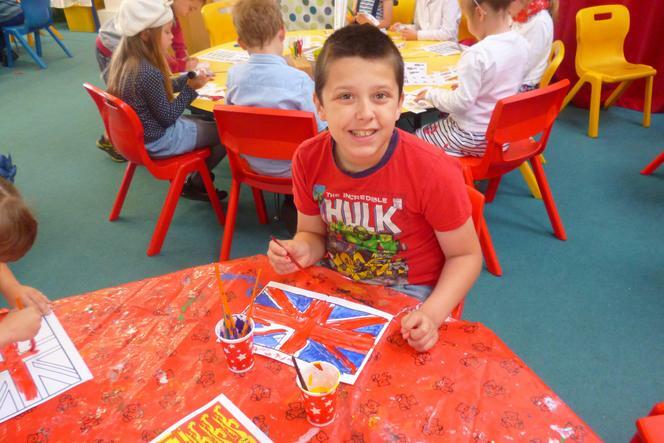 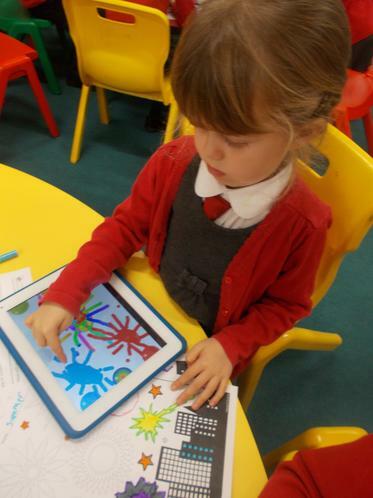 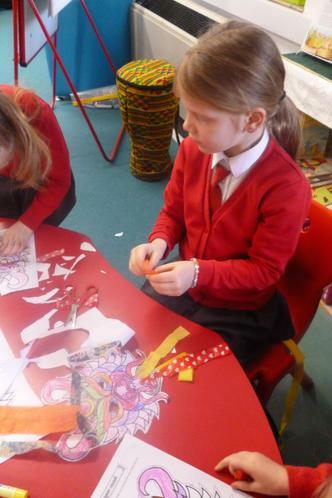 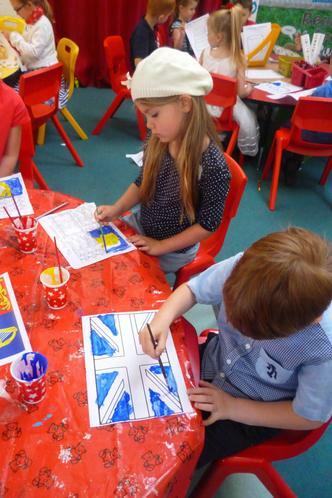 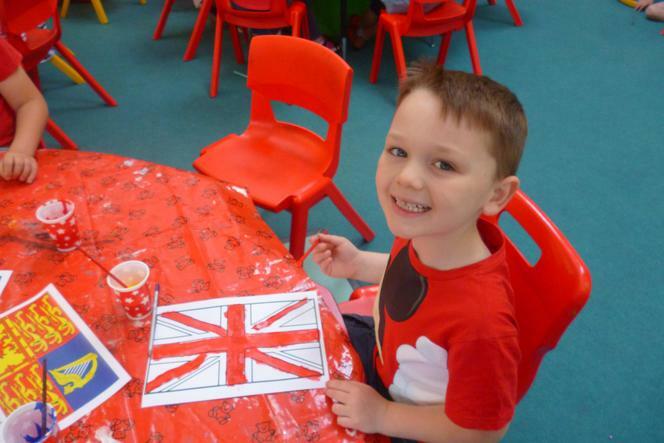 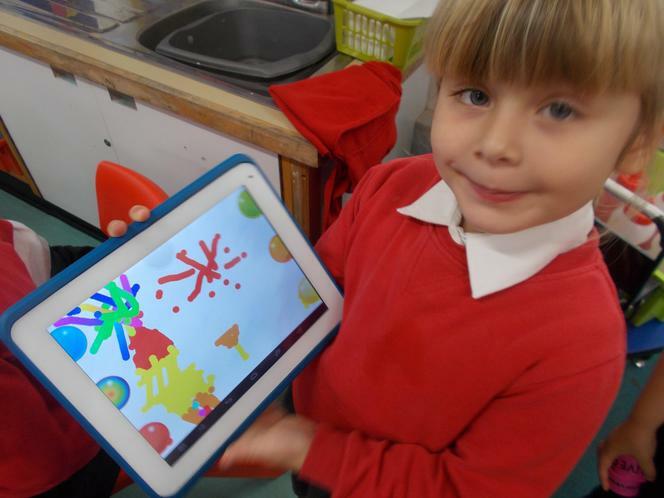 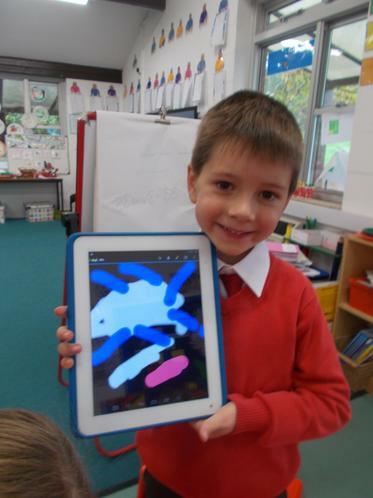 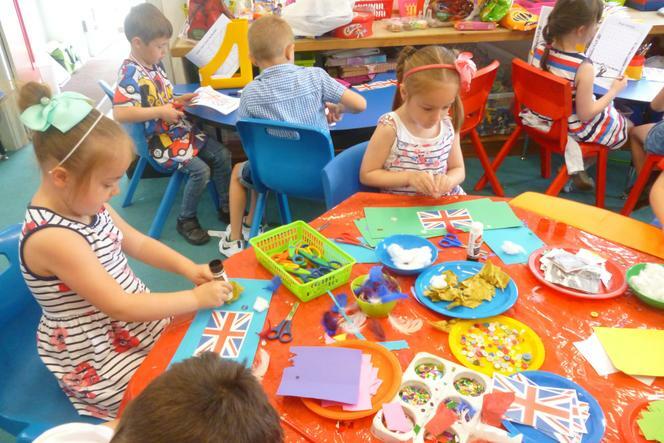 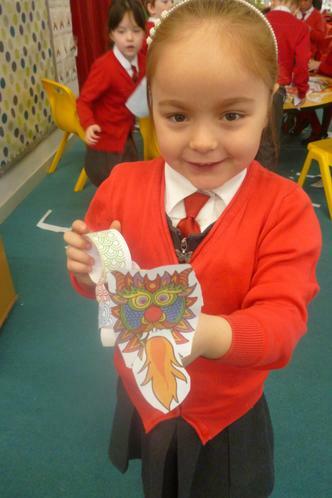 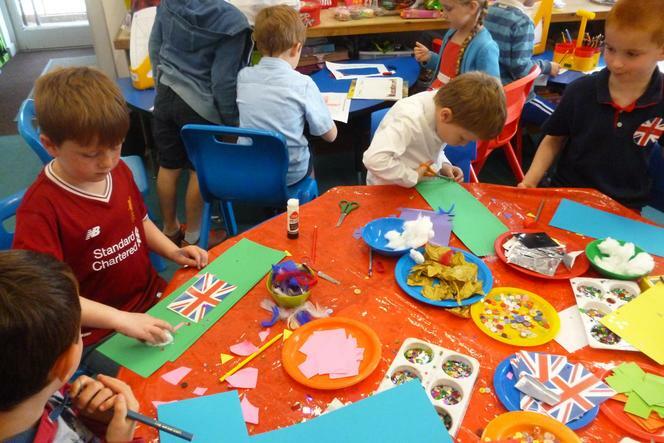 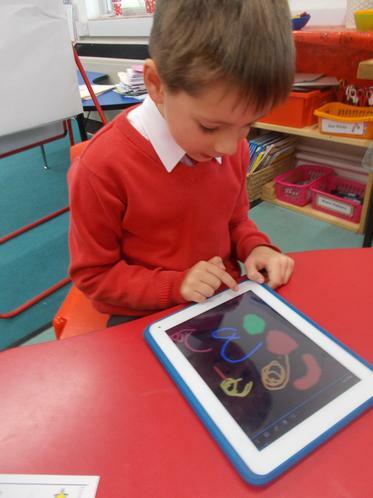 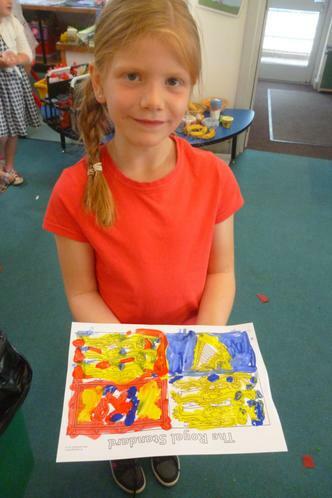 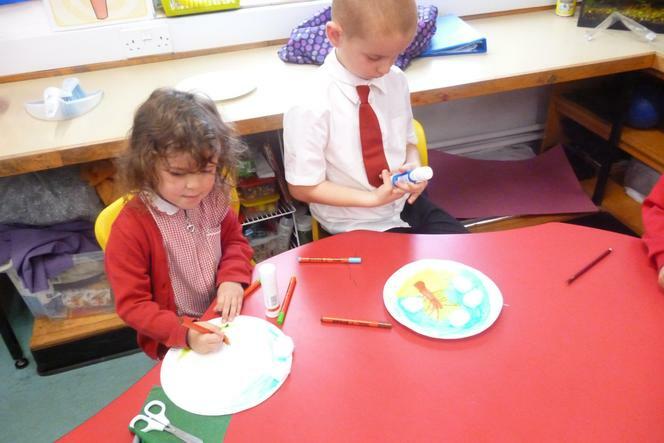 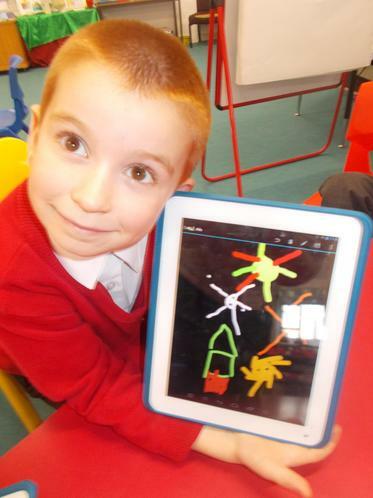 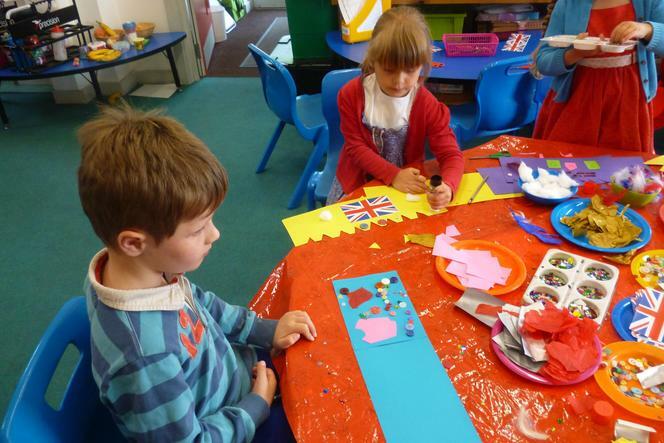 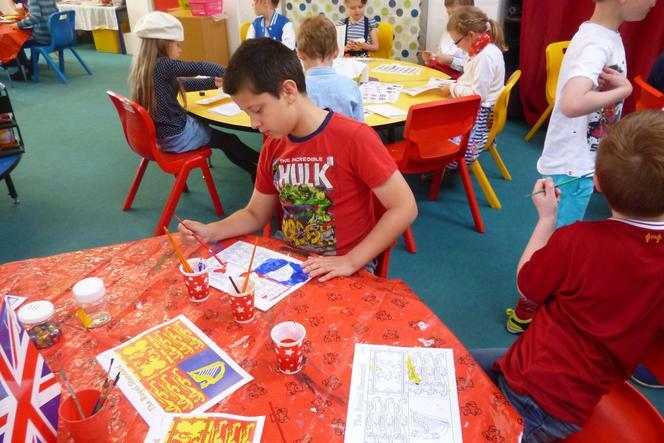 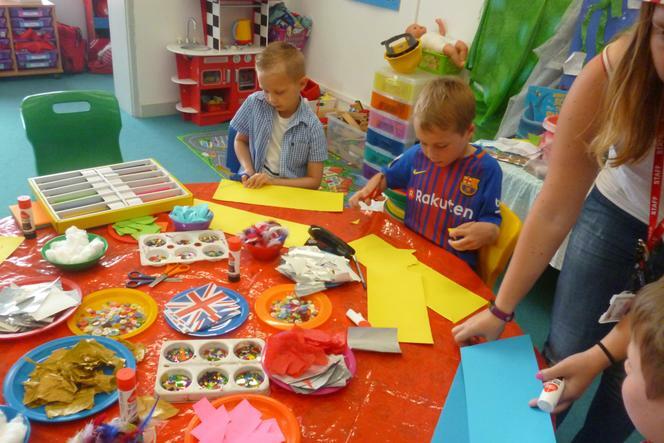 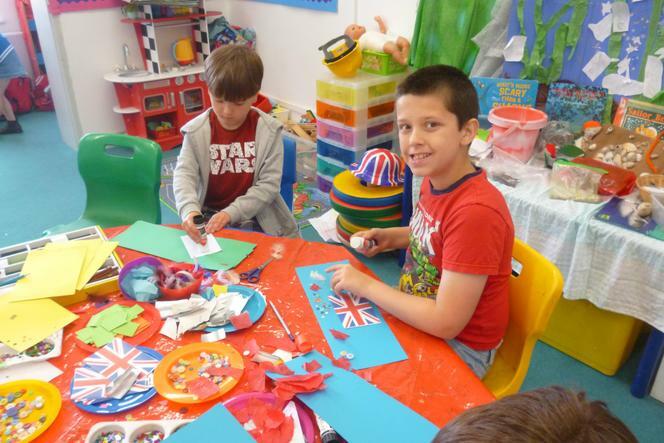 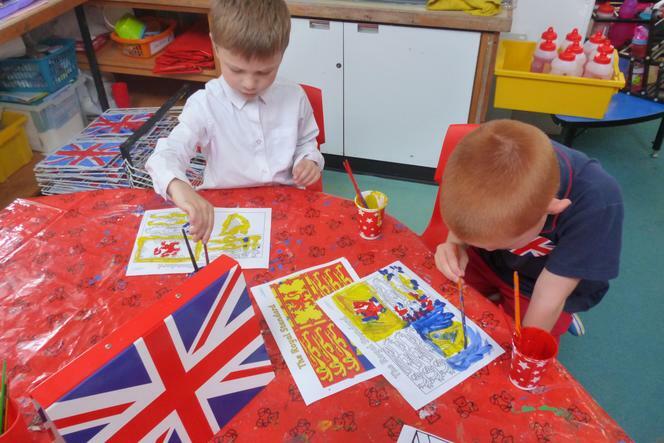 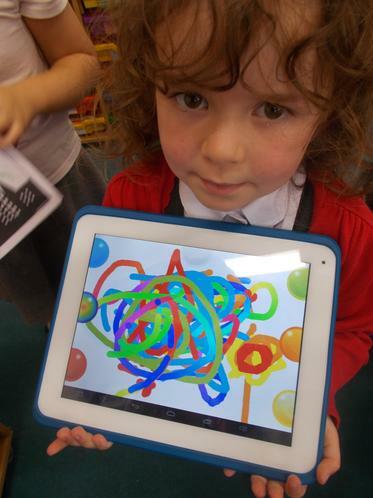 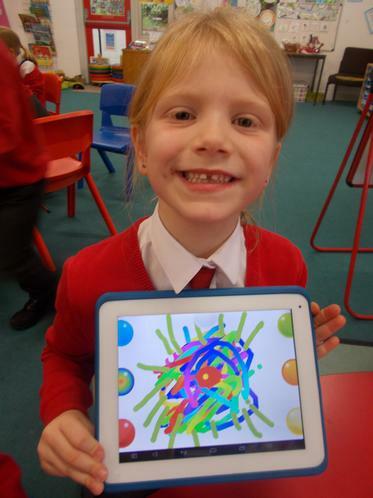 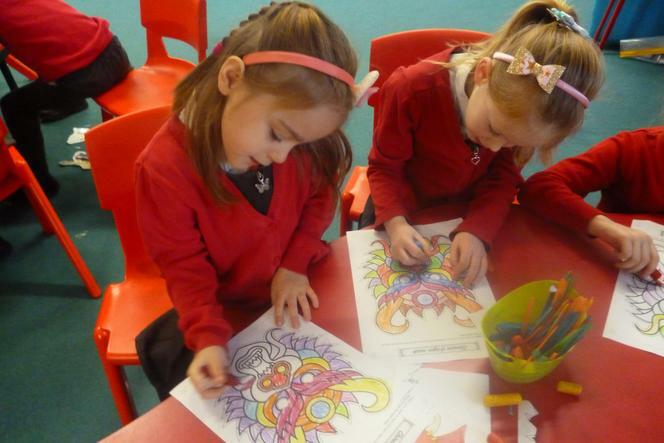 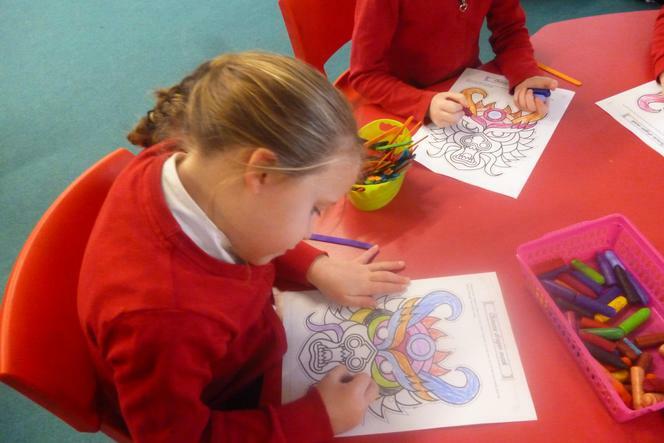 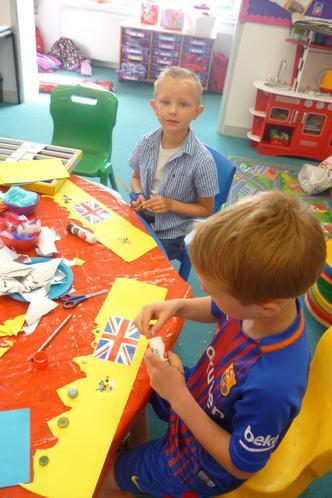 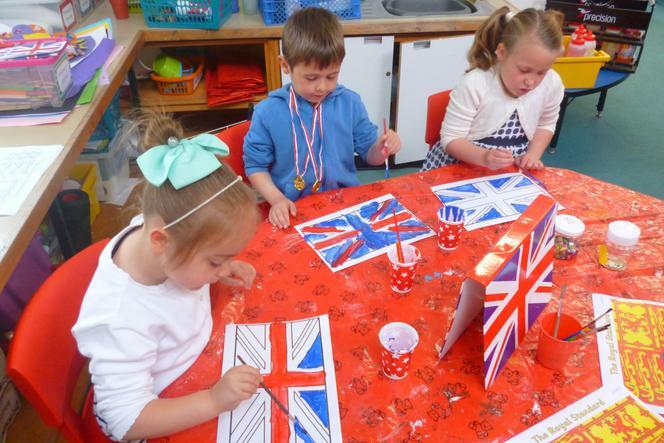 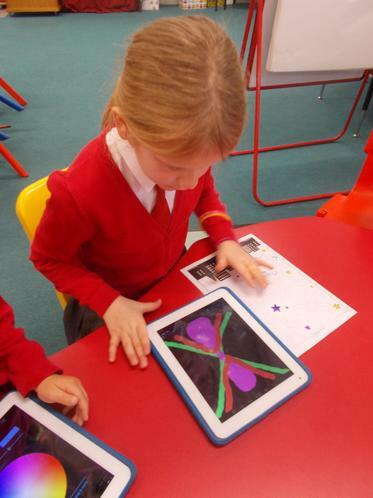 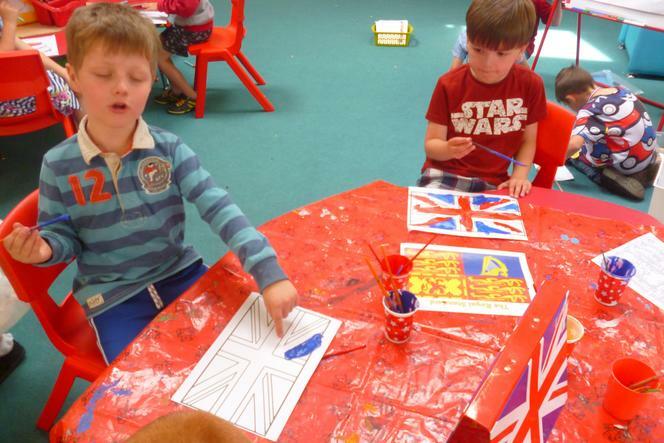 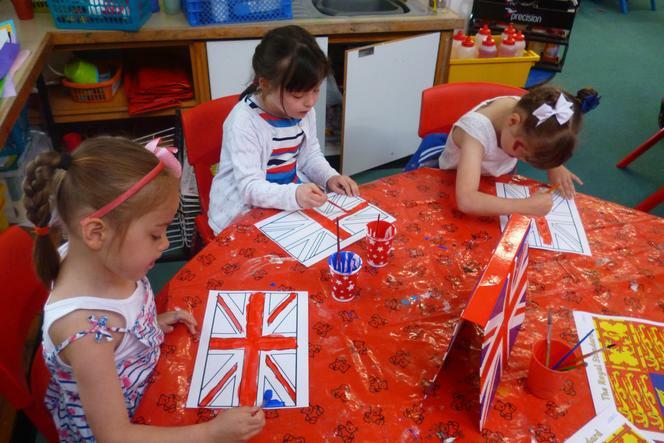 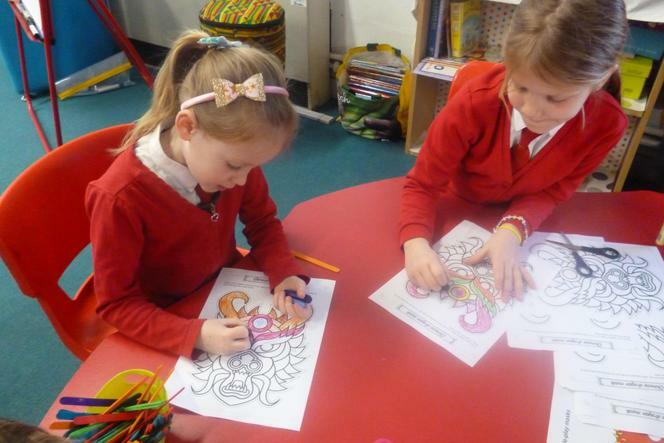 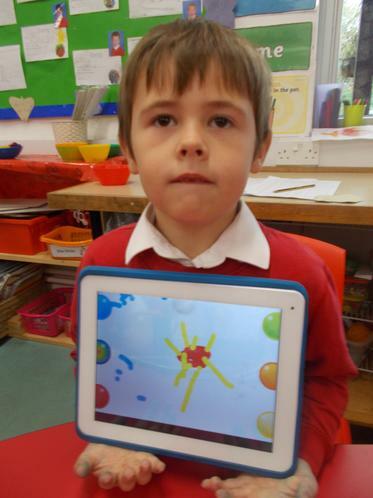 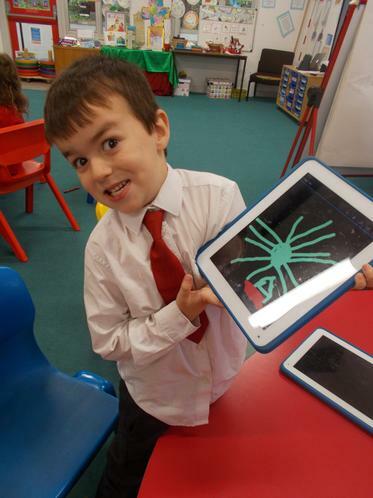 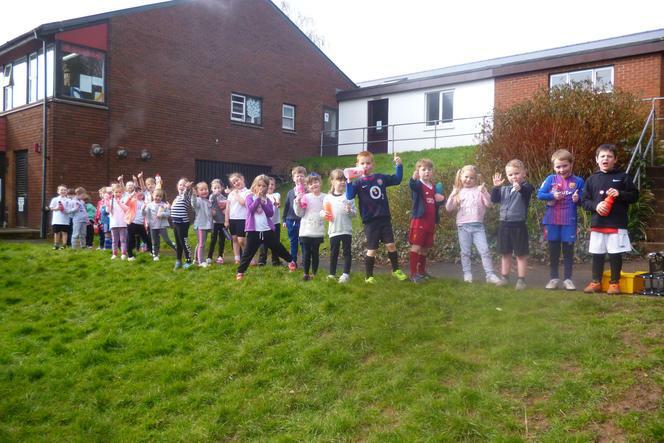 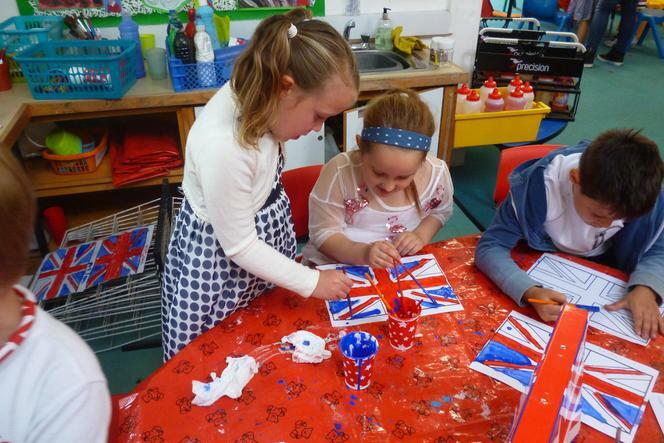 Using a paint programme to create firework pictures. 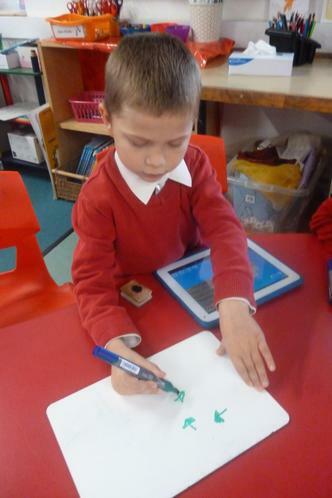 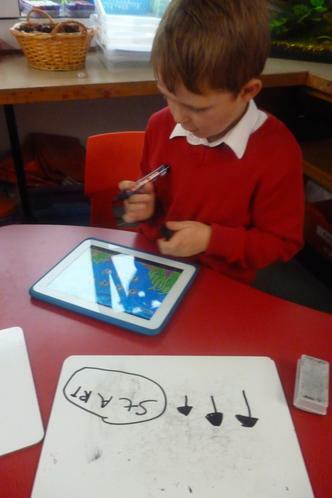 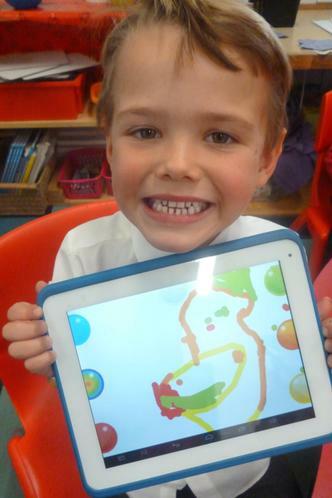 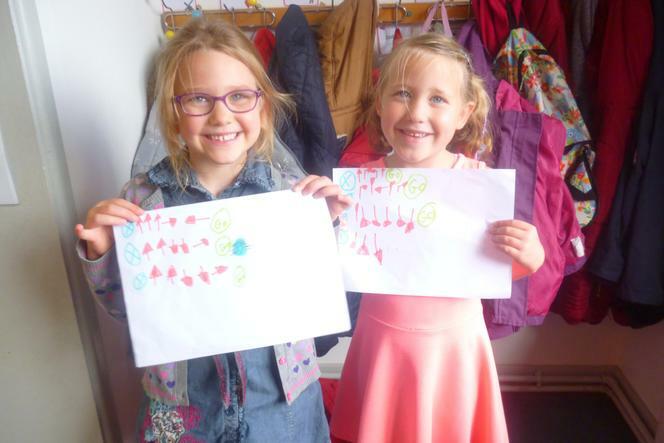 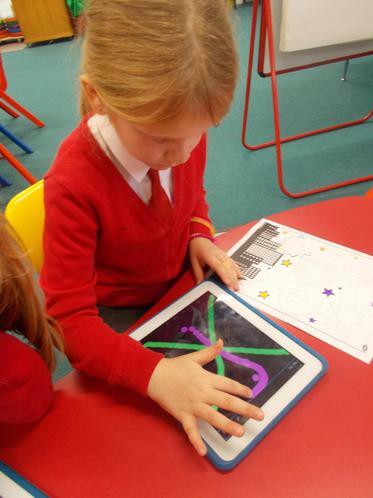 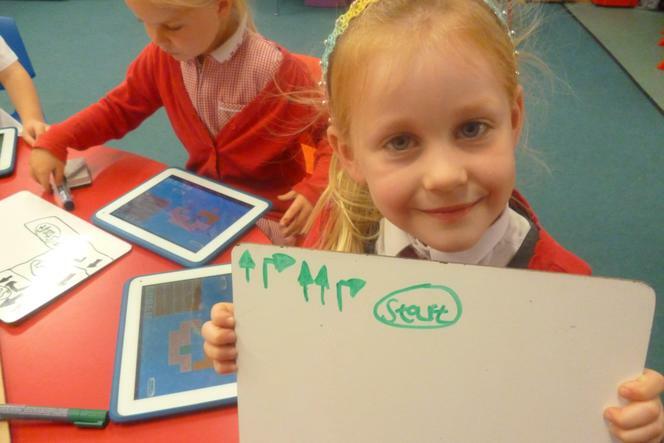 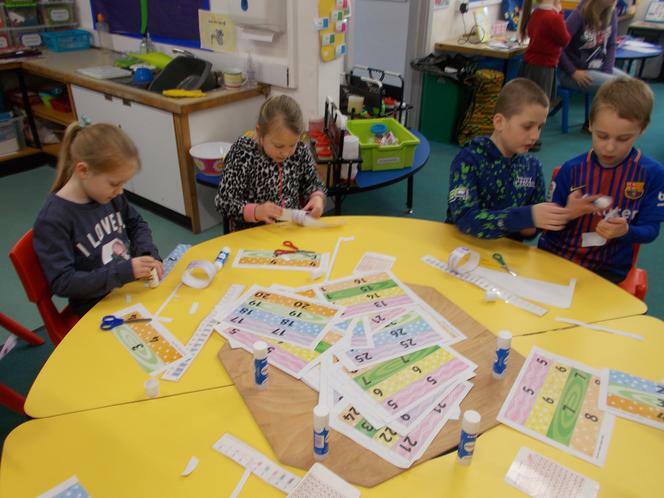 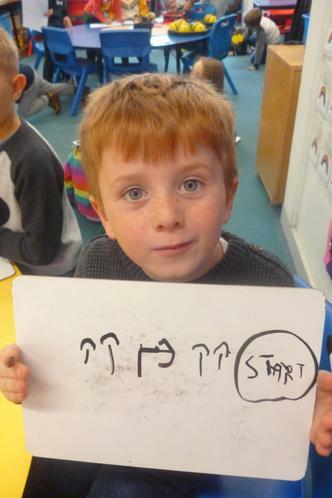 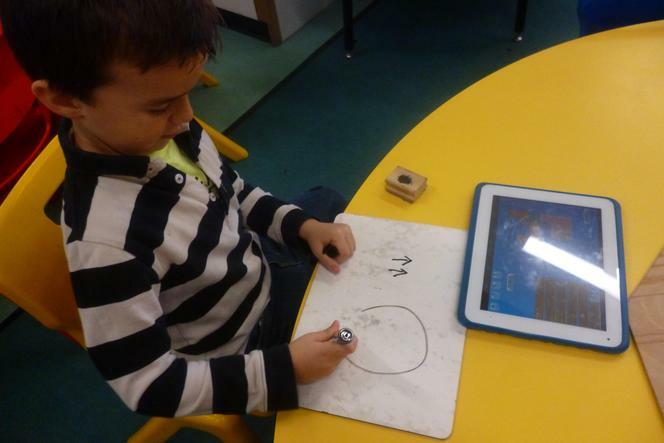 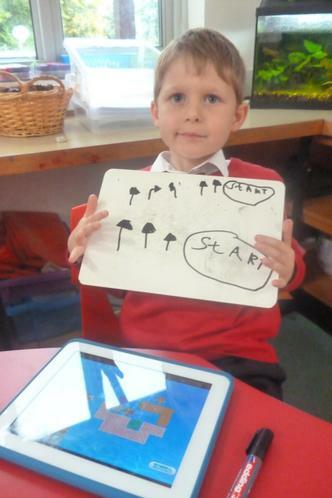 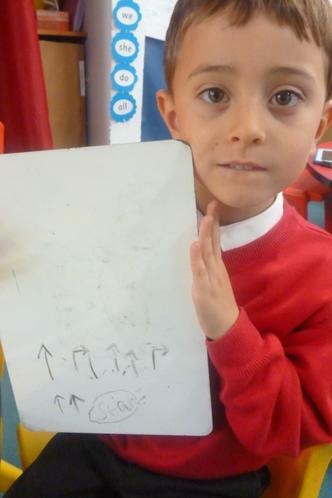 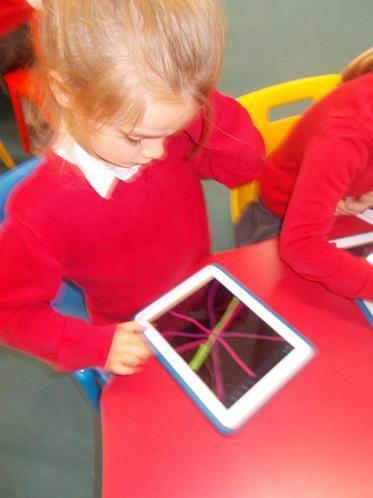 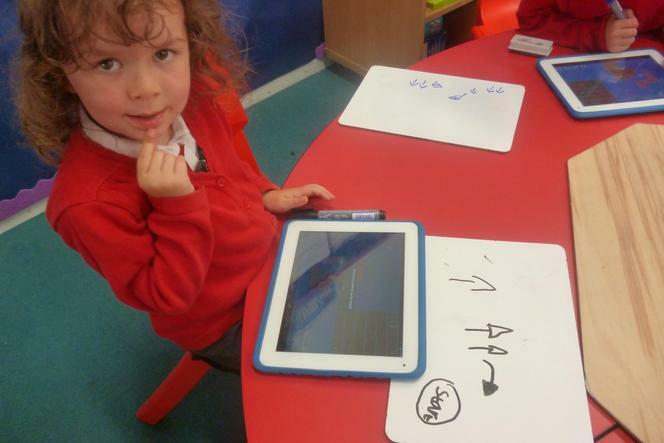 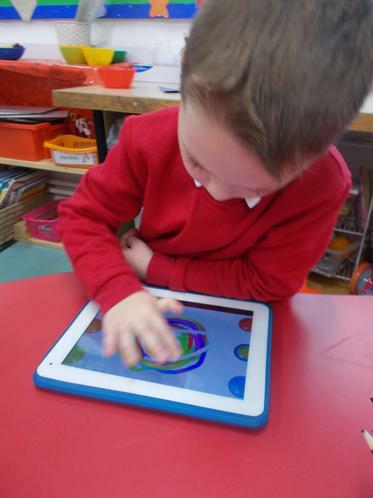 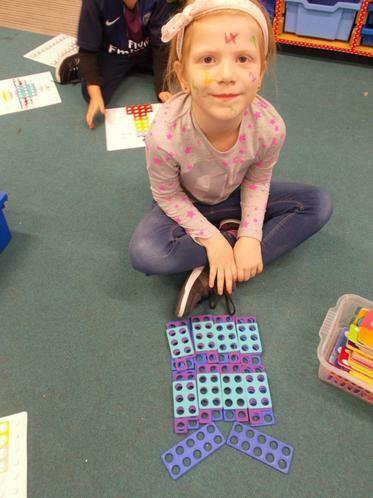 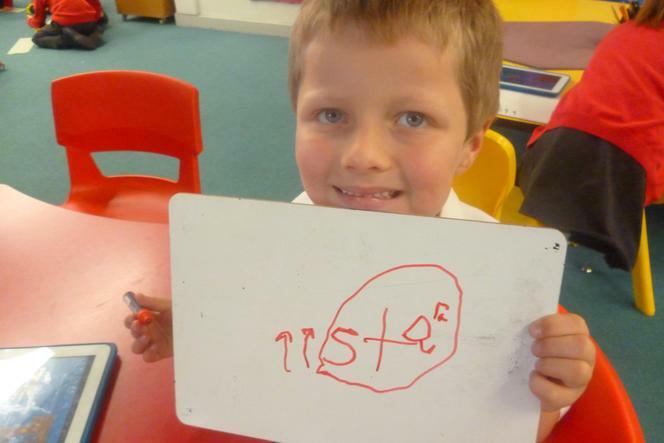 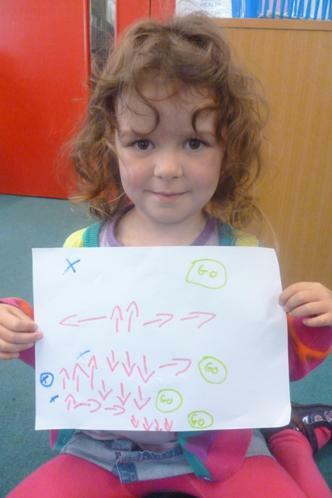 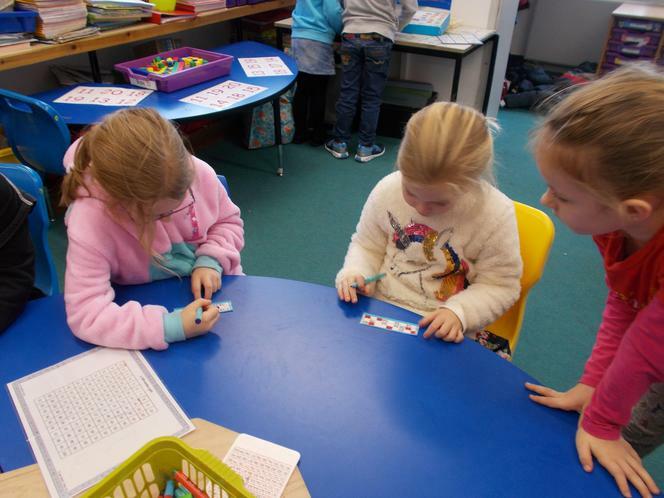 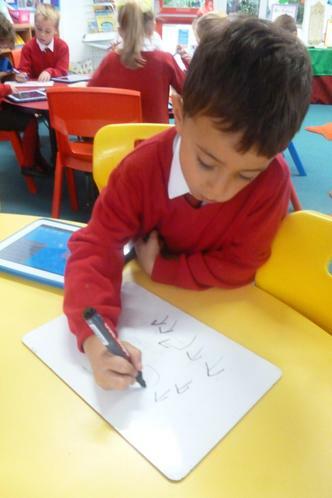 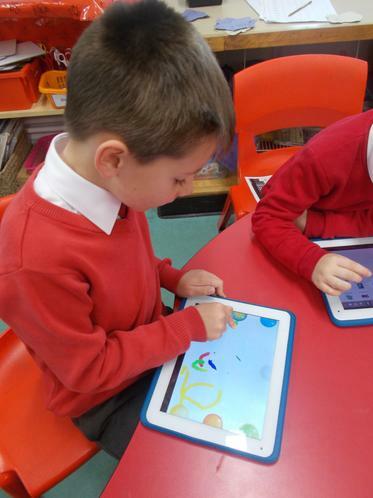 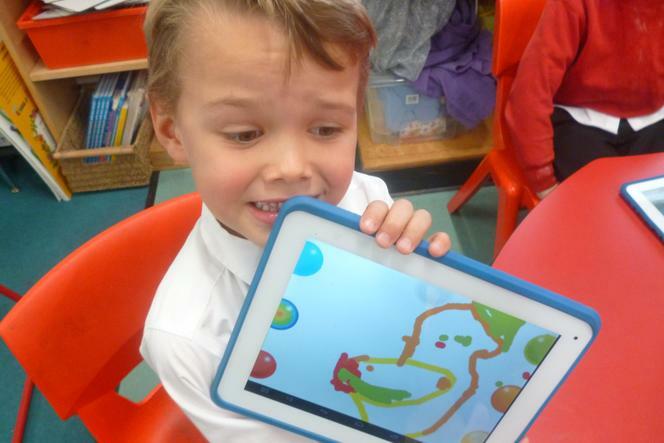 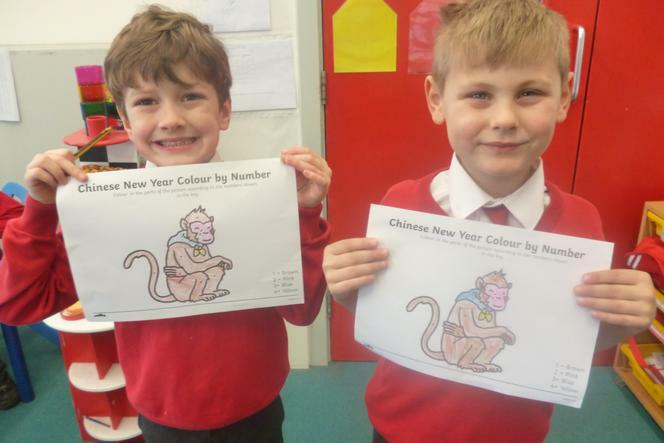 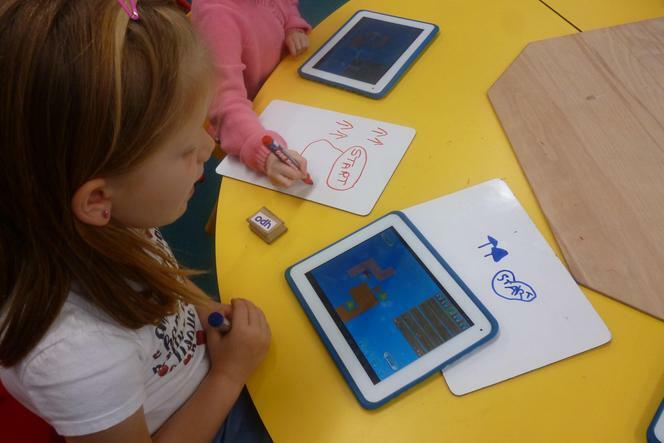 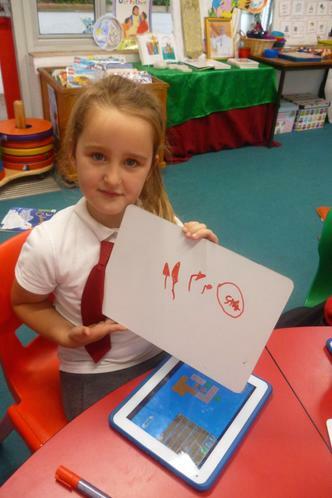 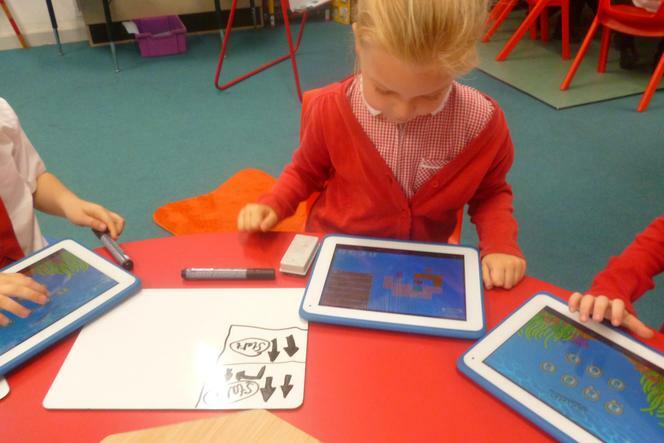 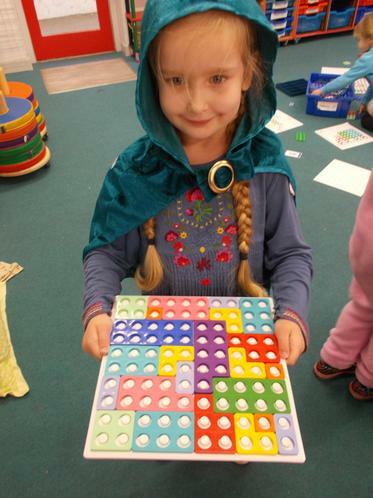 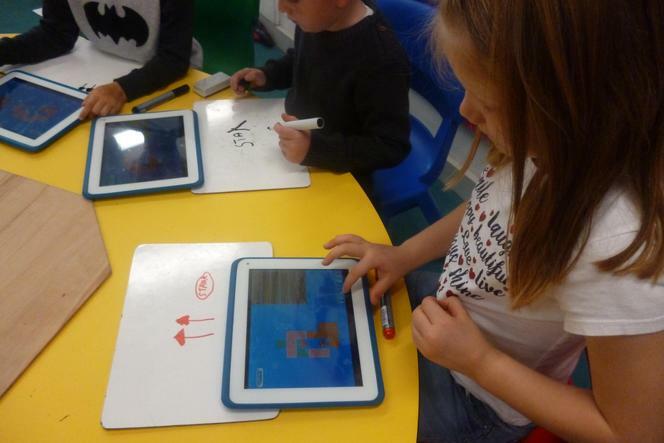 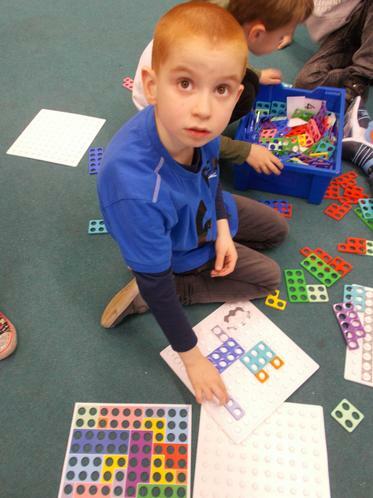 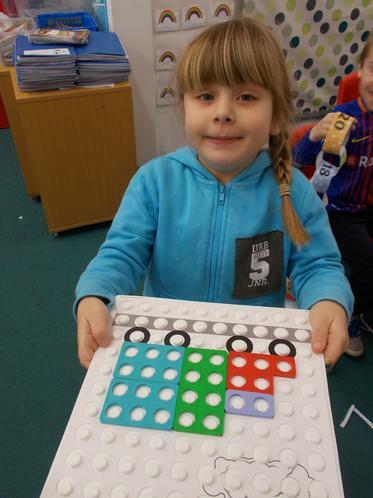 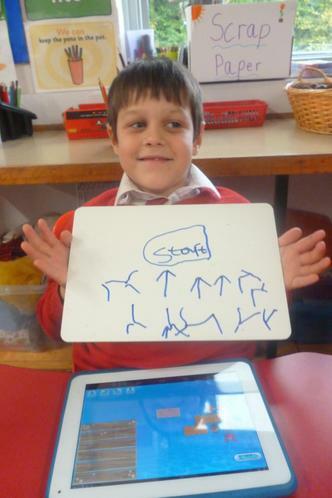 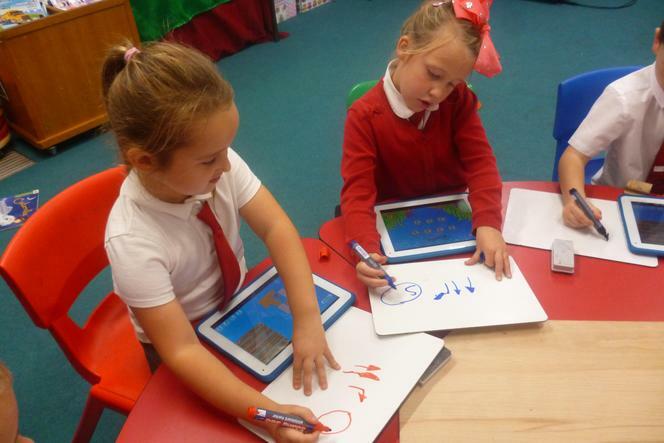 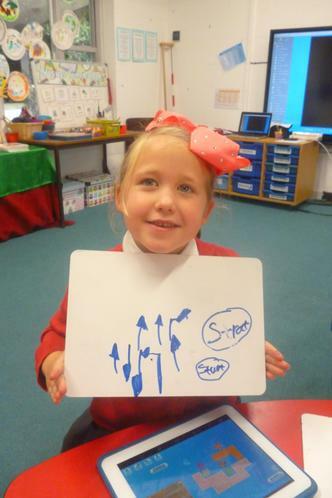 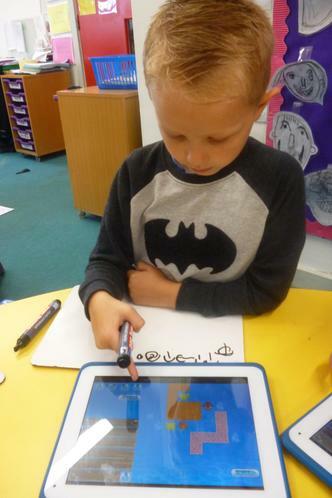 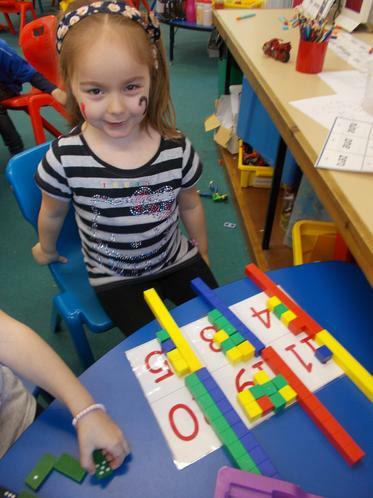 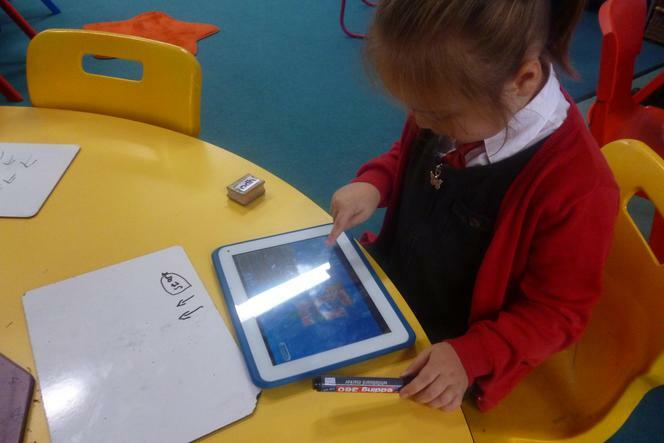 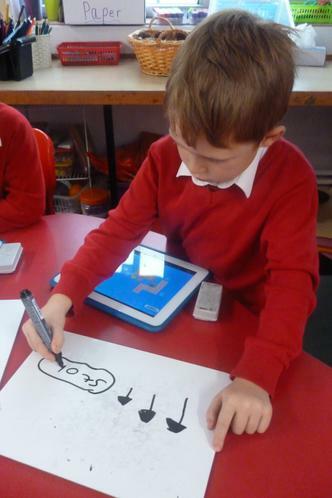 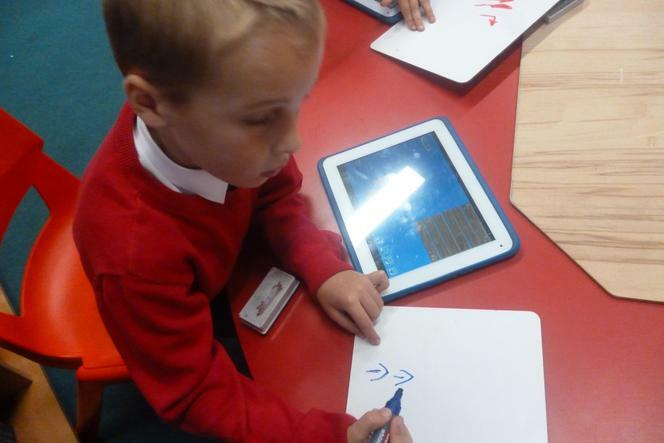 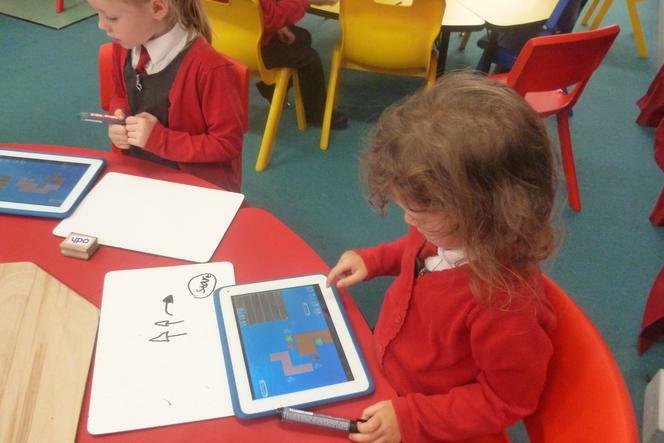 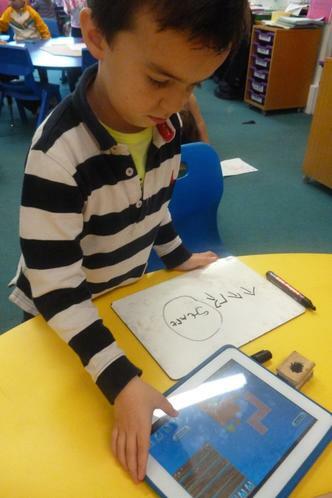 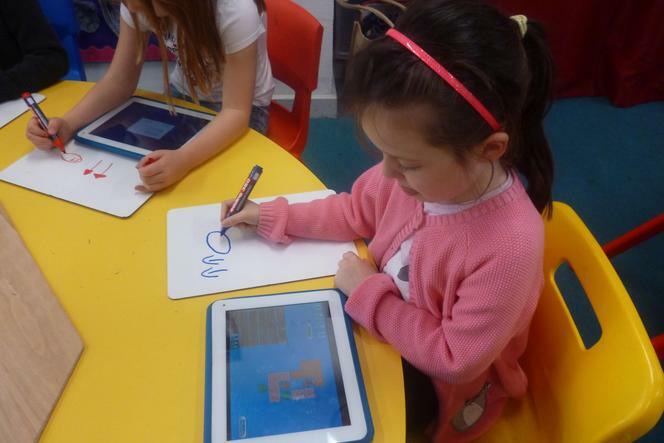 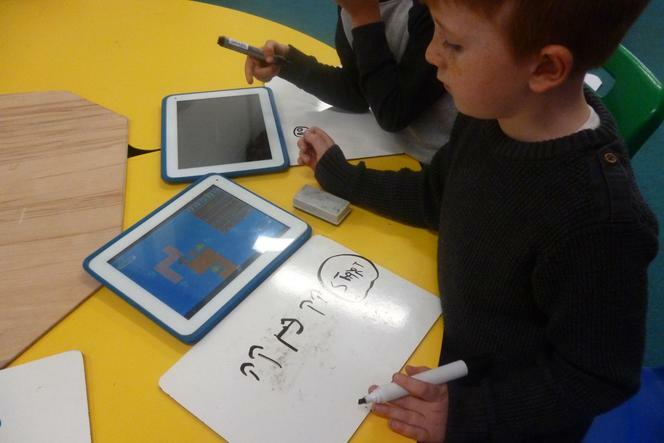 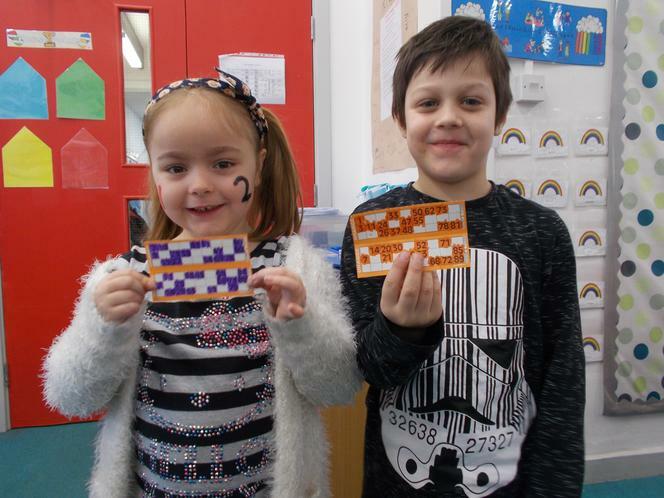 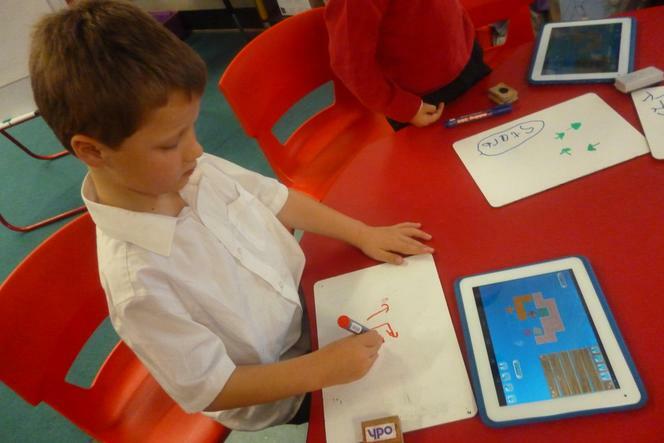 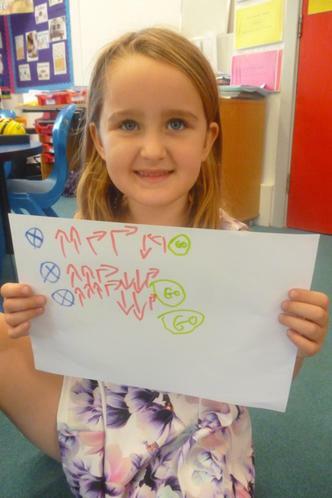 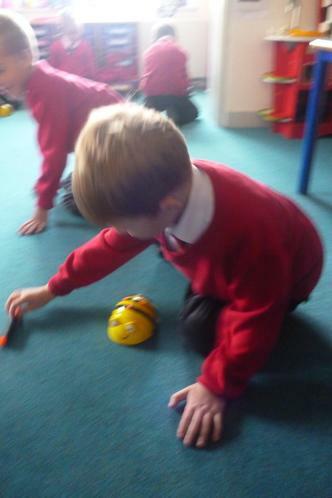 Technology - Year 1 have been learning to use coding. 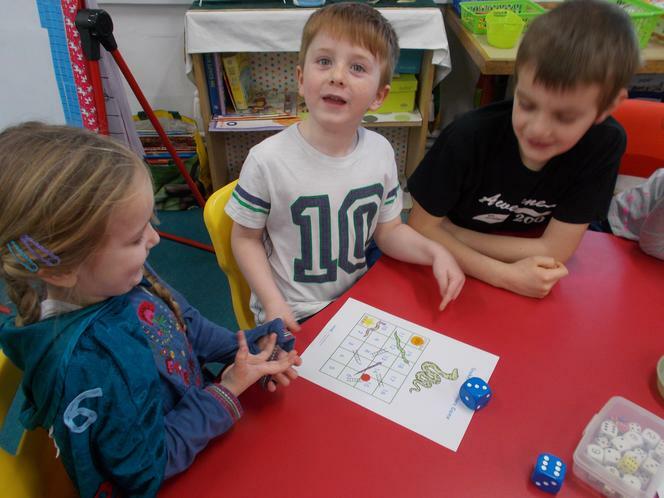 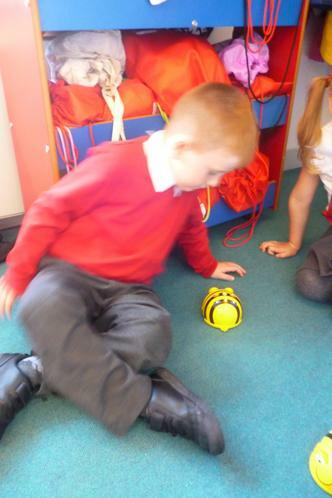 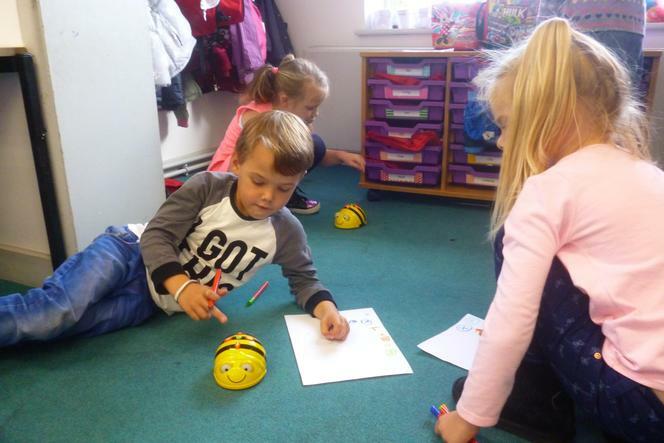 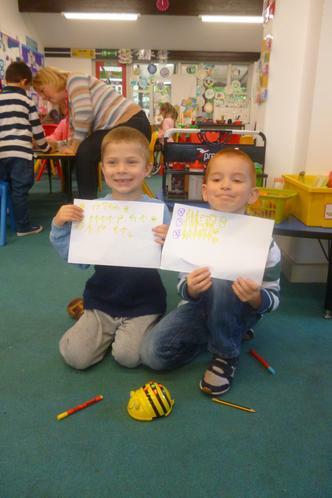 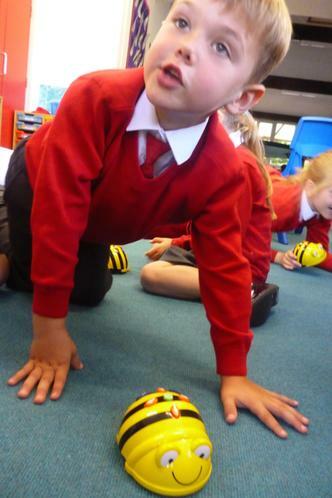 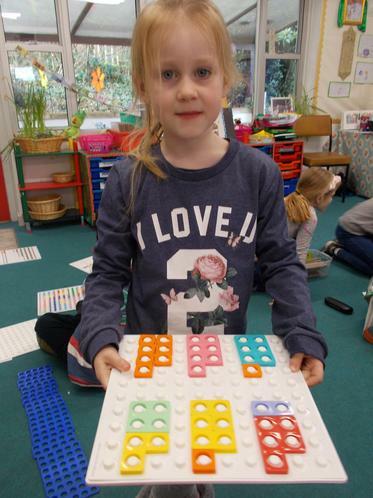 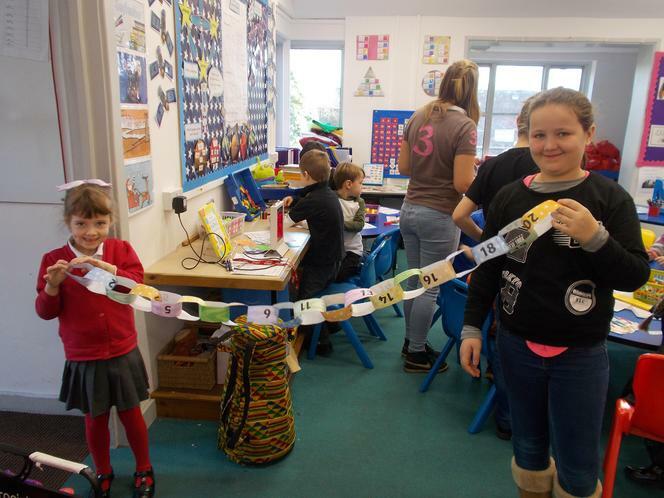 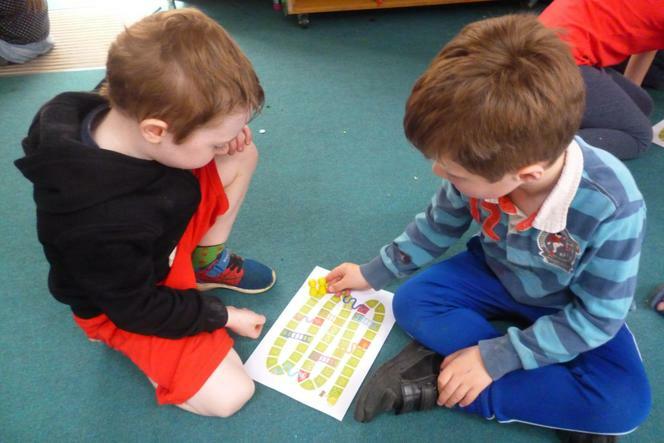 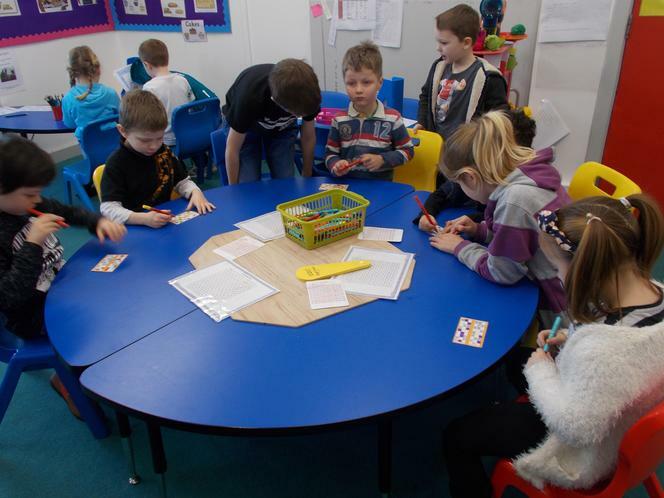 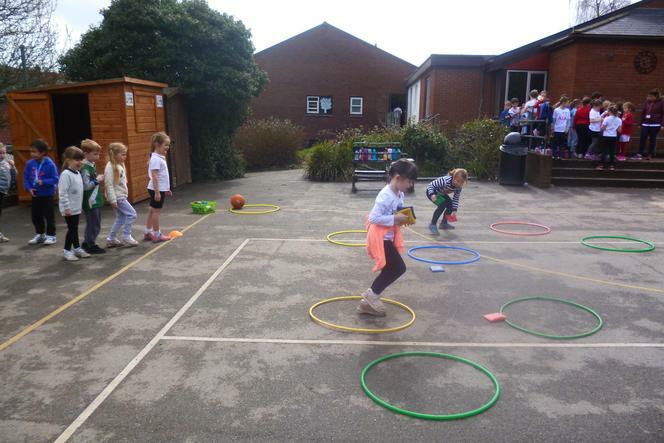 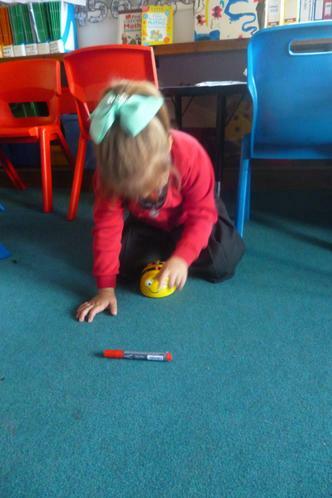 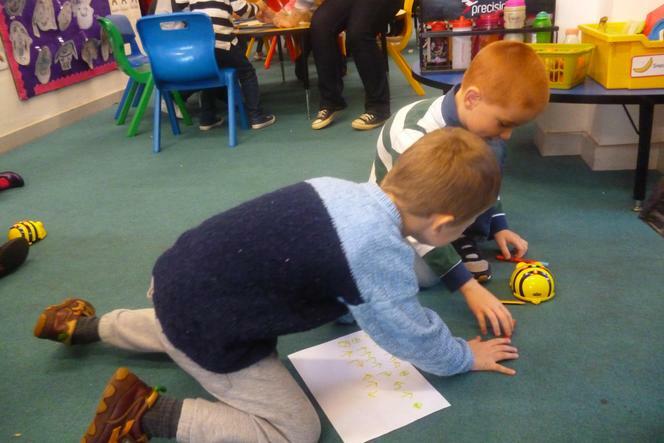 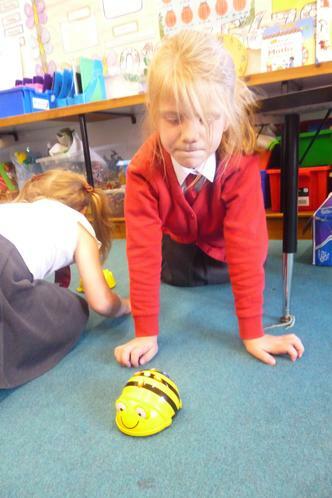 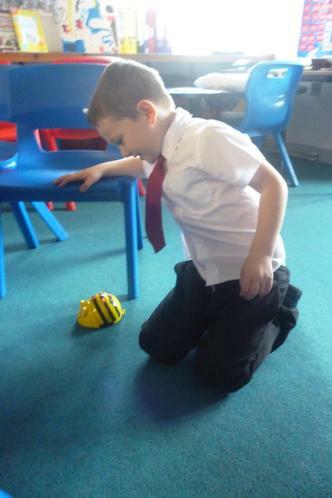 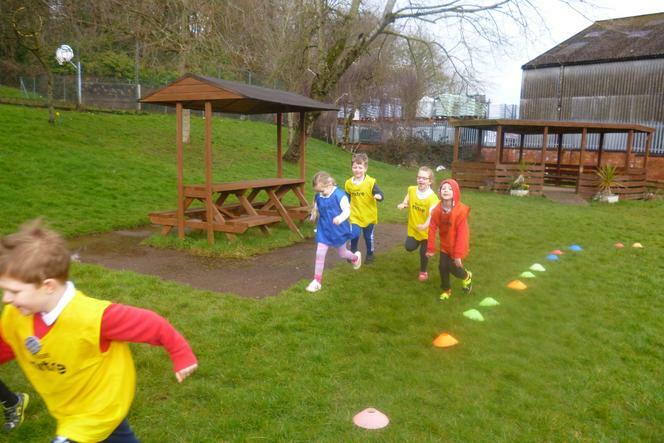 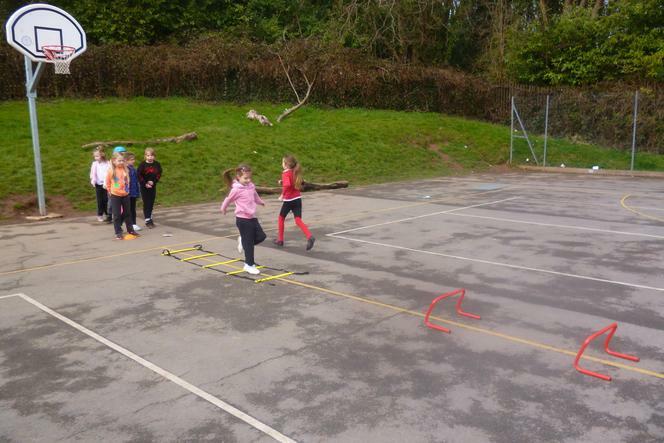 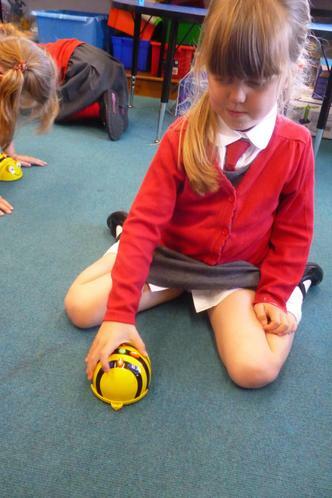 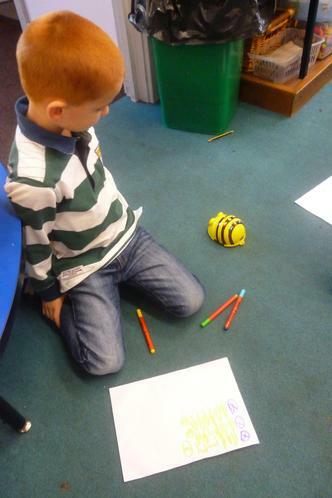 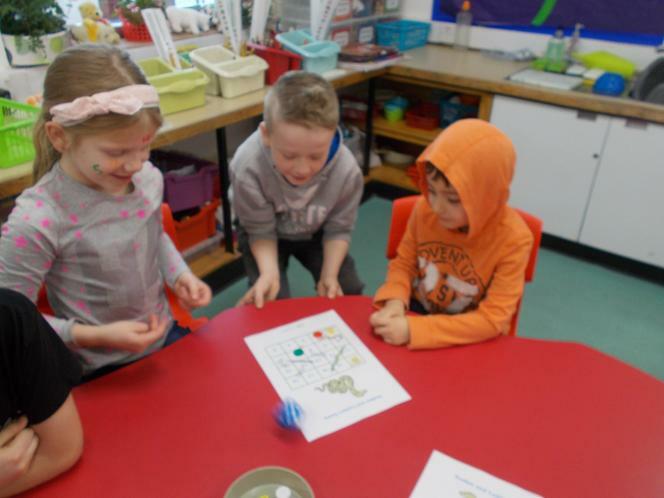 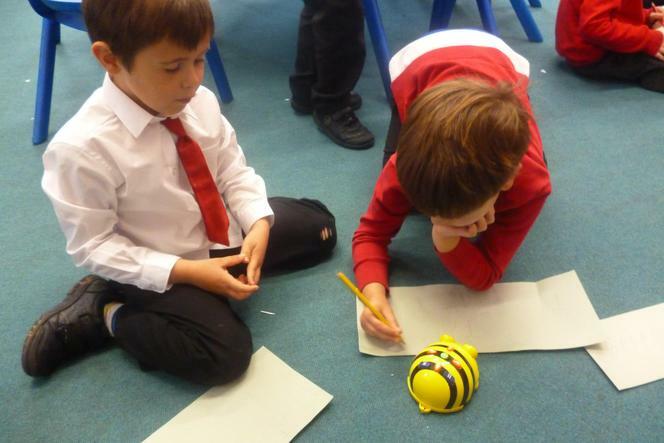 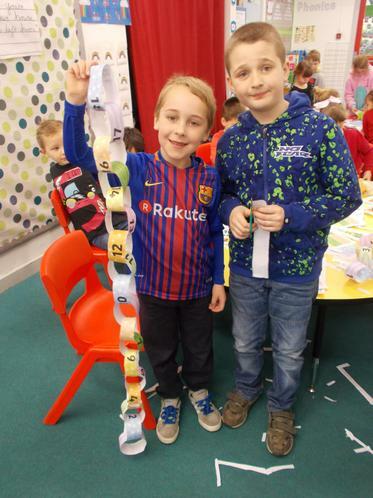 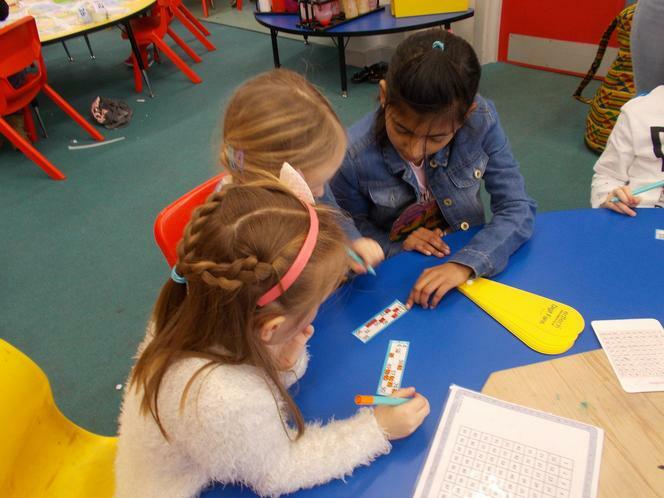 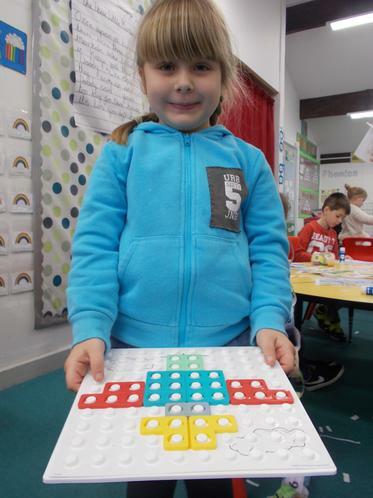 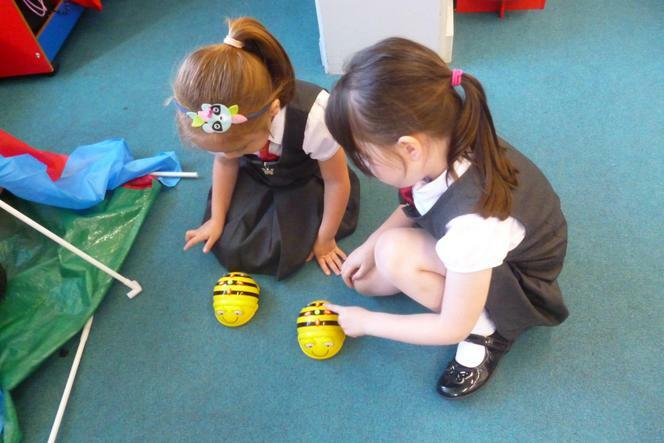 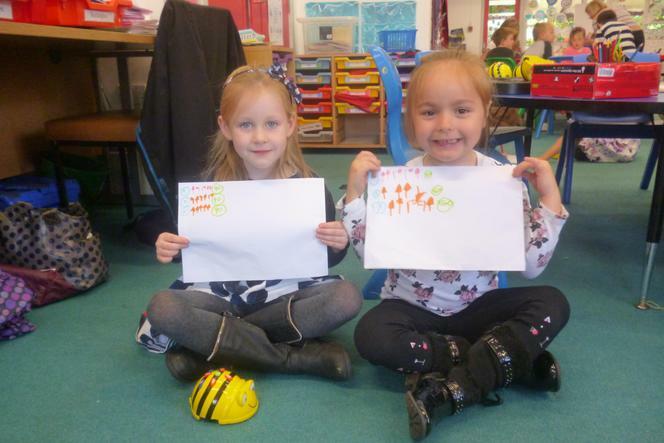 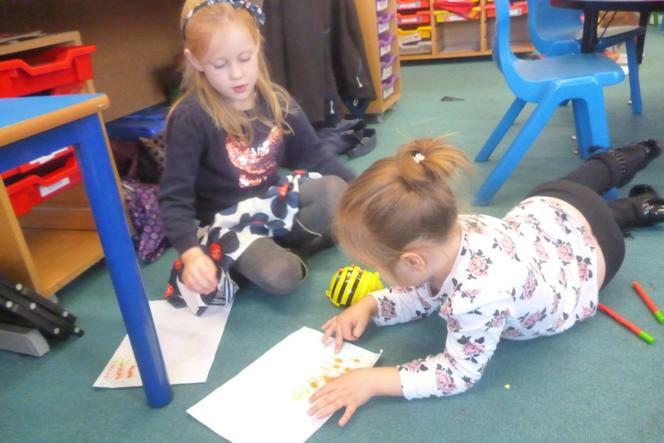 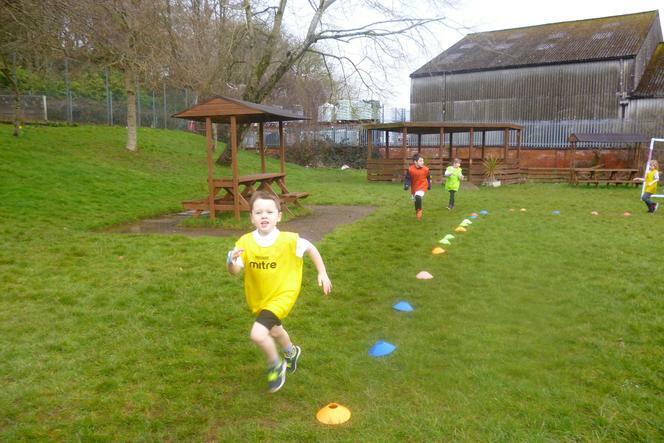 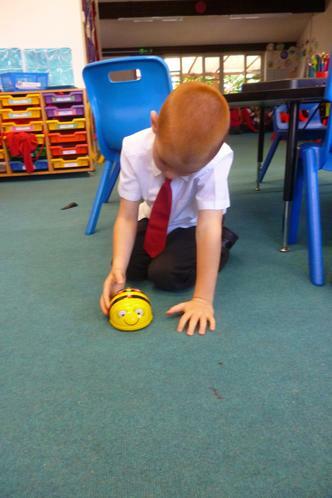 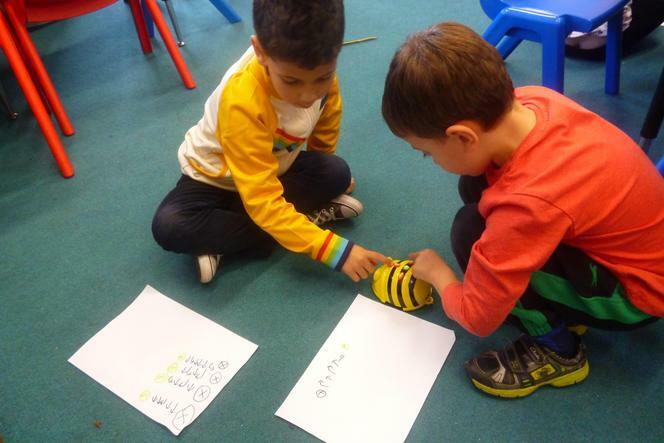 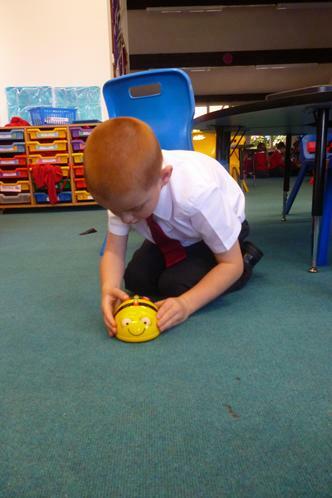 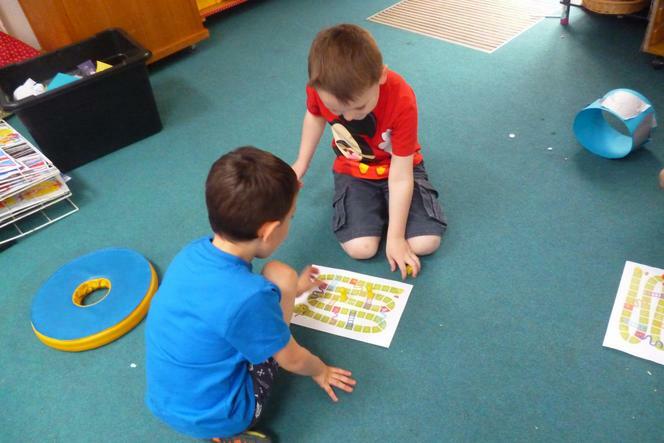 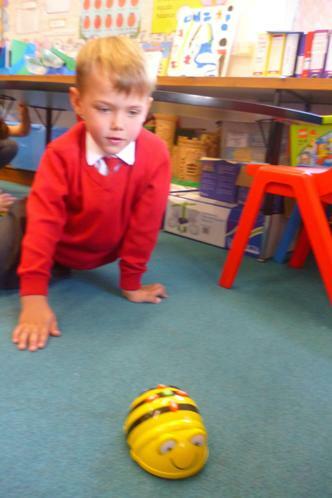 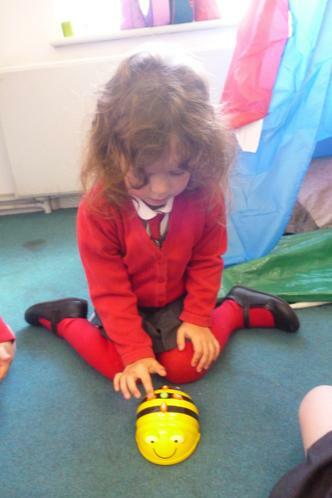 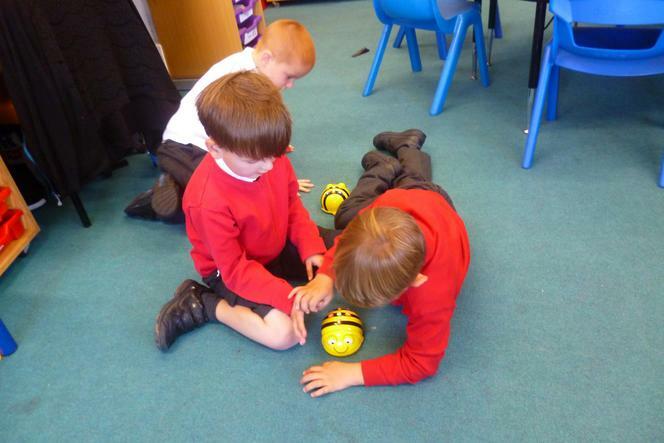 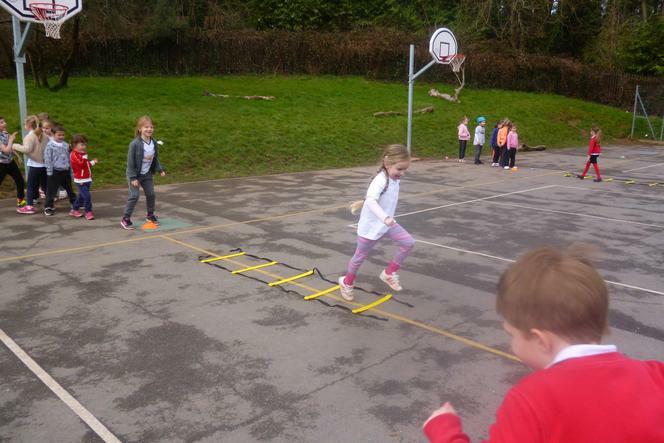 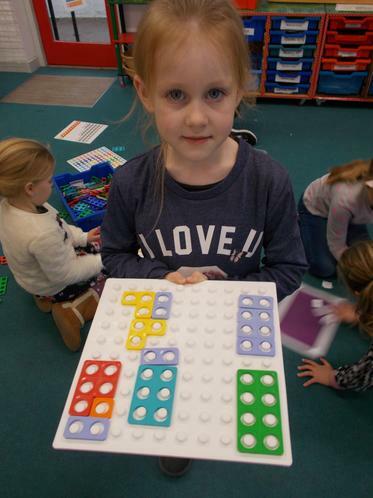 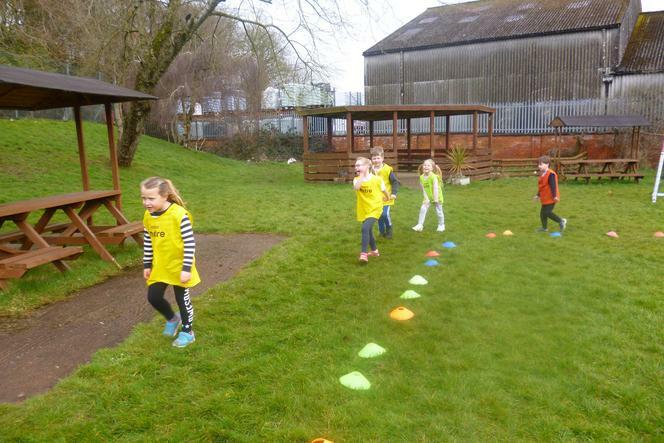 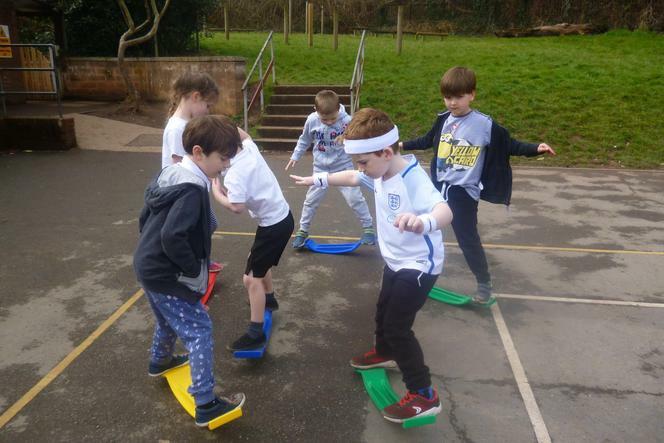 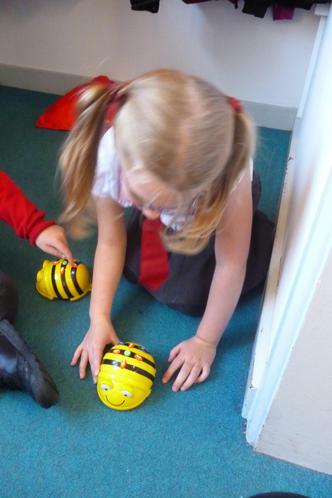 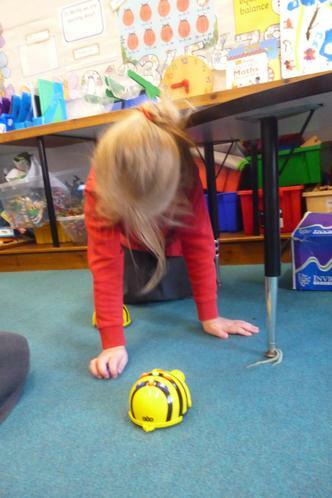 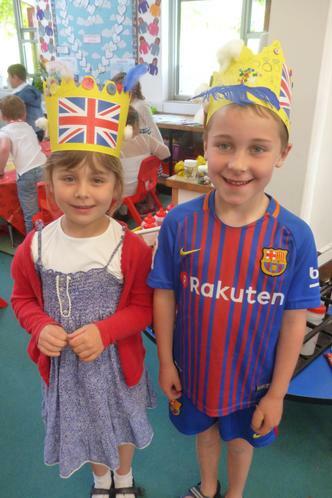 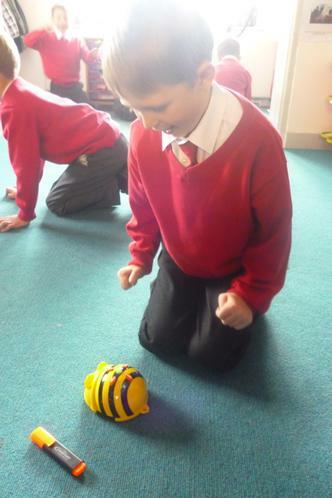 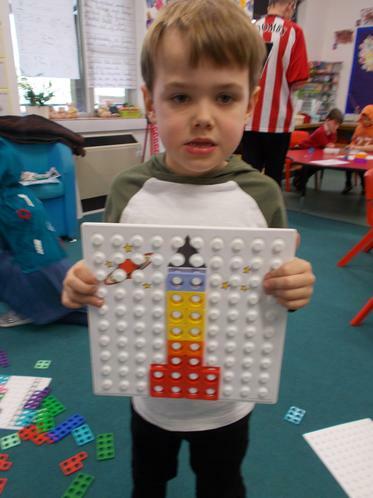 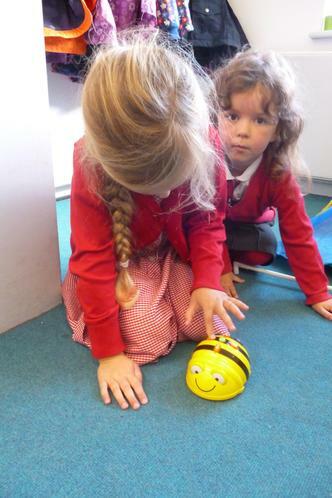 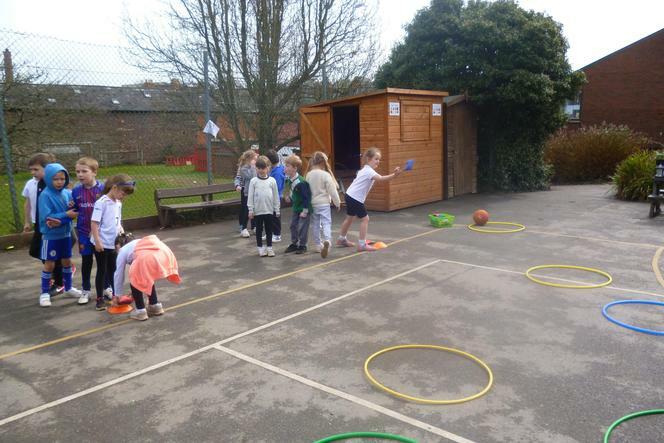 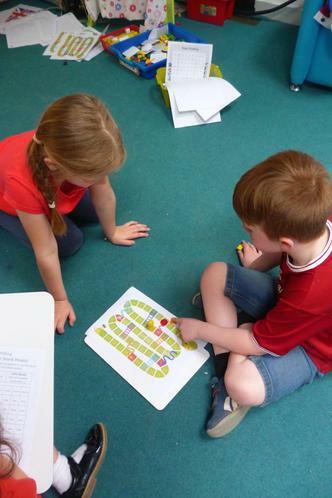 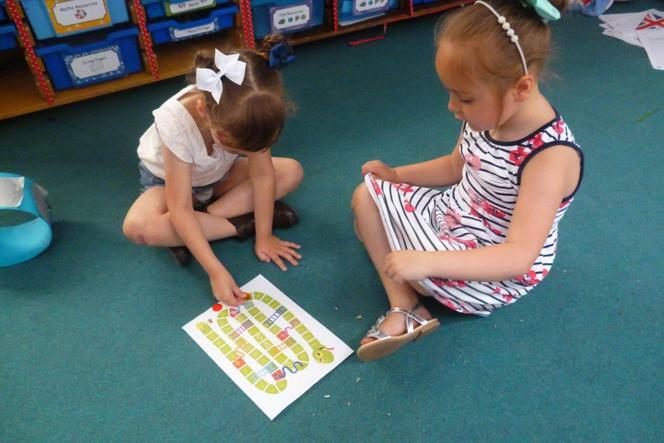 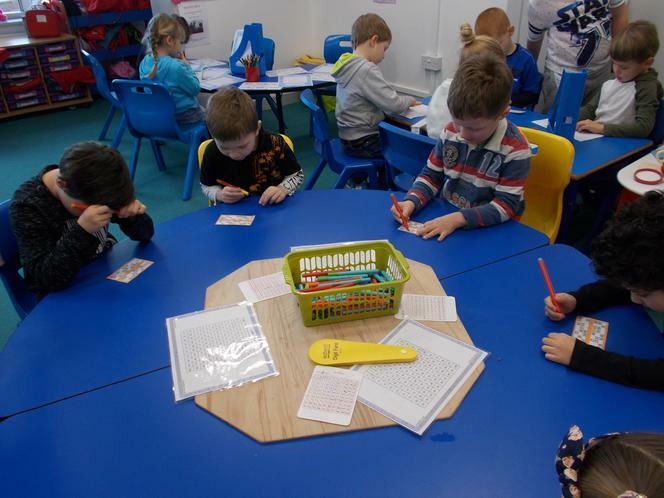 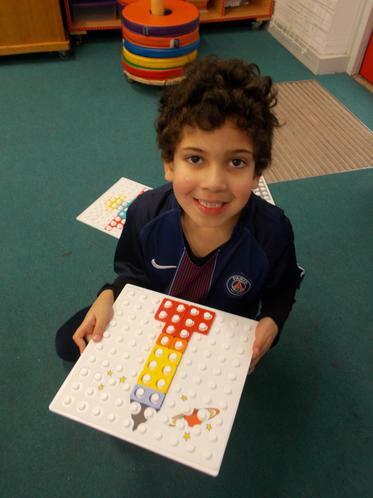 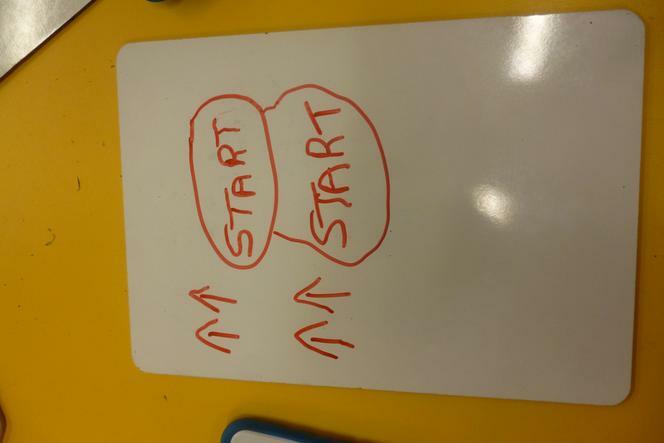 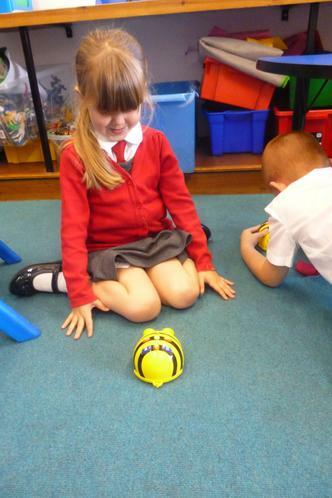 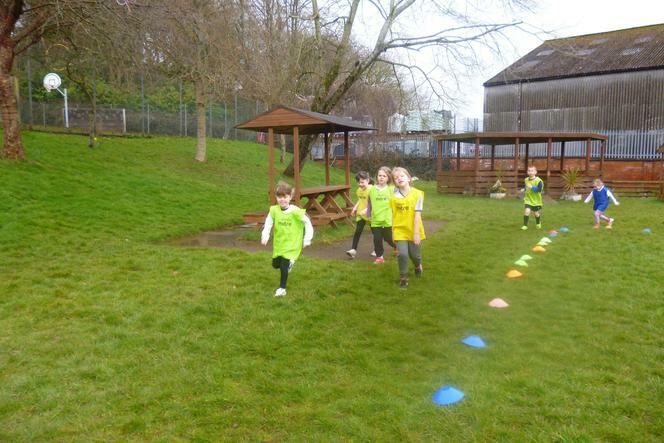 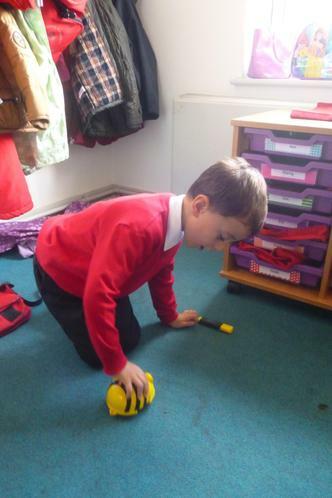 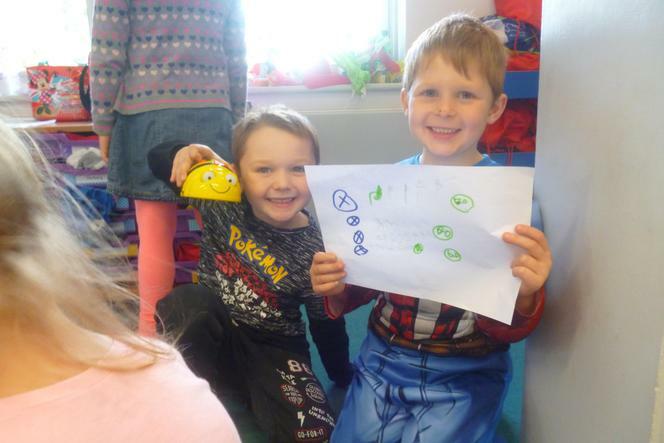 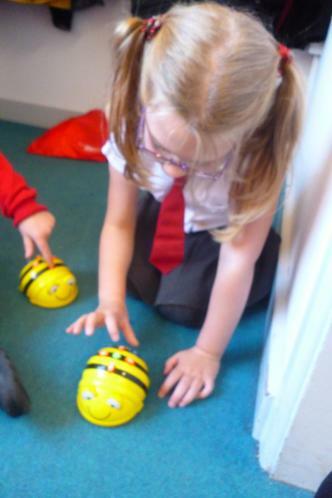 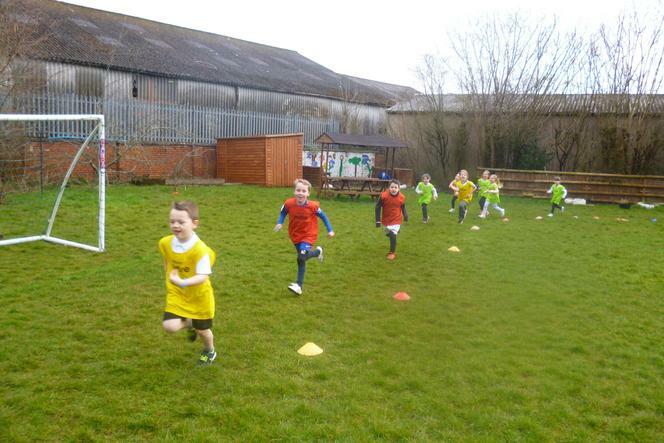 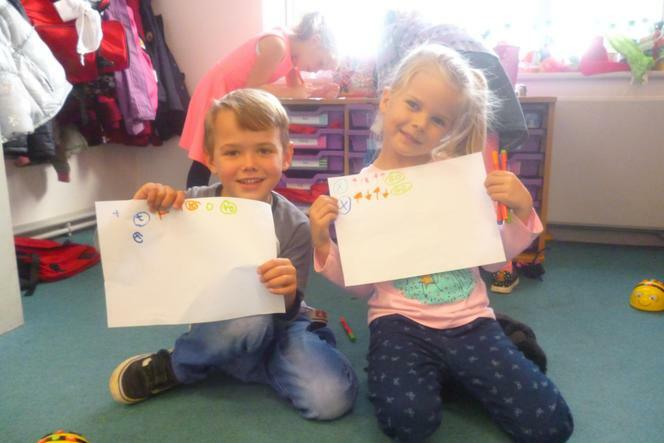 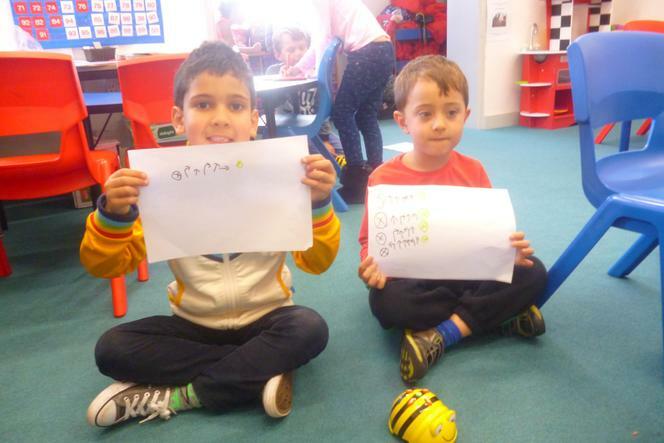 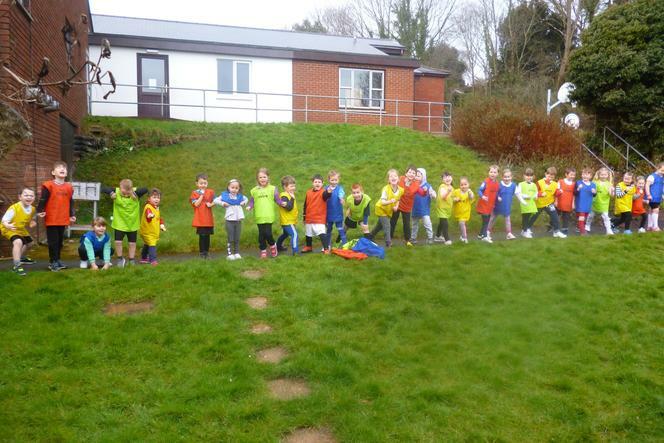 During their computing lesson, Year 1 children practiced programming a Beebot, using the correct coding to make it move along a desired route.